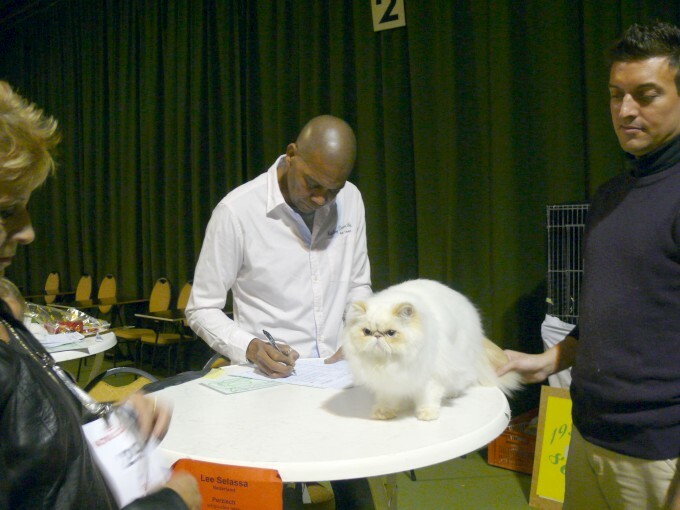 Good Times back for Nomination, that look! 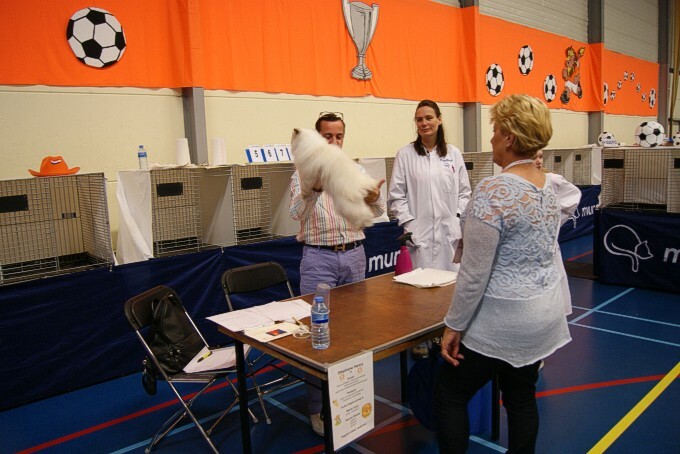 Louis had it very difficult. 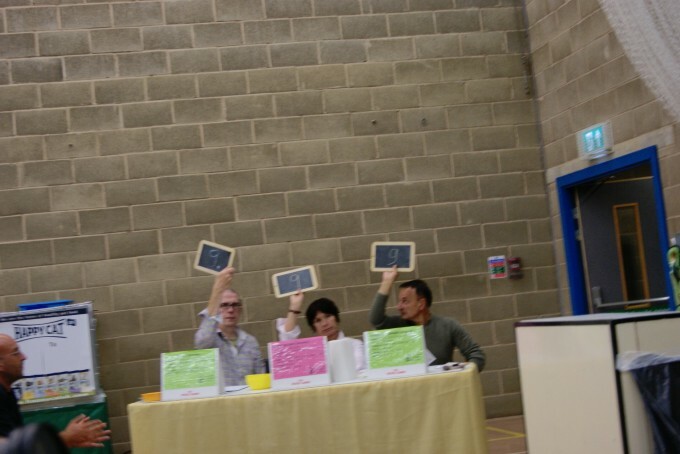 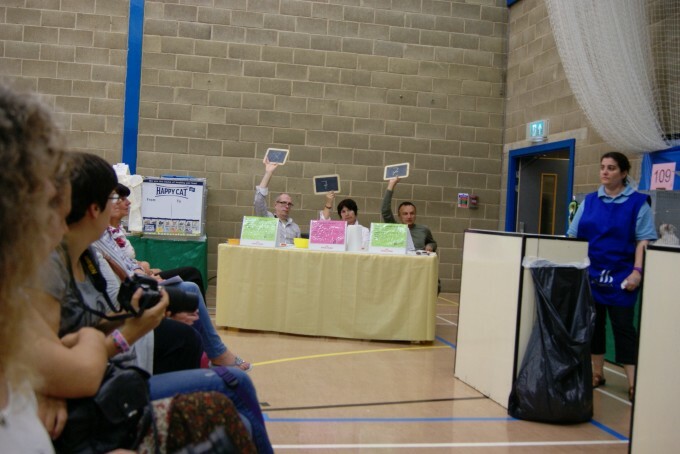 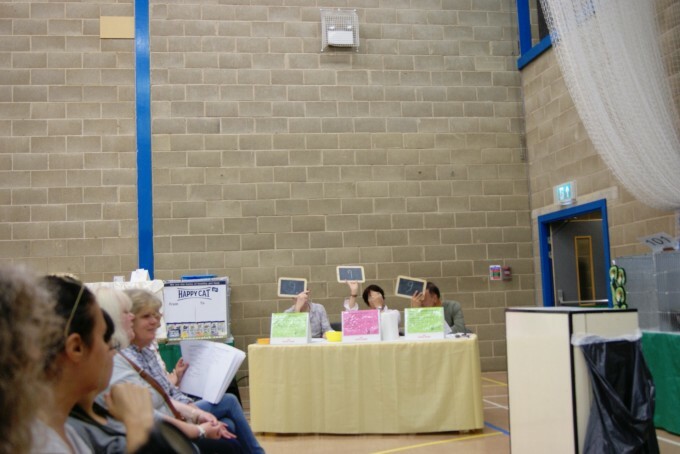 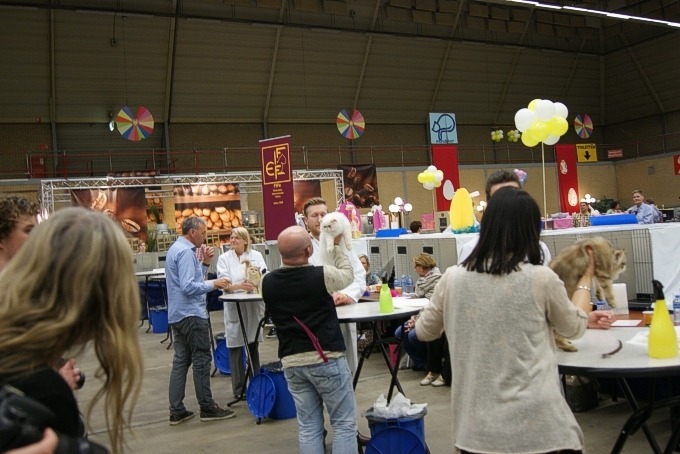 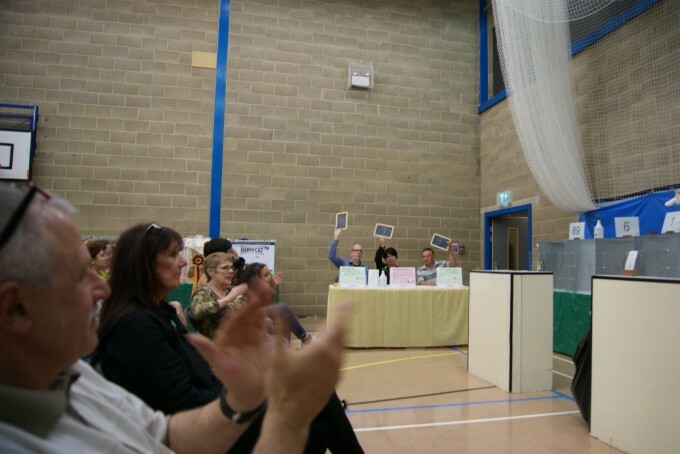 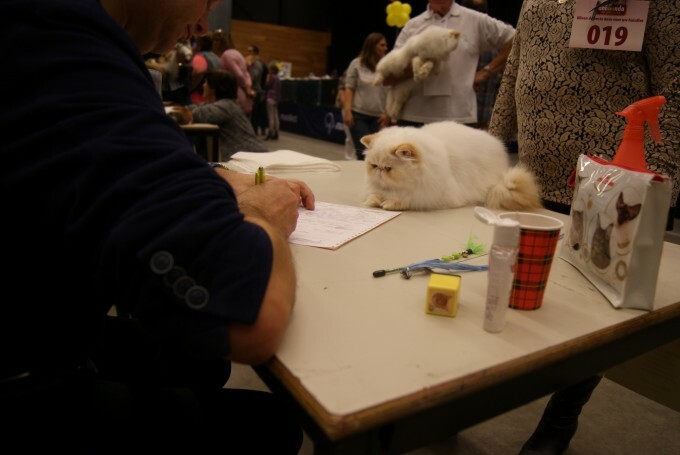 Fudge Nominated by both Judges. 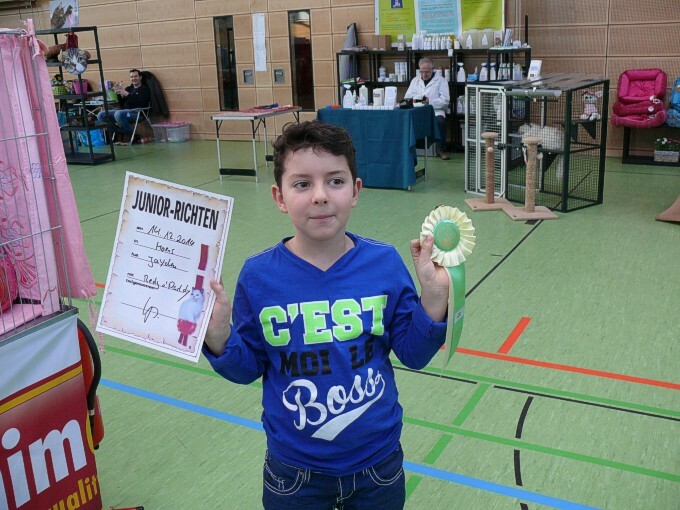 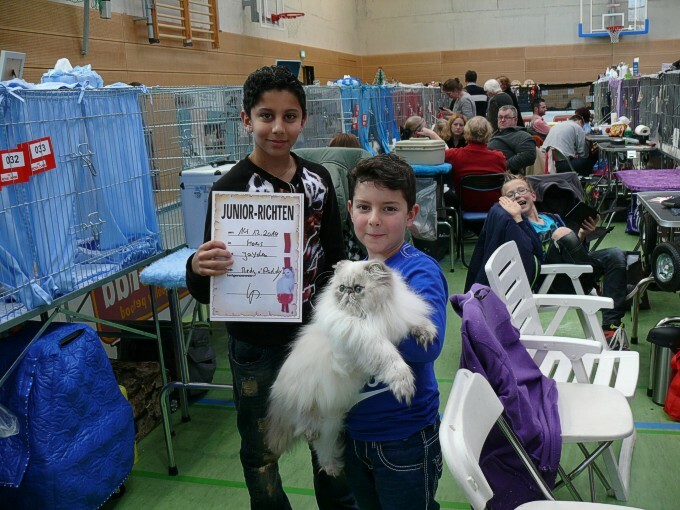 Wish second Best of the Best and now "Junior Winner". 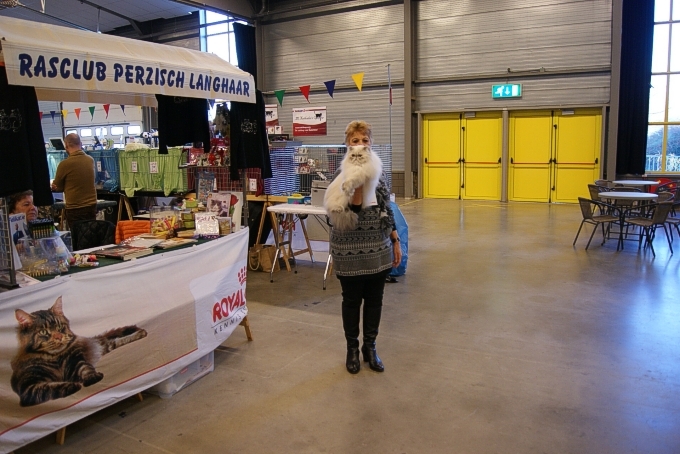 We had a wonderful weekend! 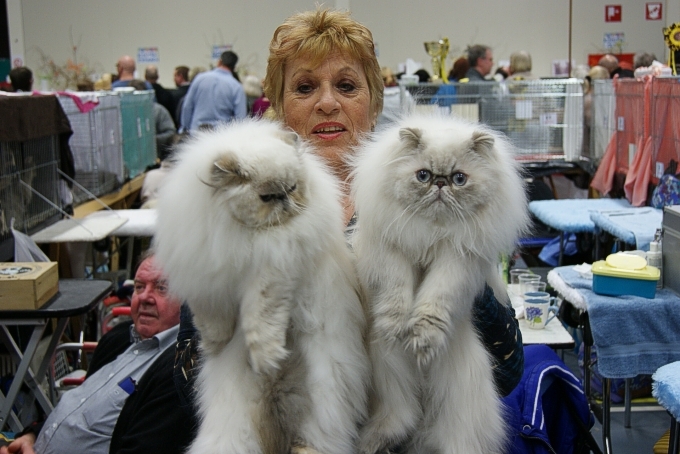 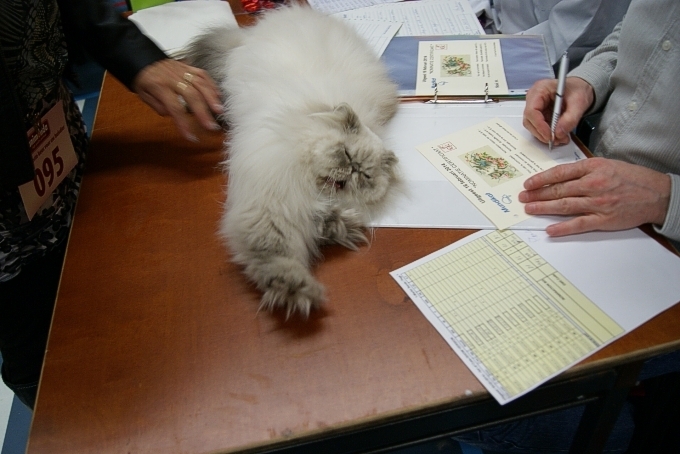 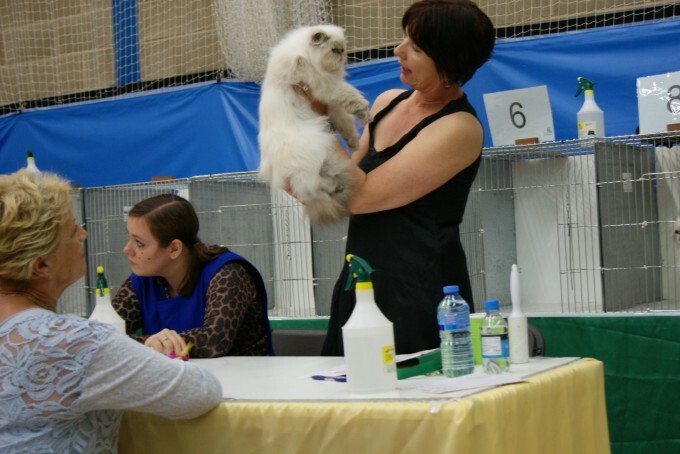 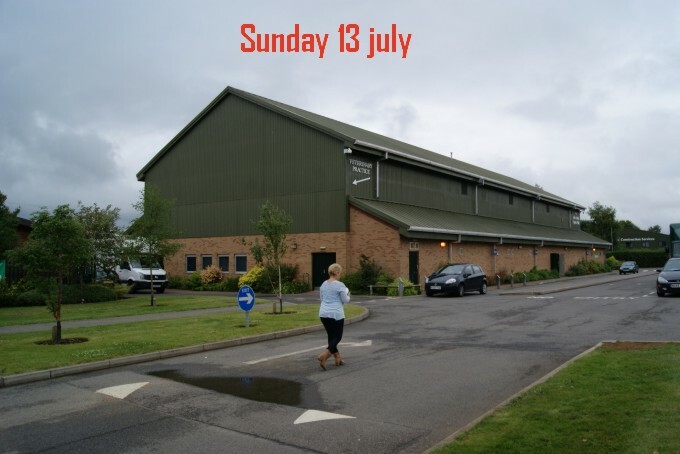 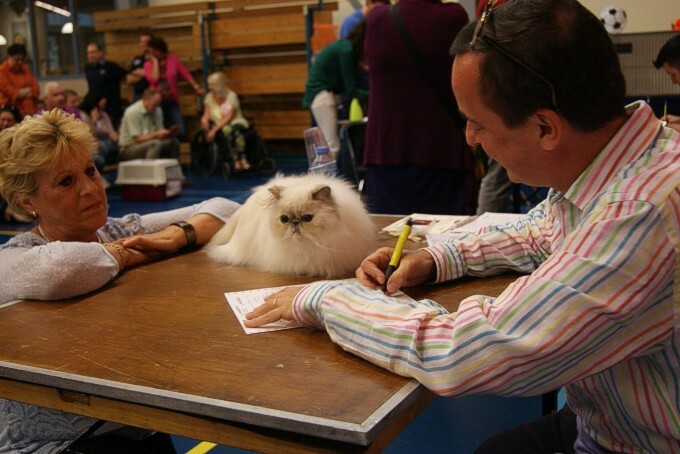 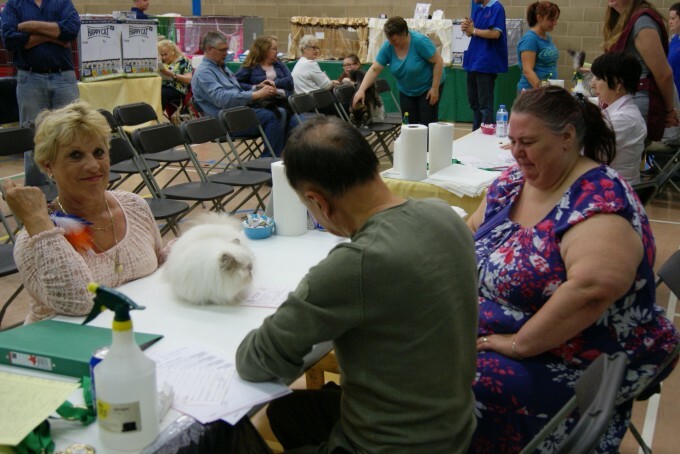 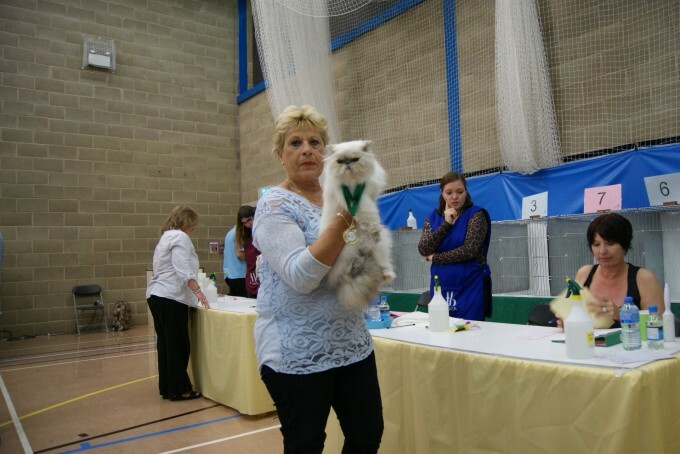 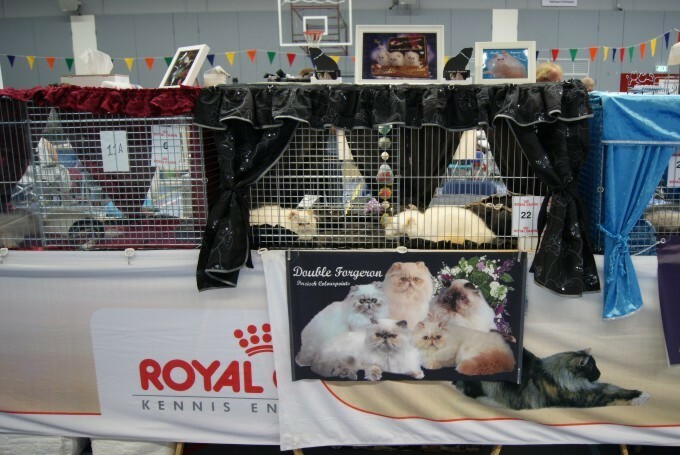 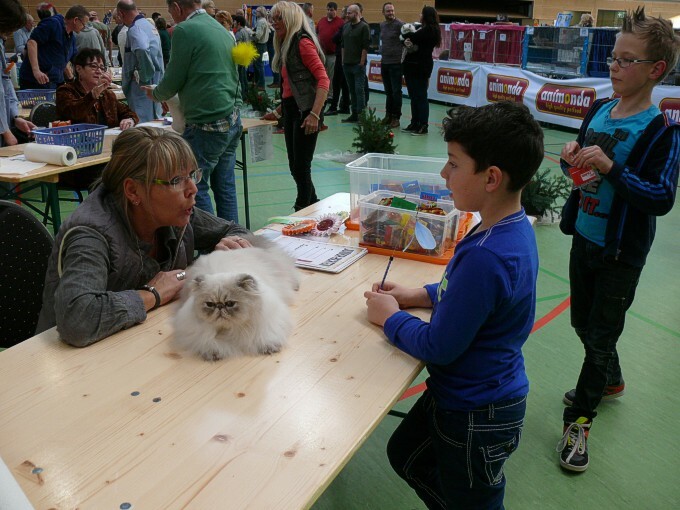 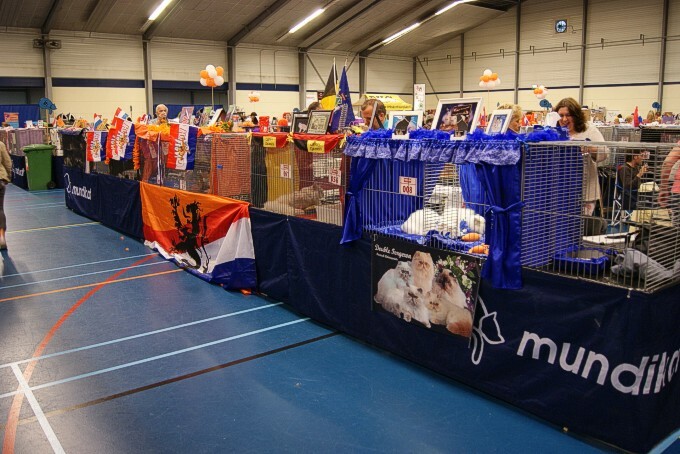 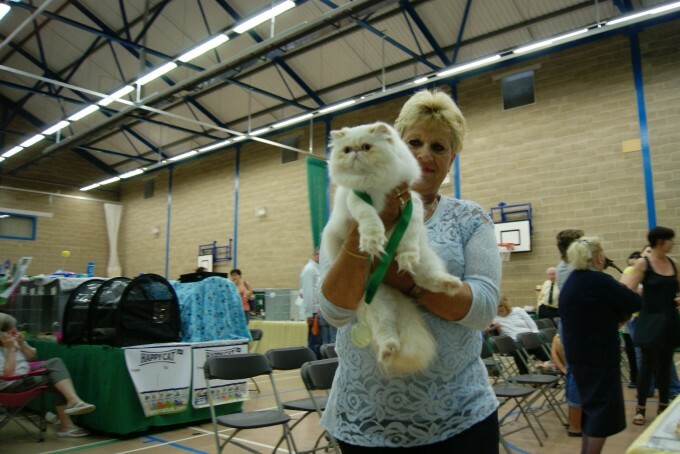 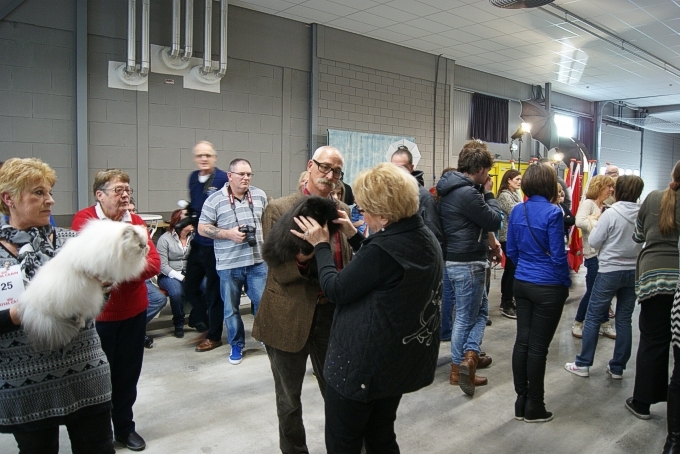 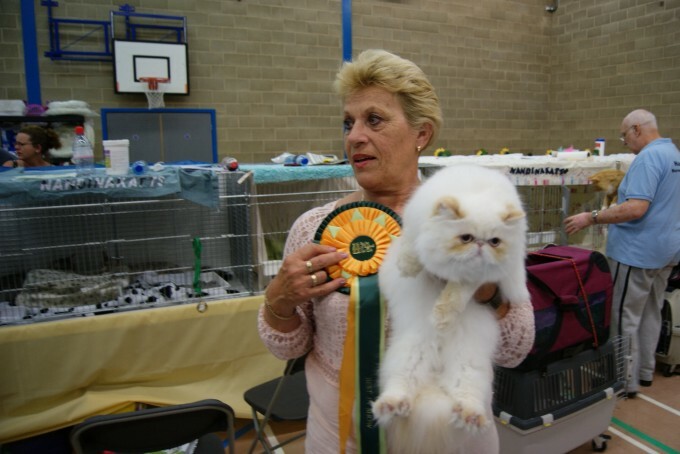 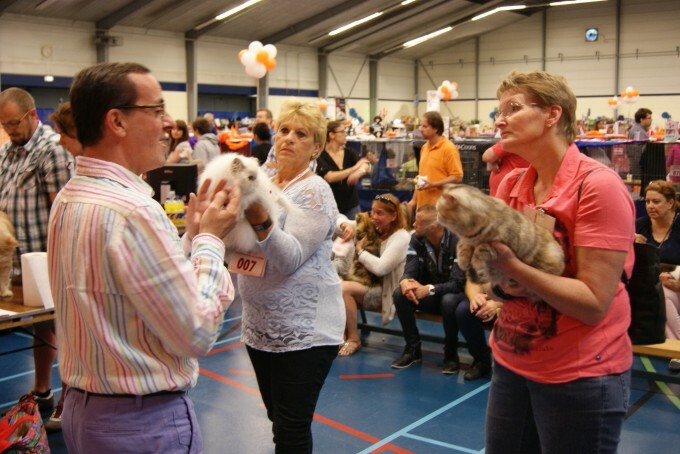 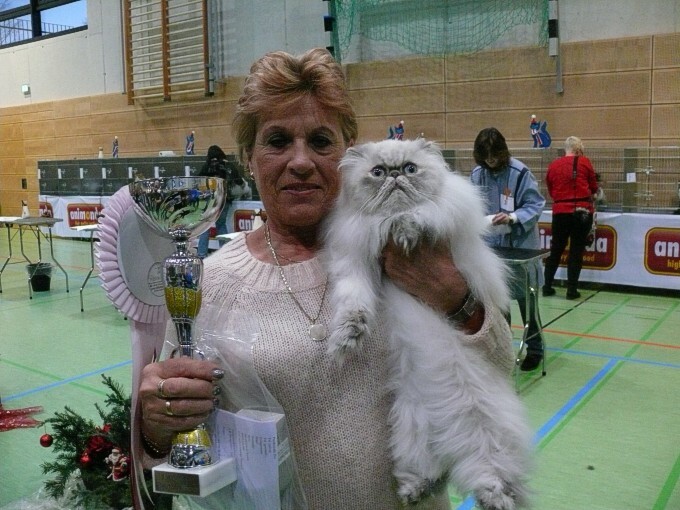 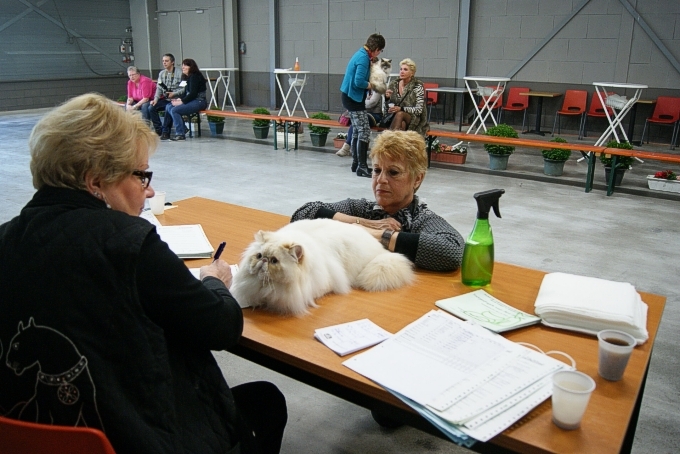 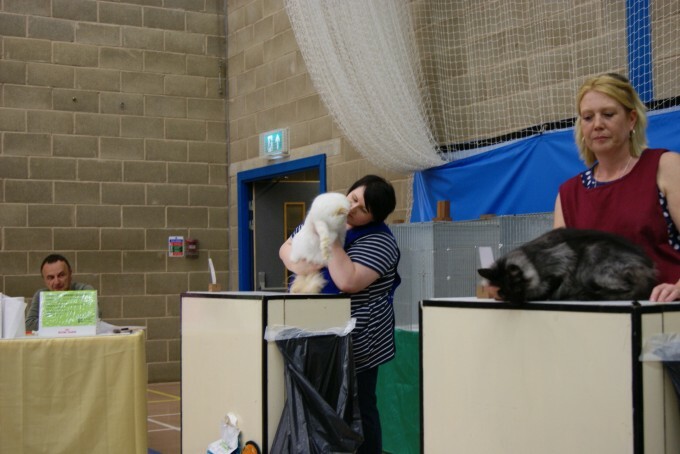 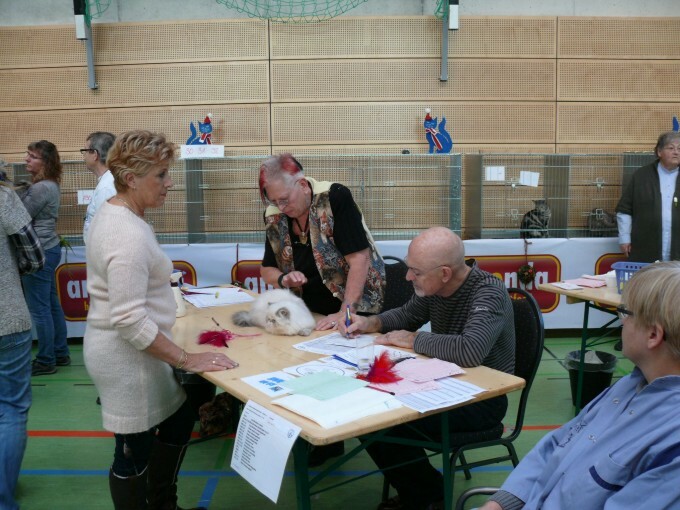 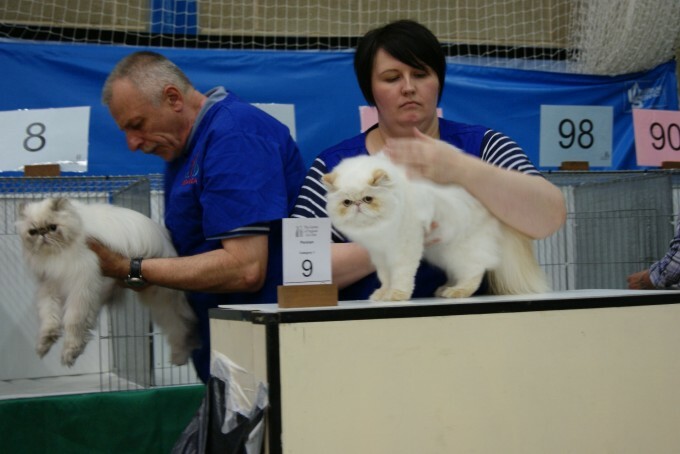 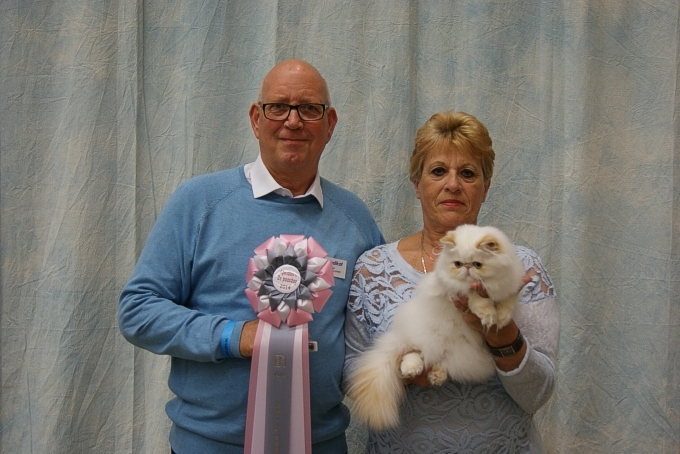 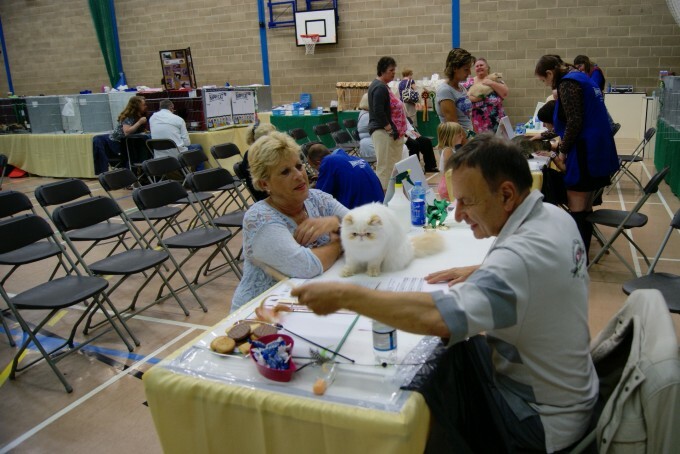 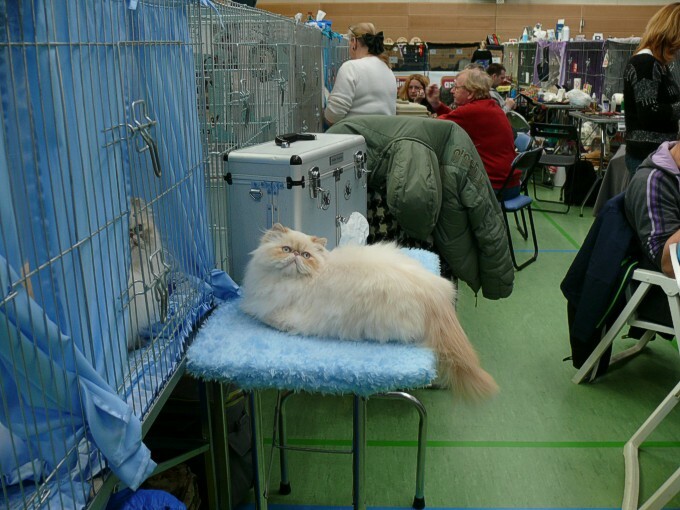 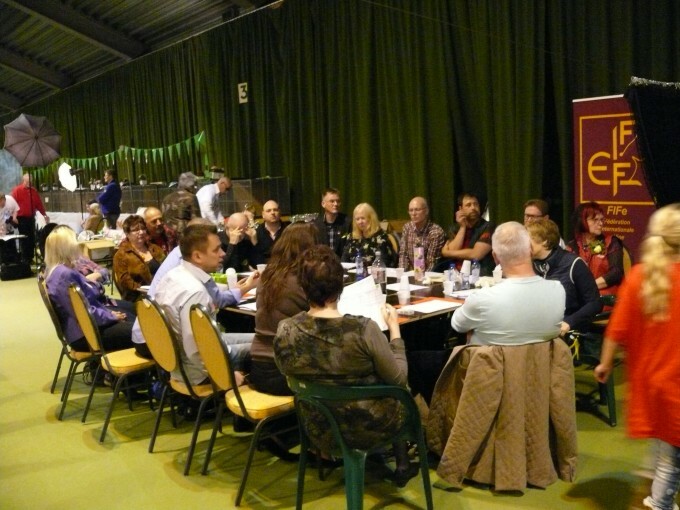 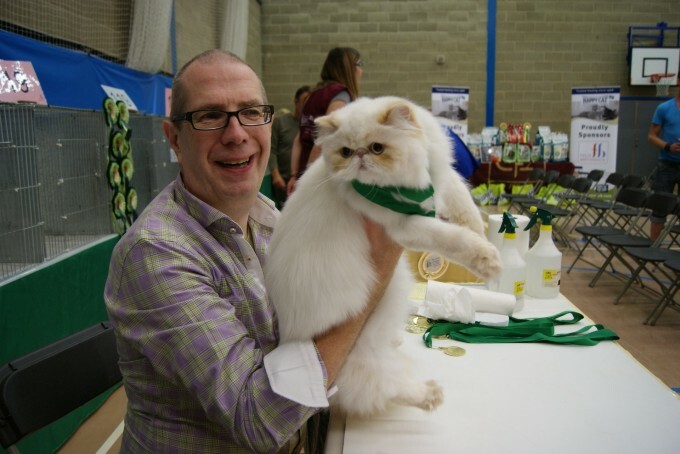 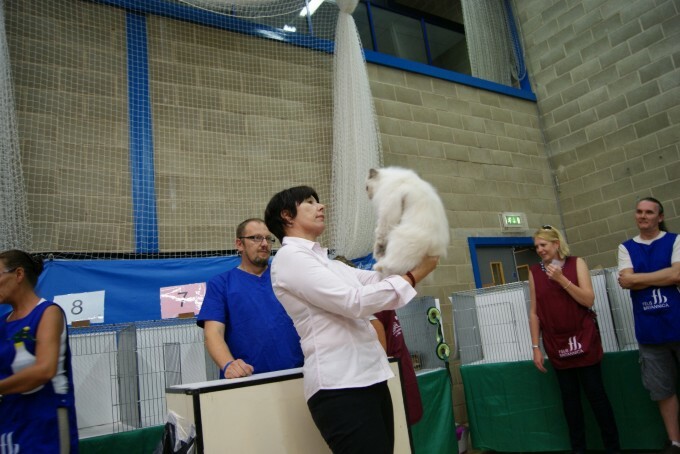 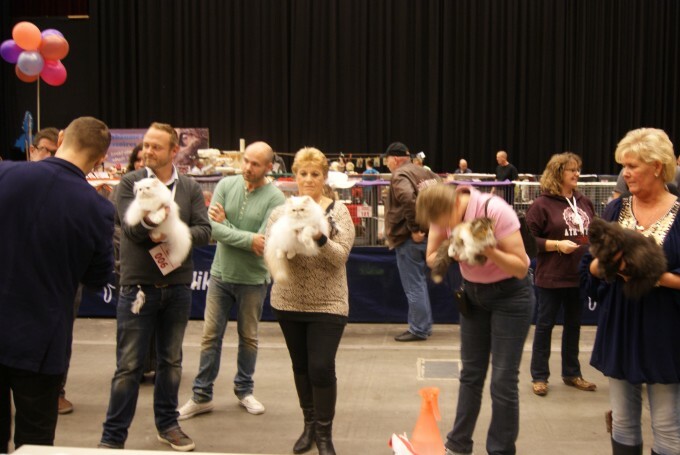 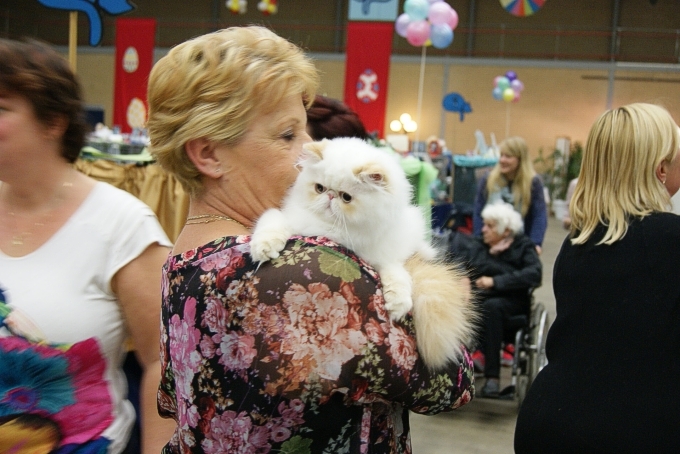 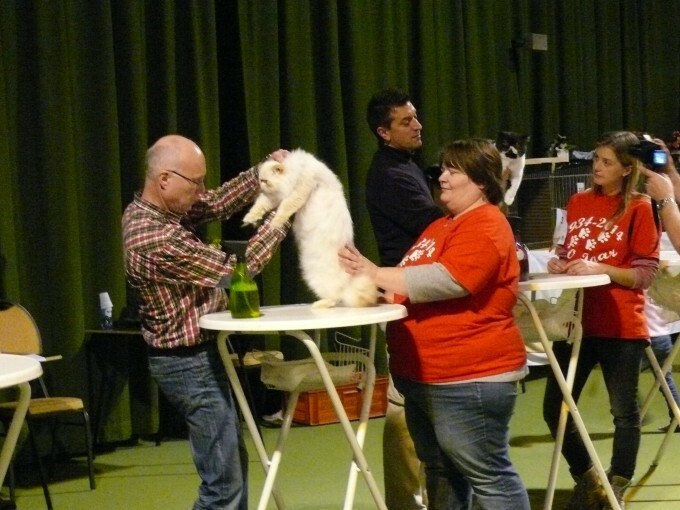 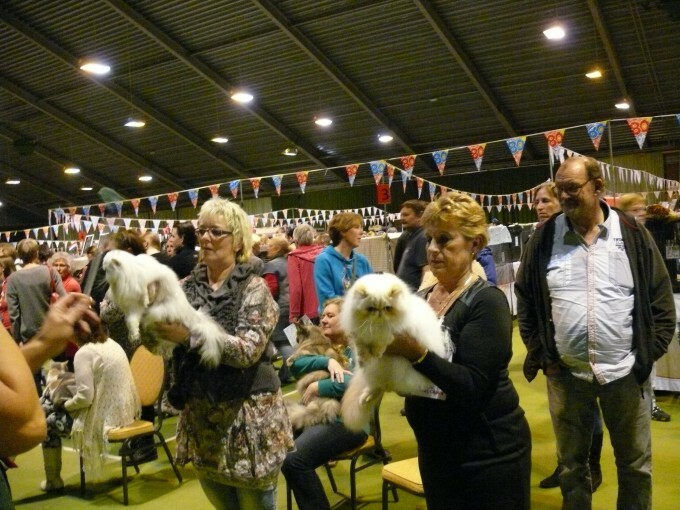 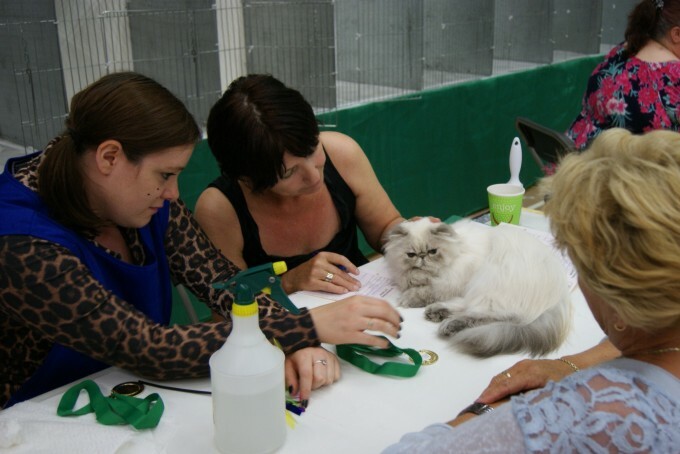 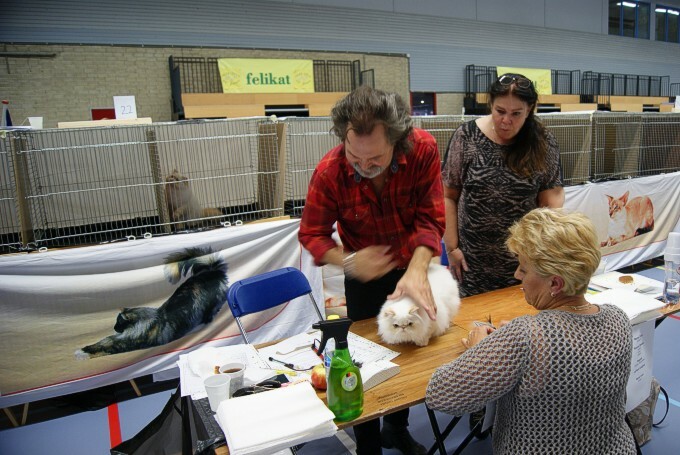 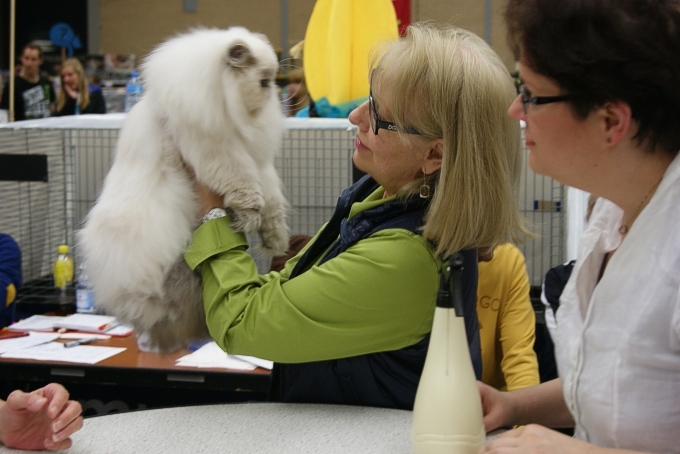 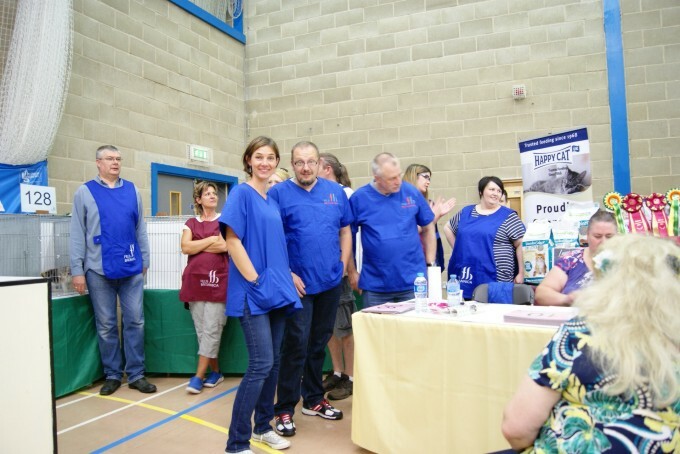 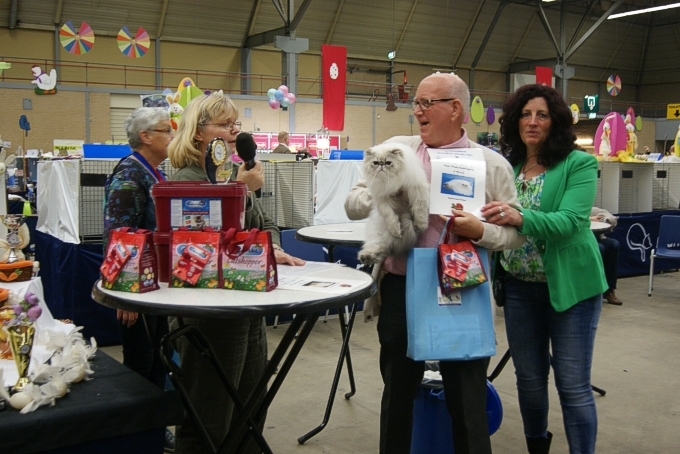 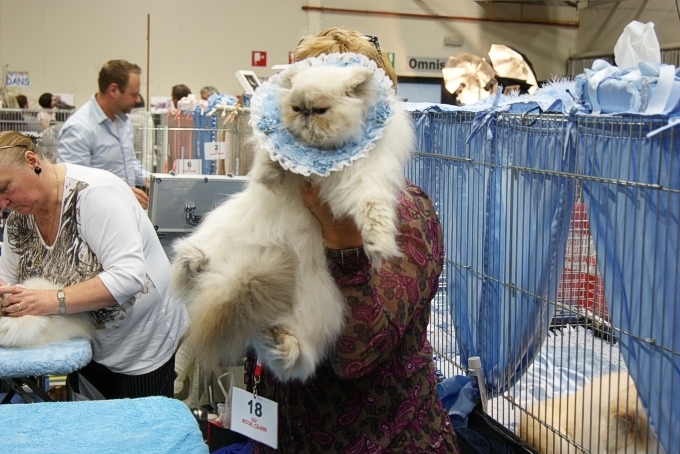 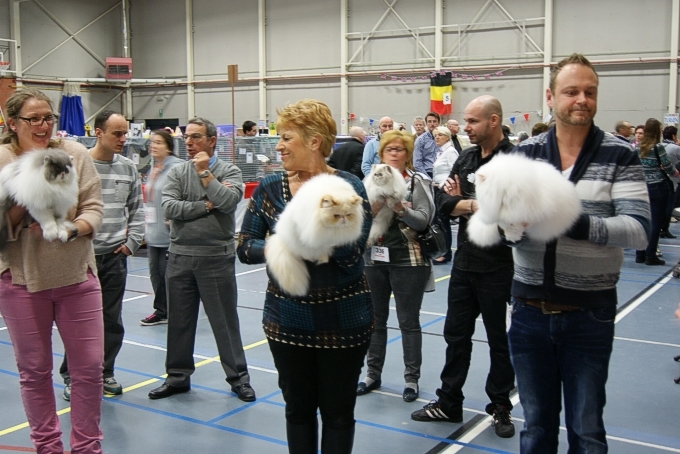 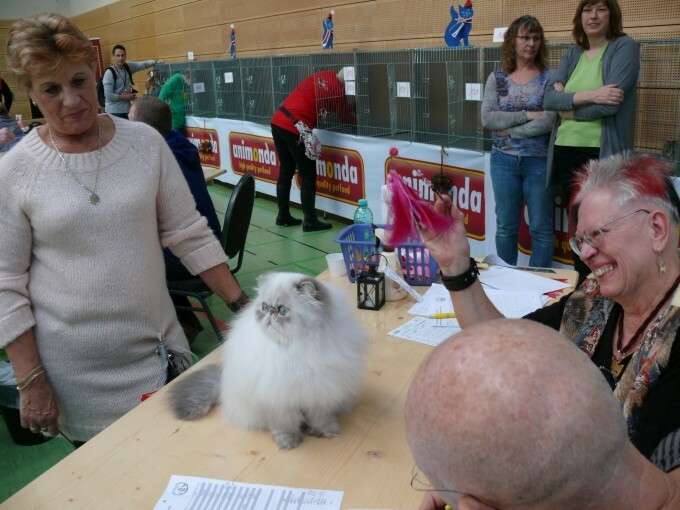 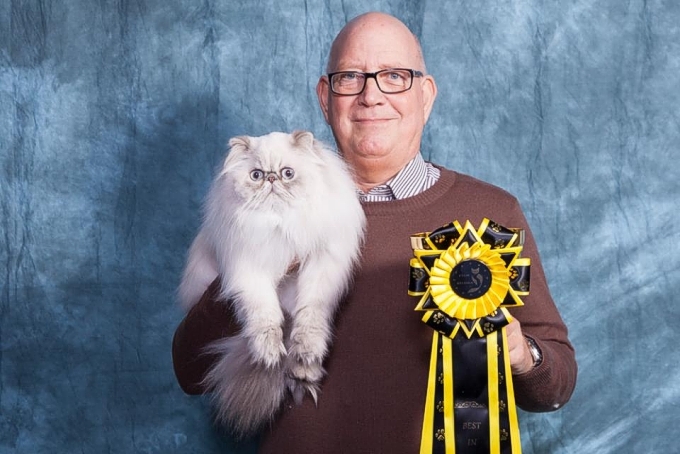 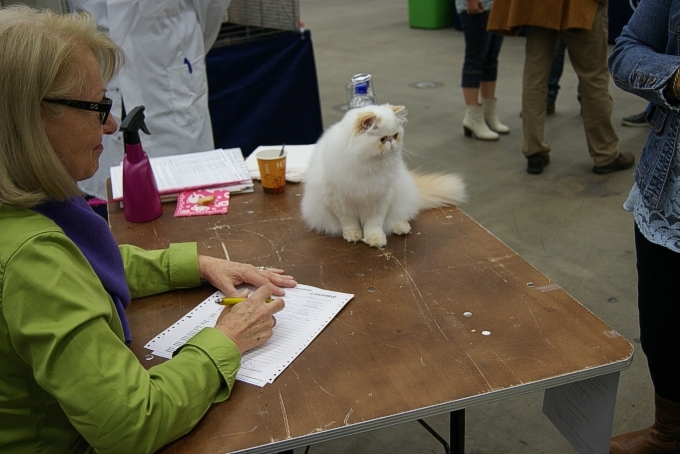 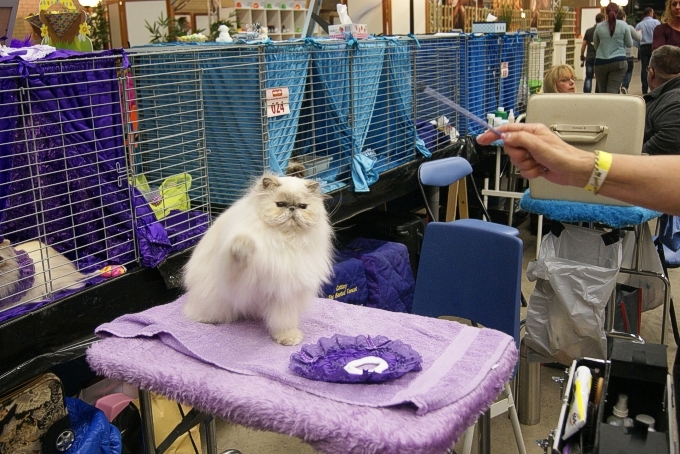 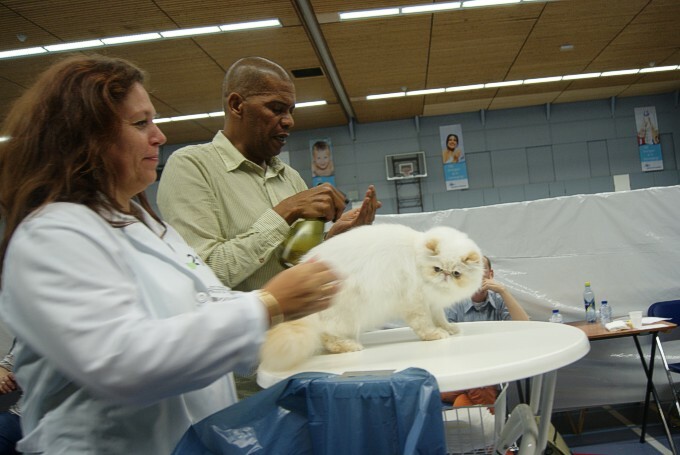 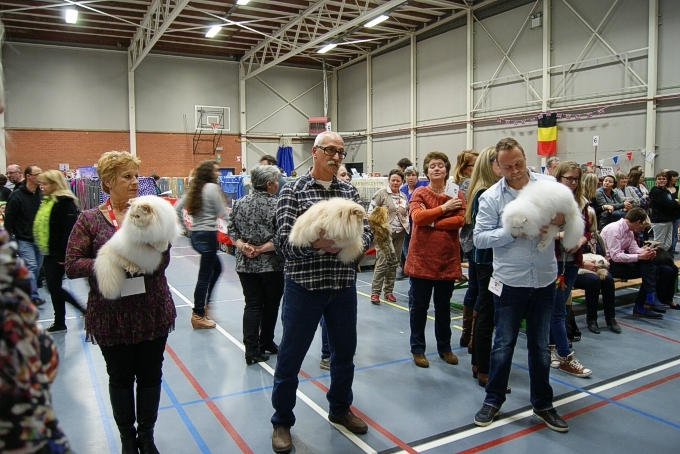 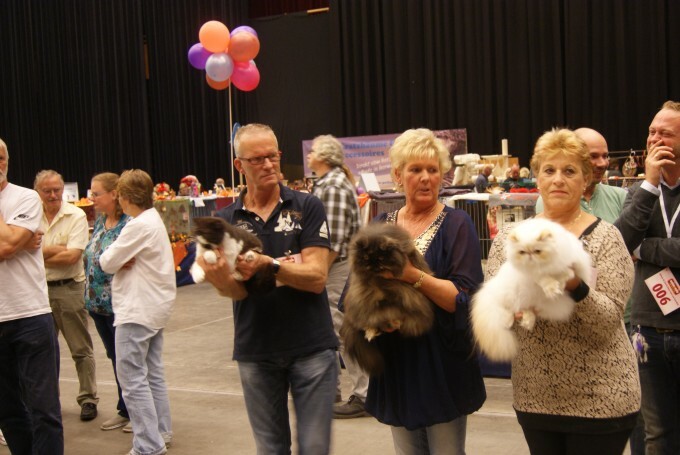 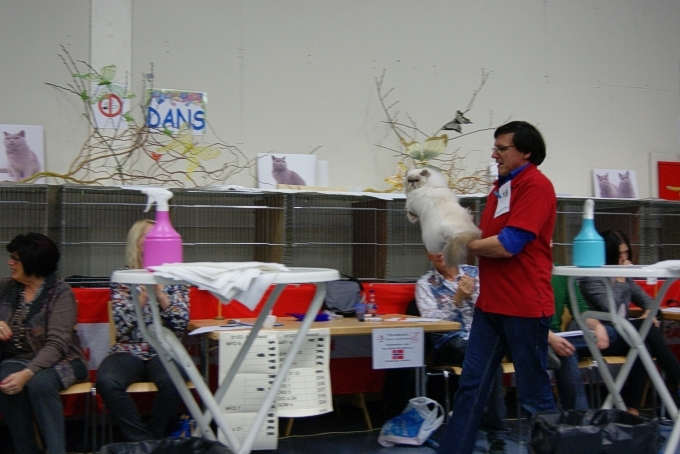 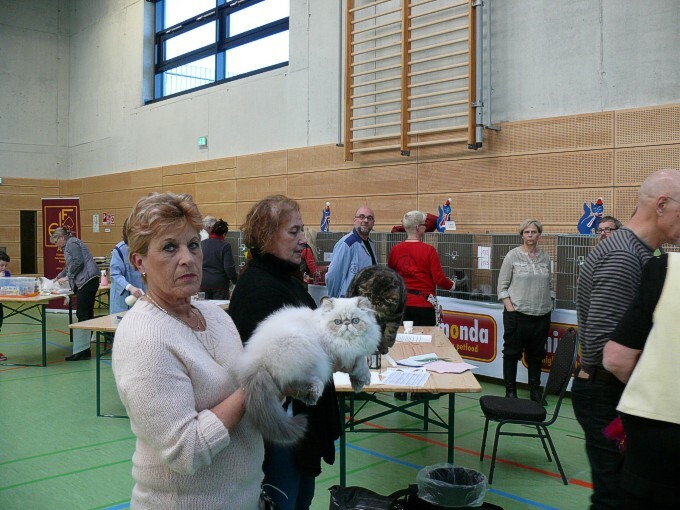 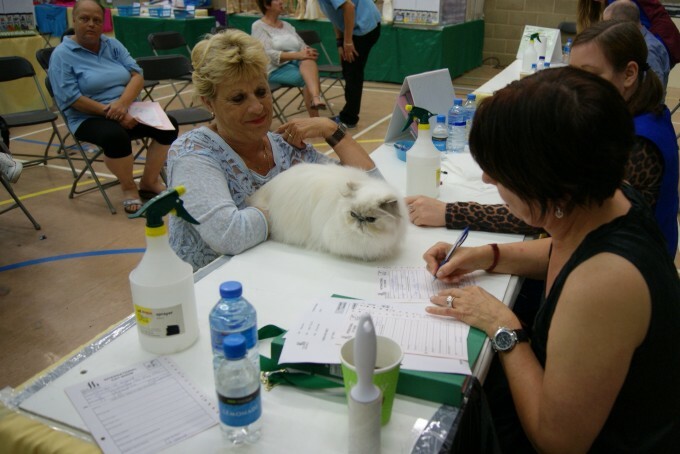 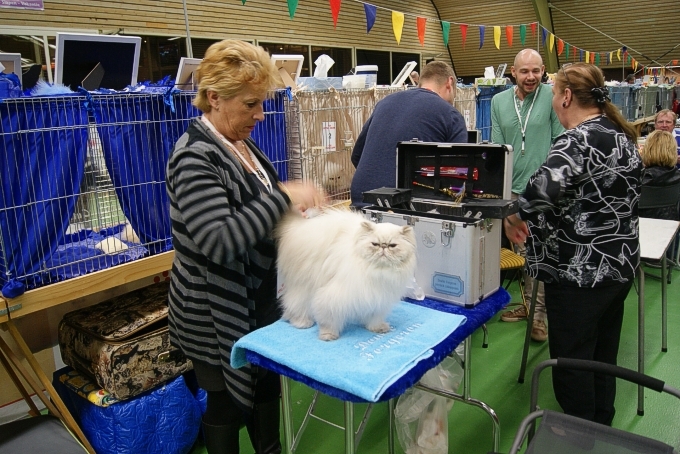 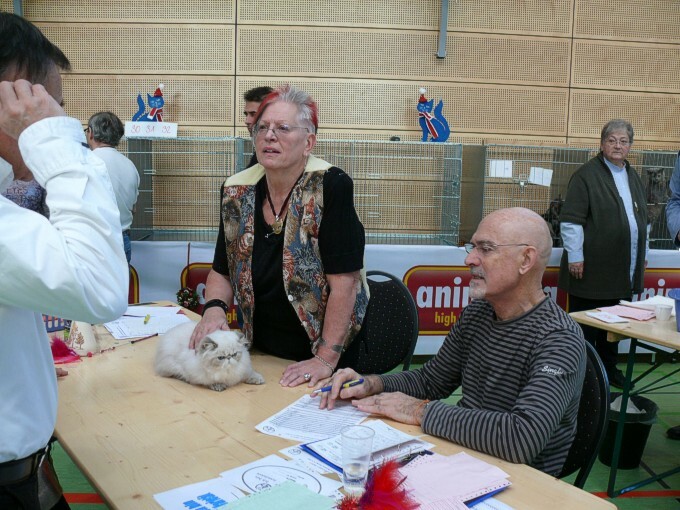 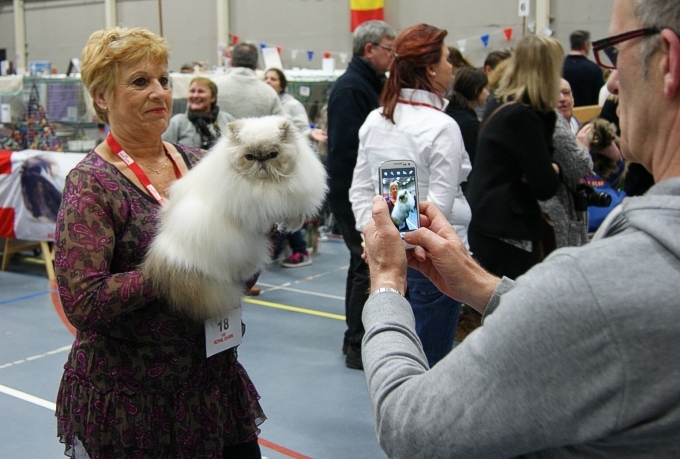 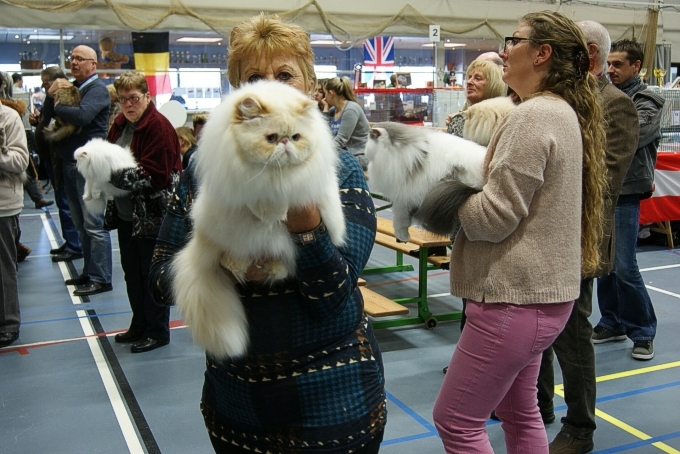 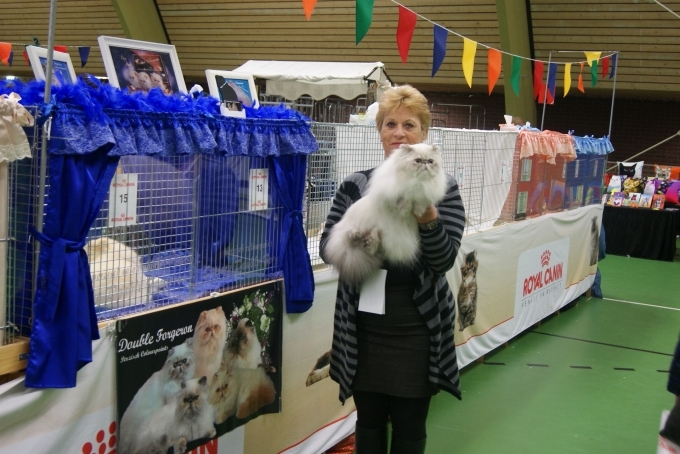 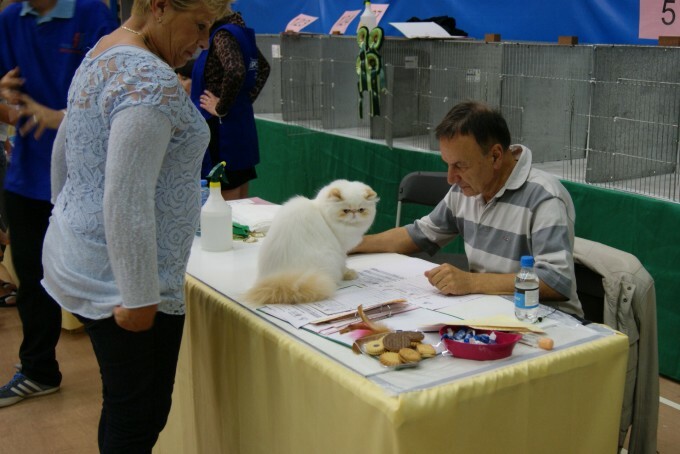 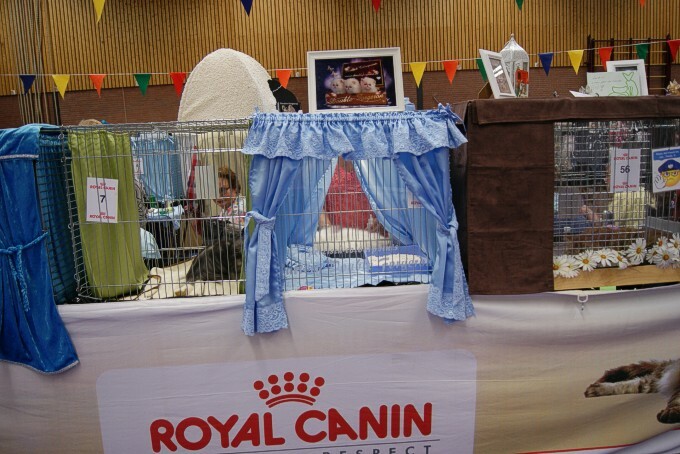 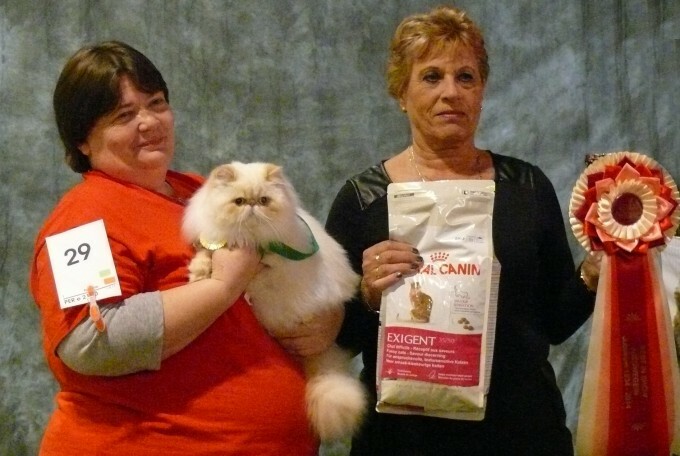 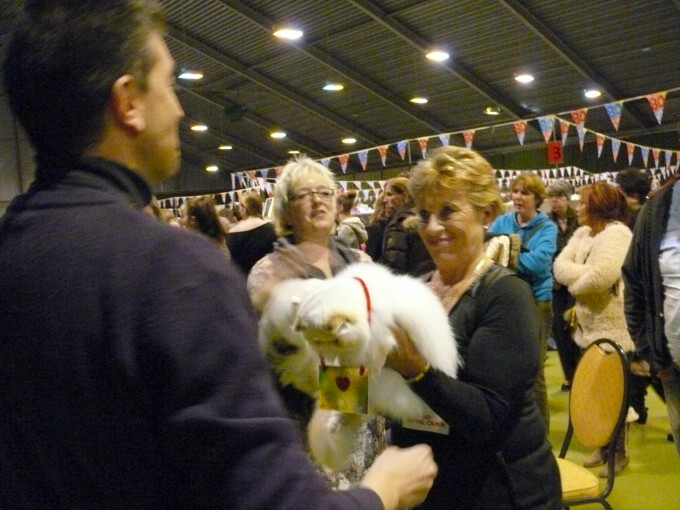 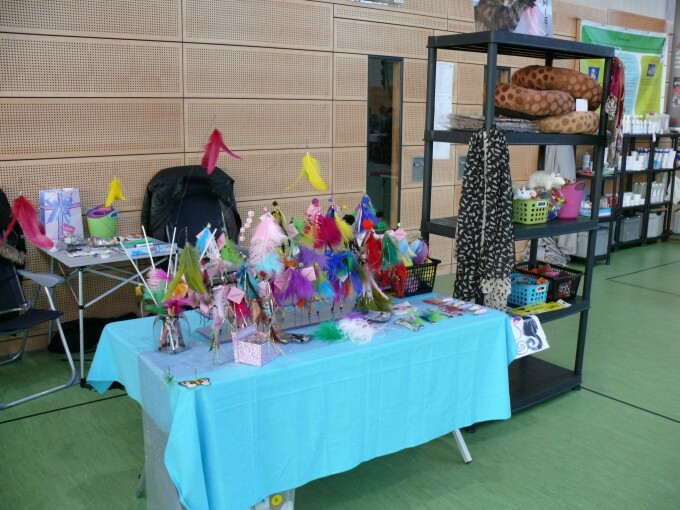 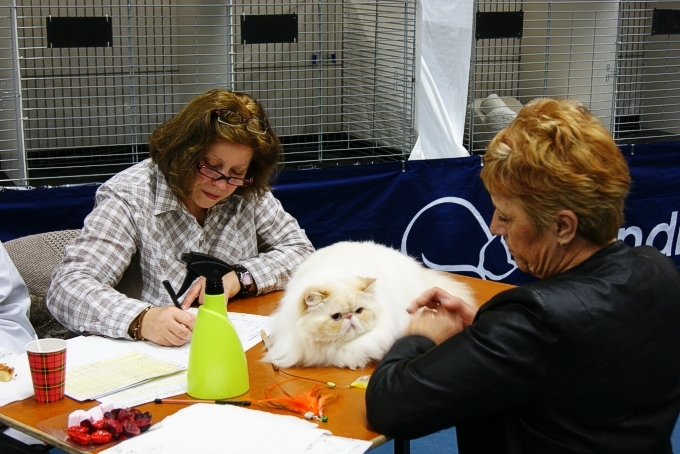 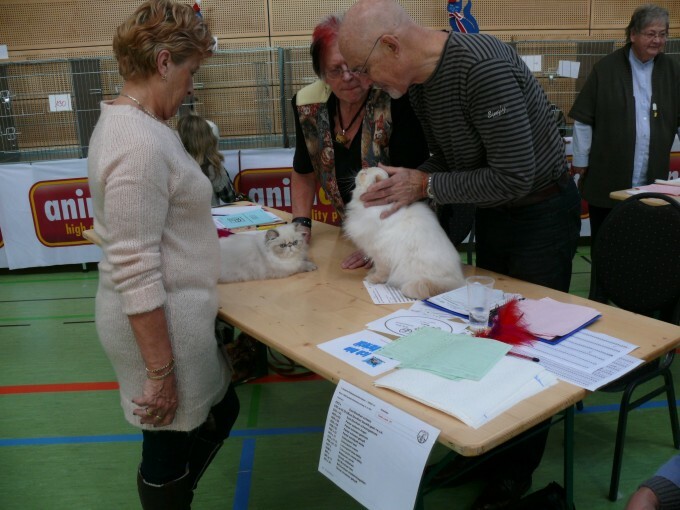 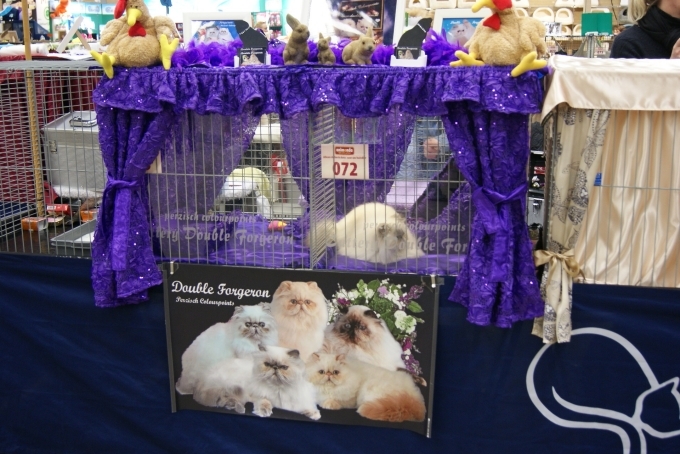 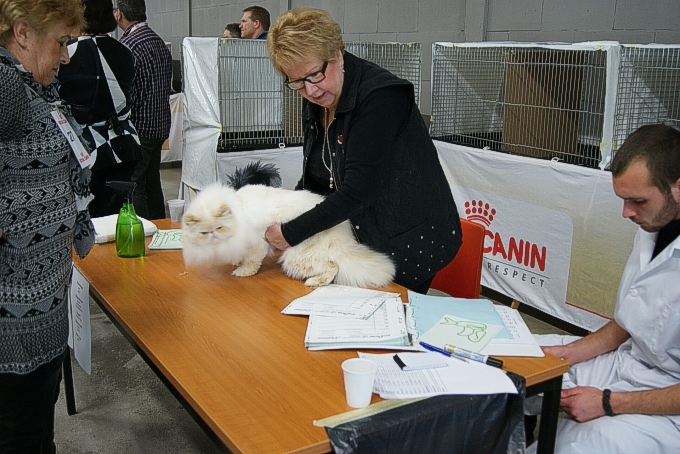 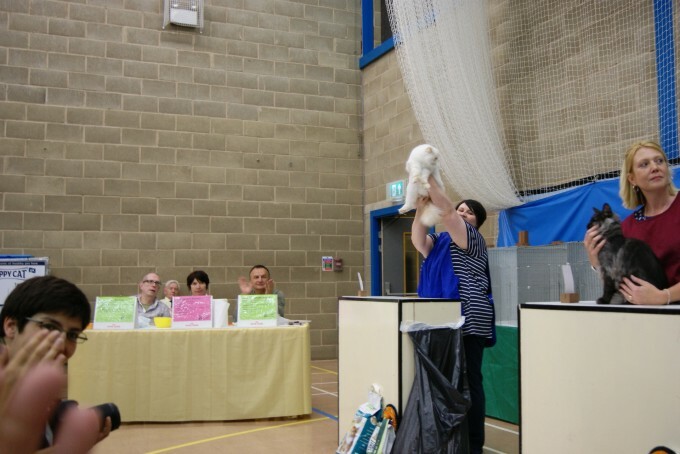 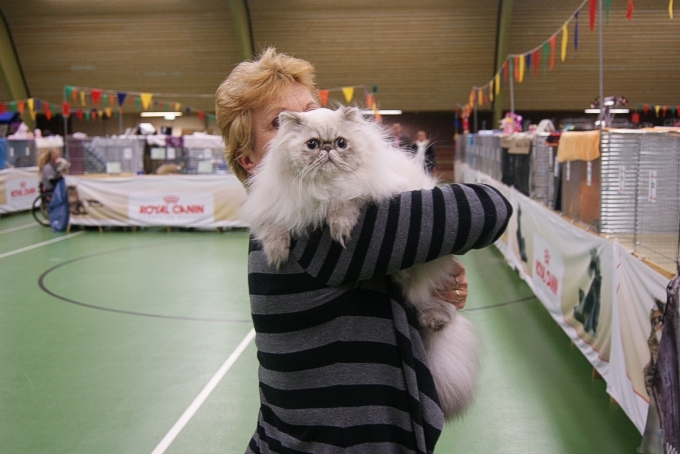 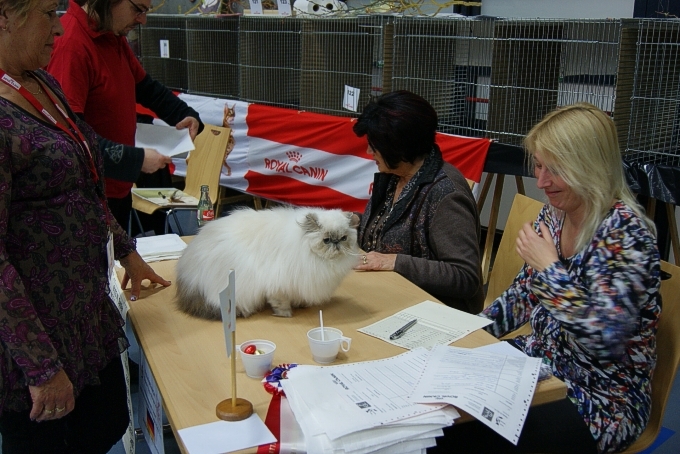 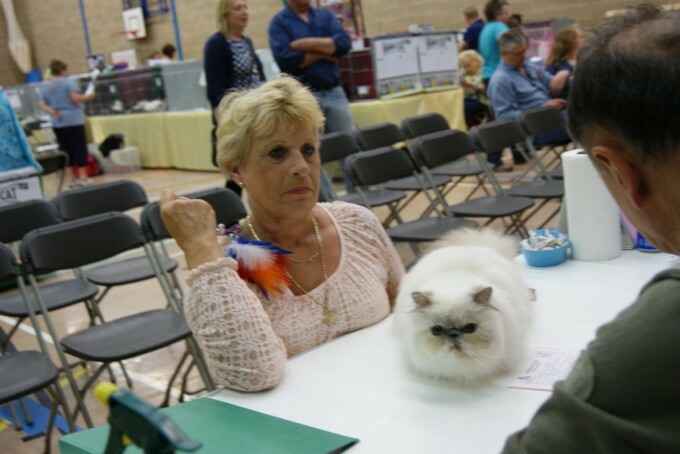 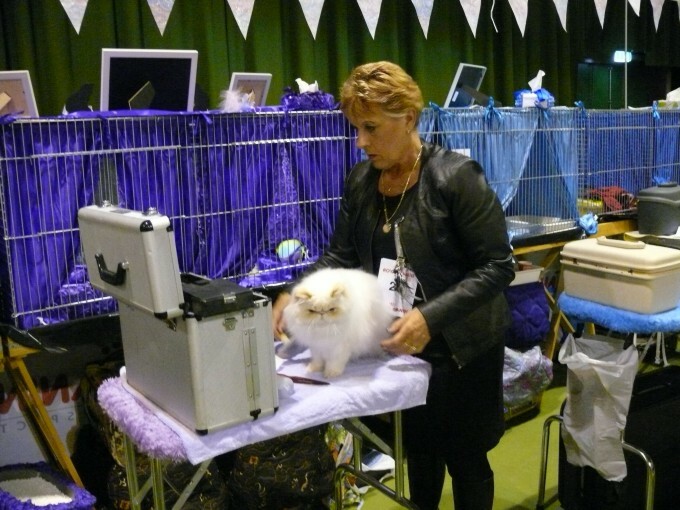 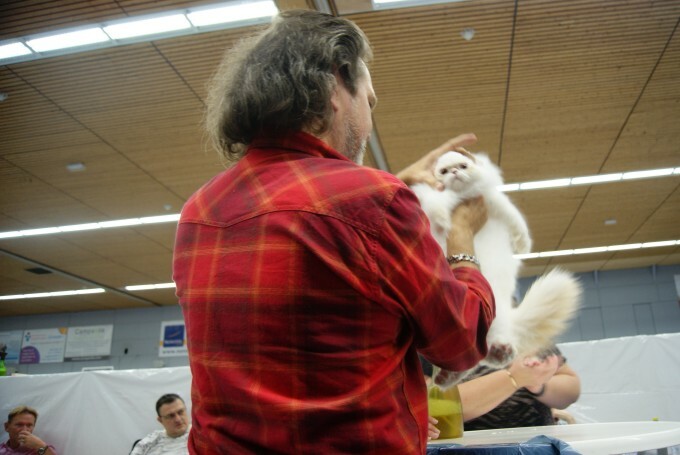 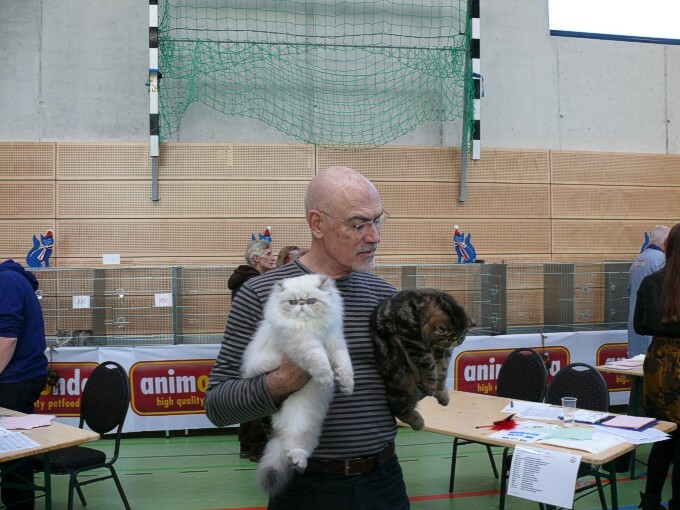 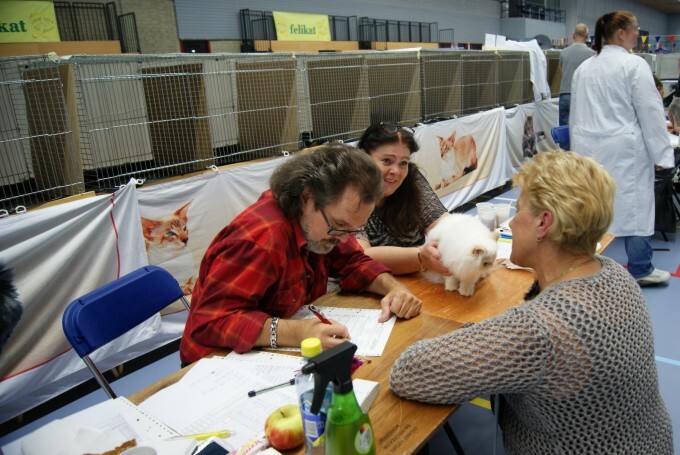 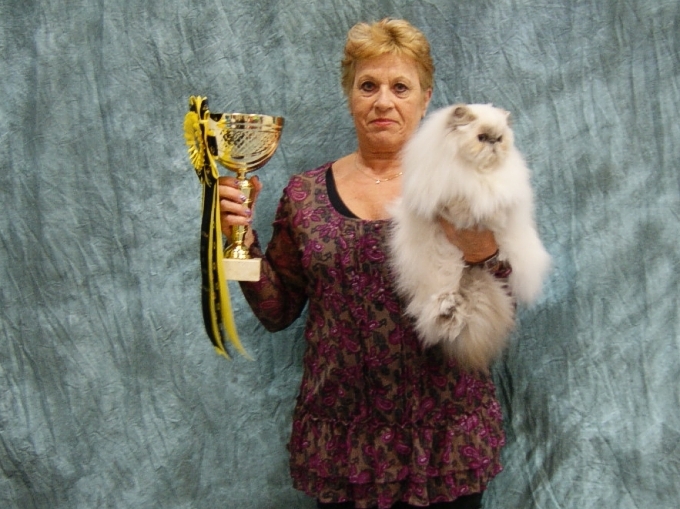 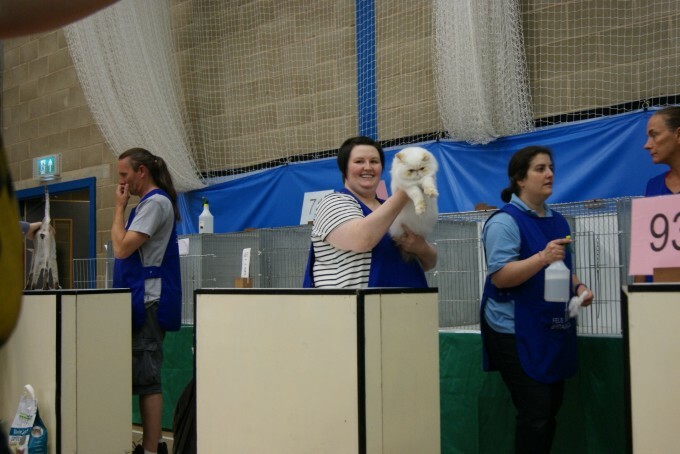 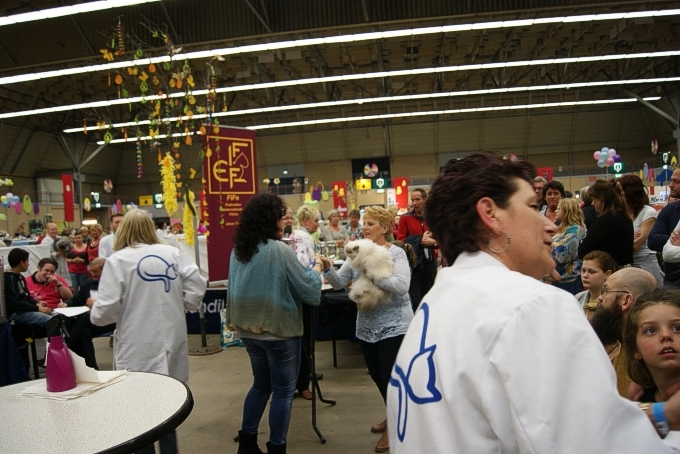 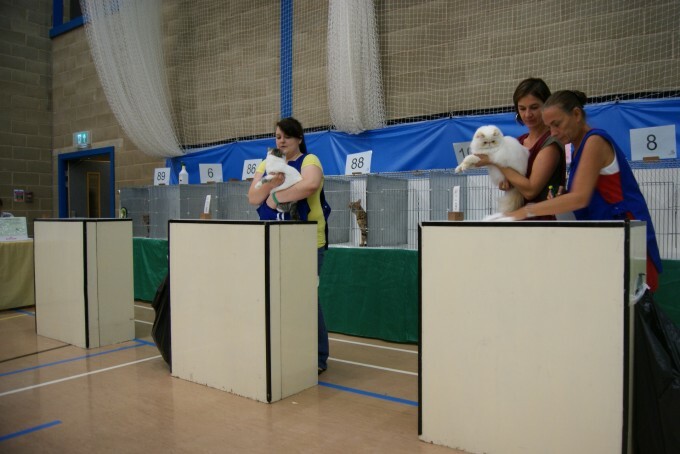 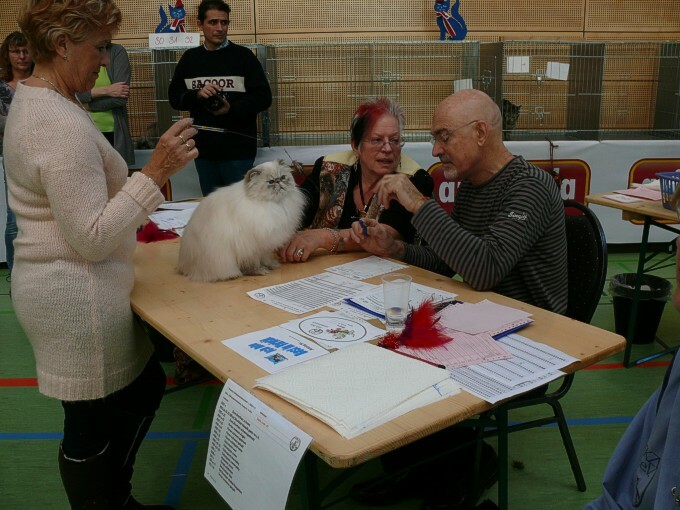 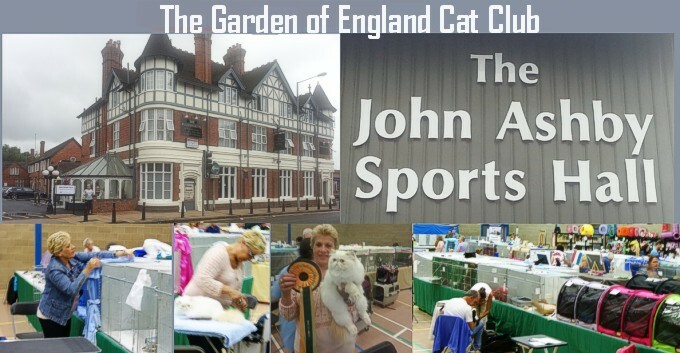 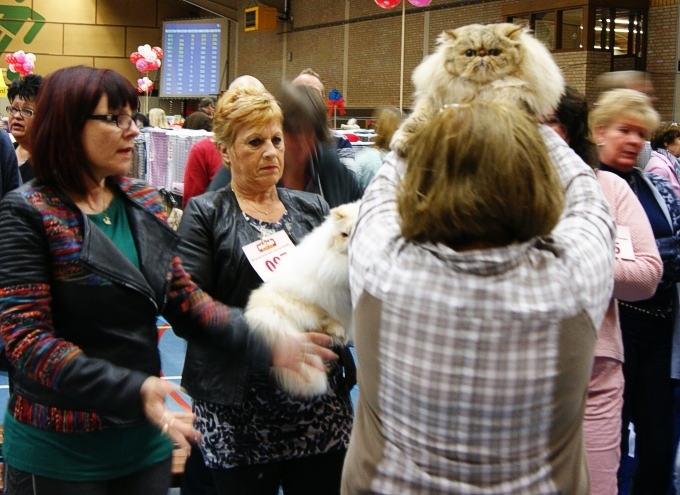 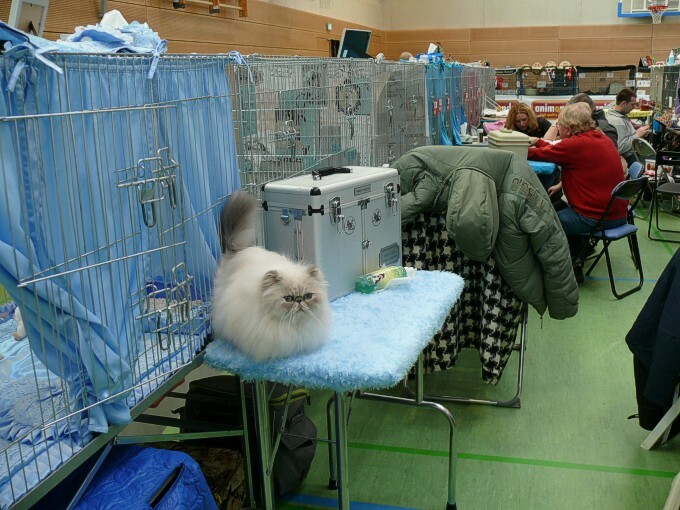 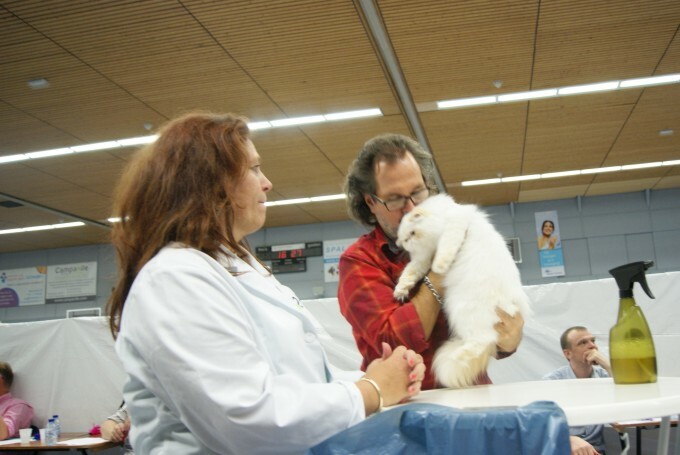 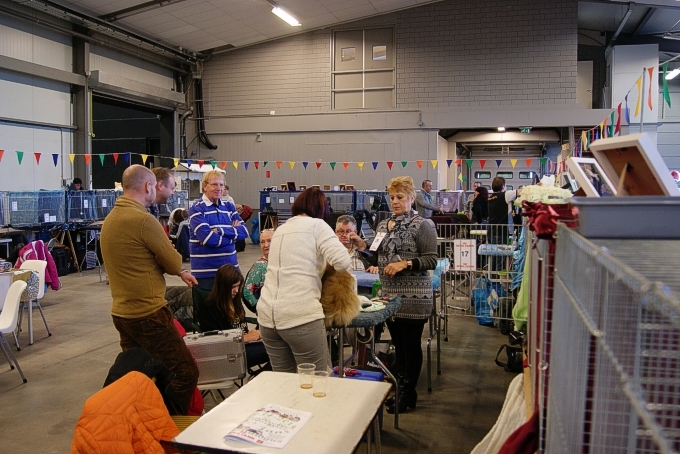 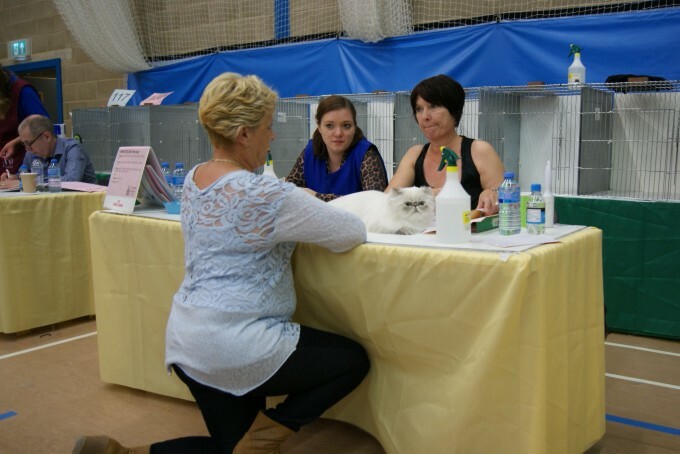 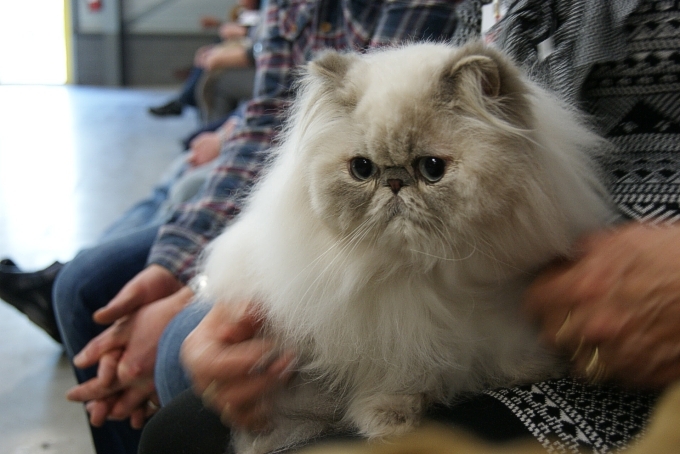 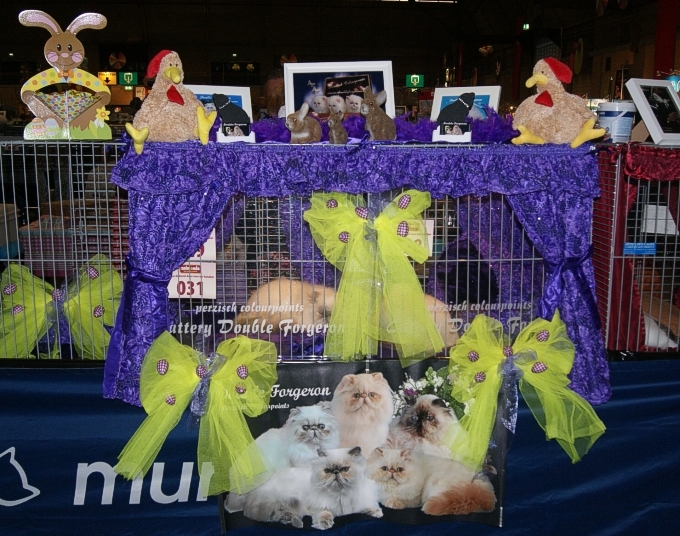 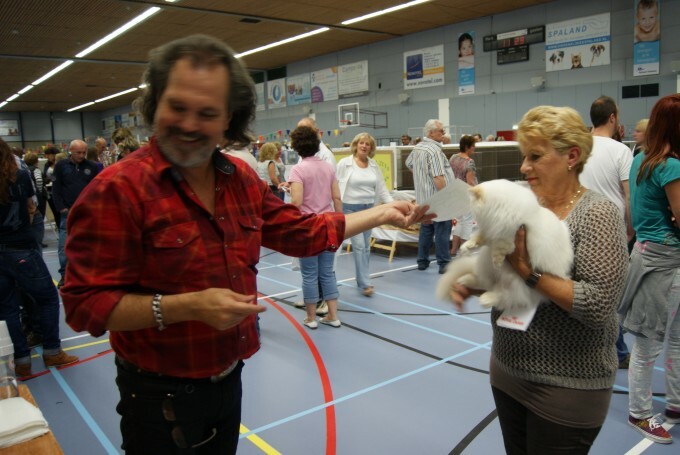 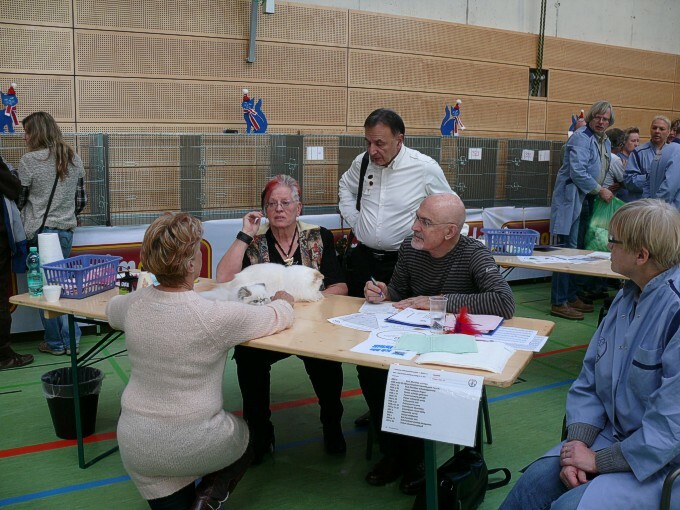 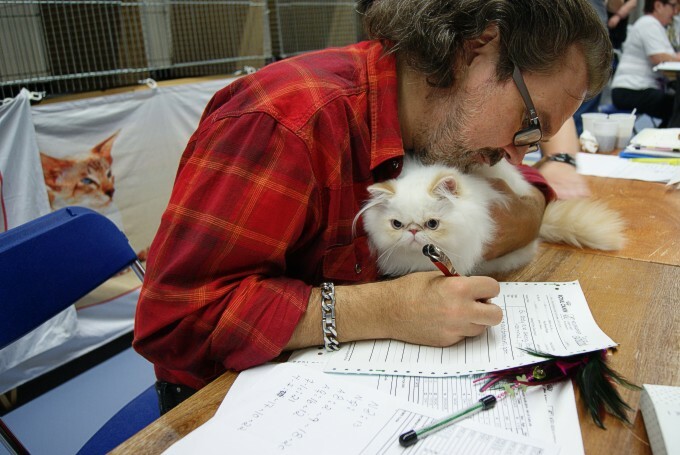 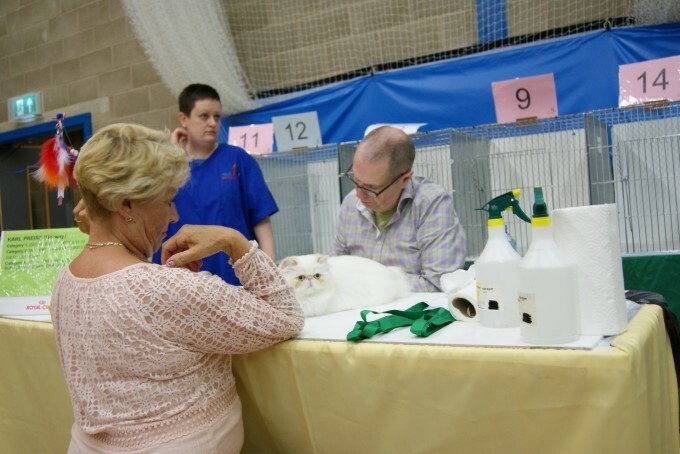 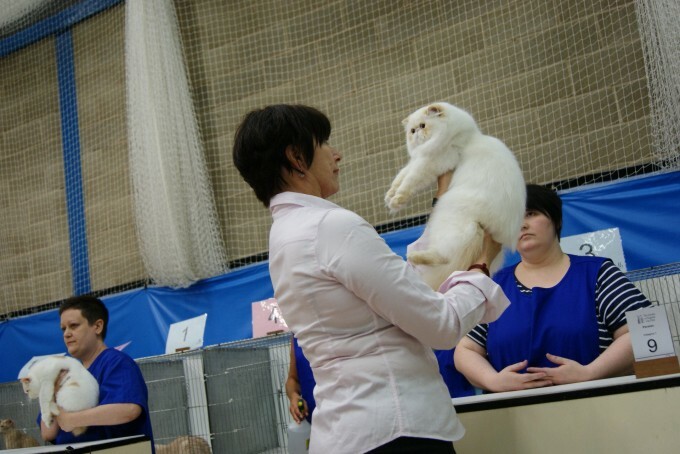 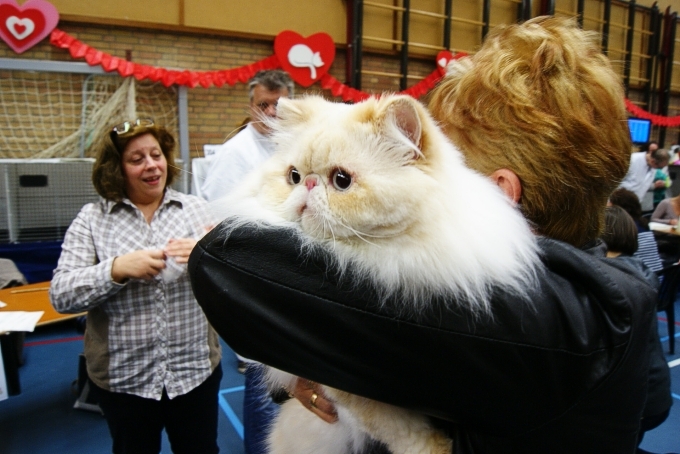 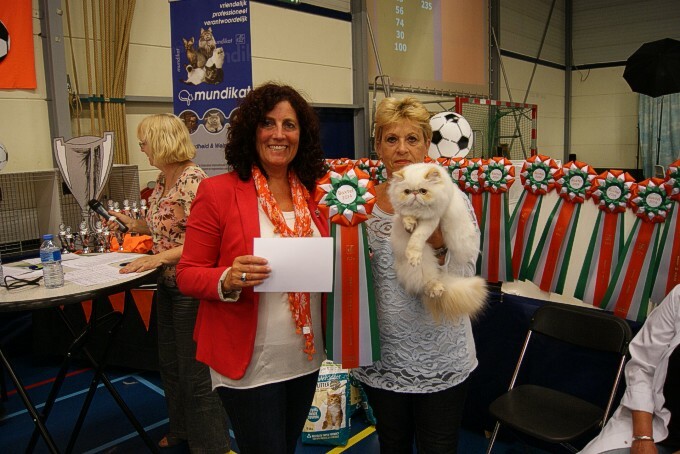 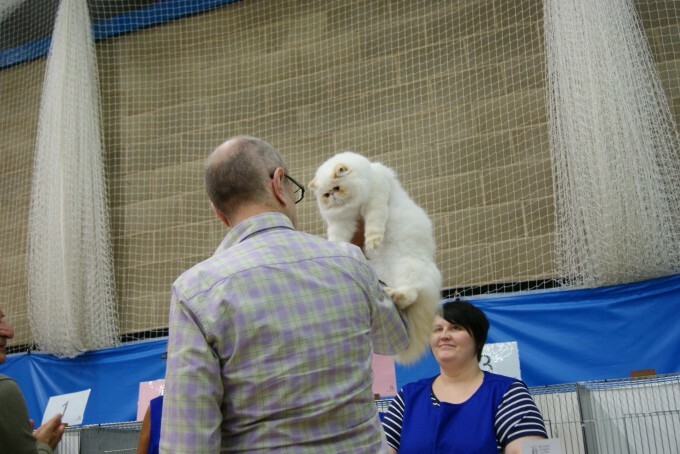 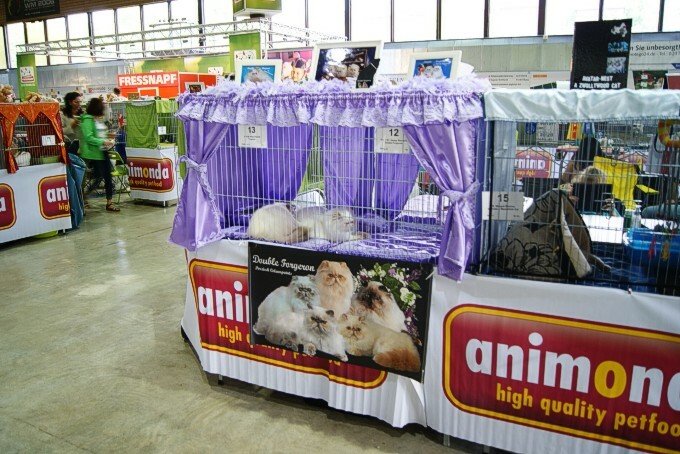 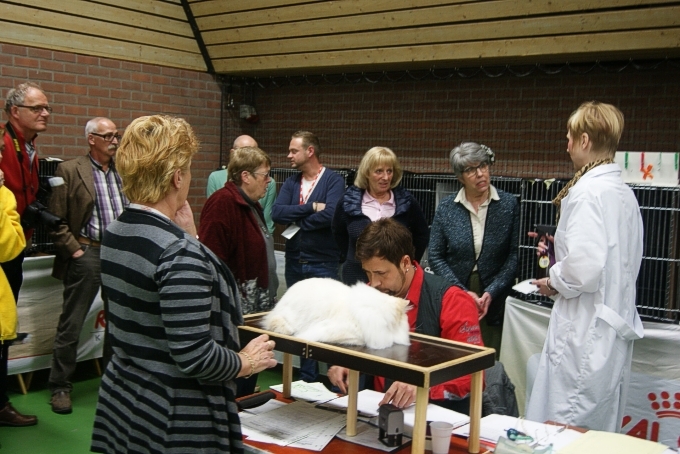 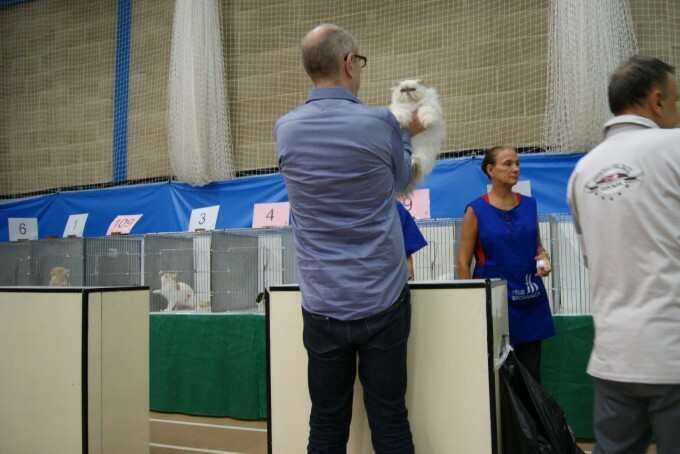 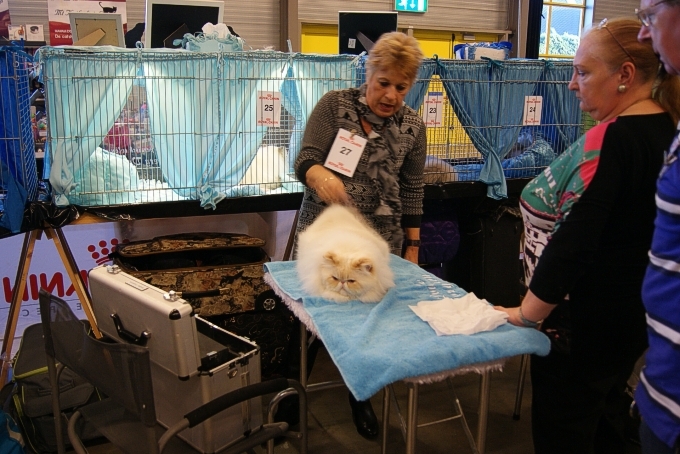 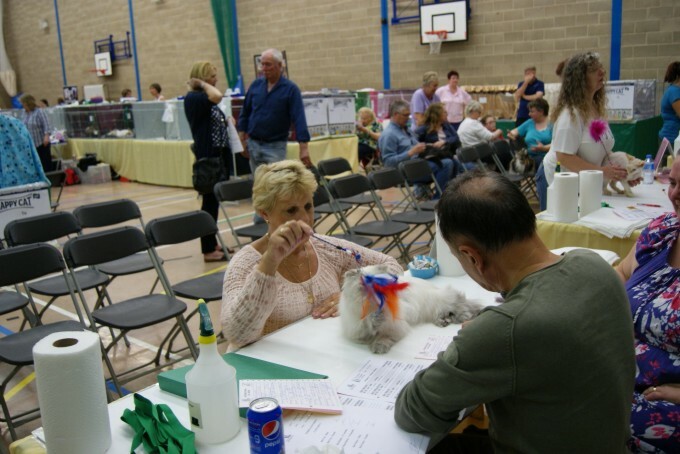 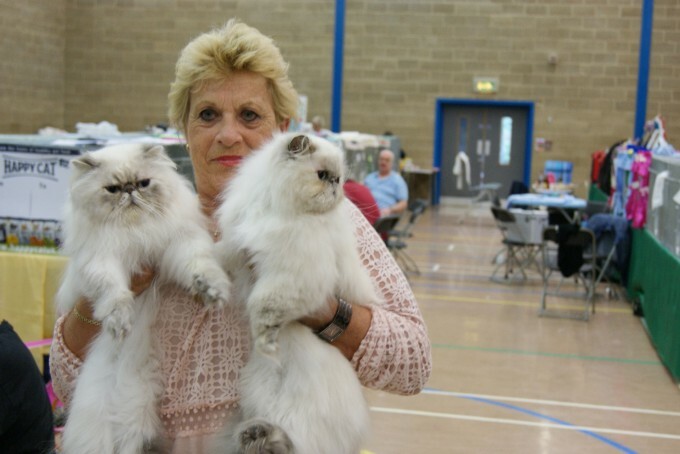 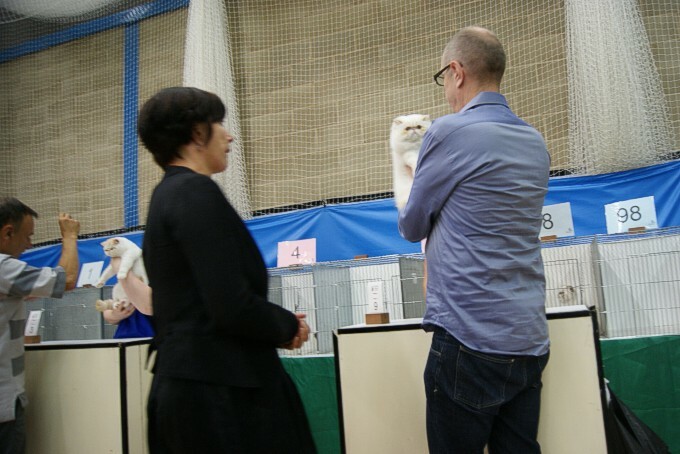 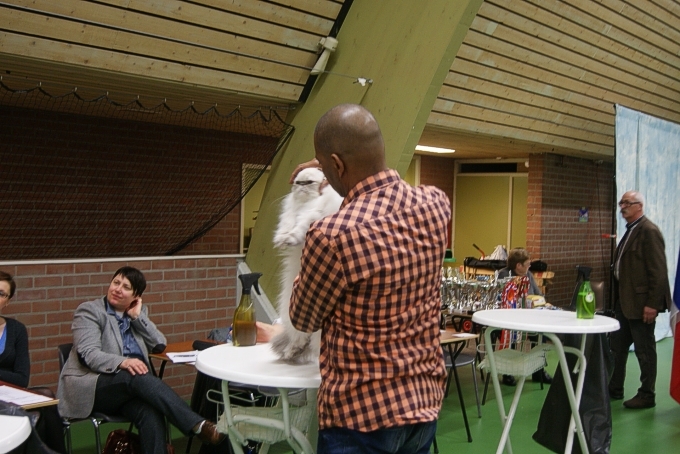 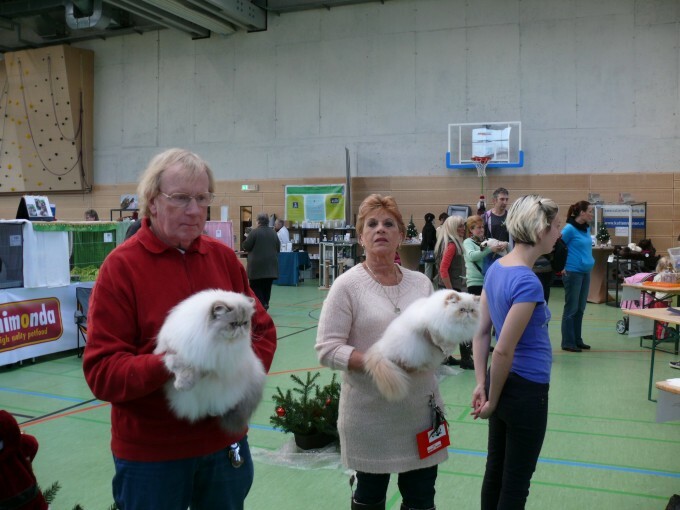 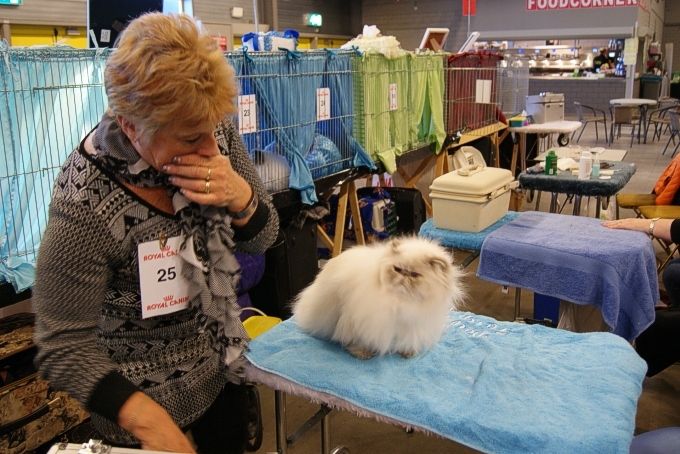 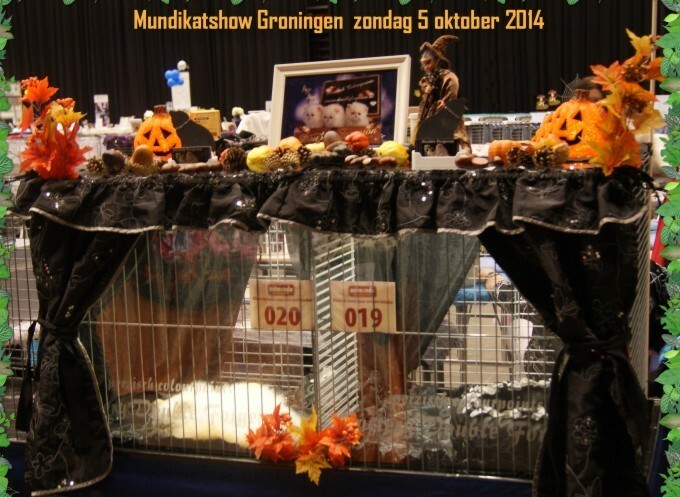 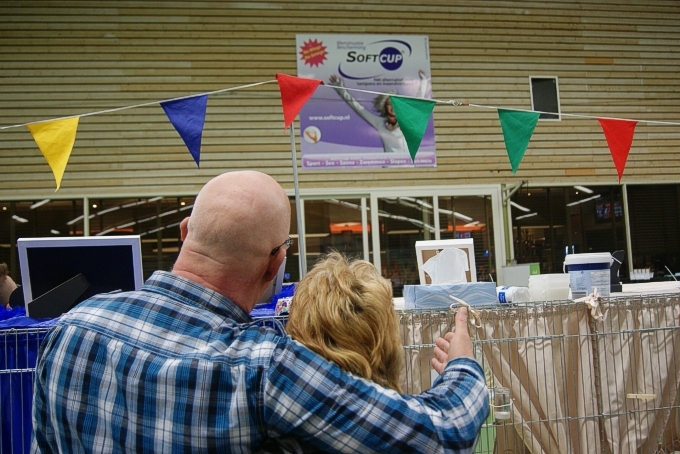 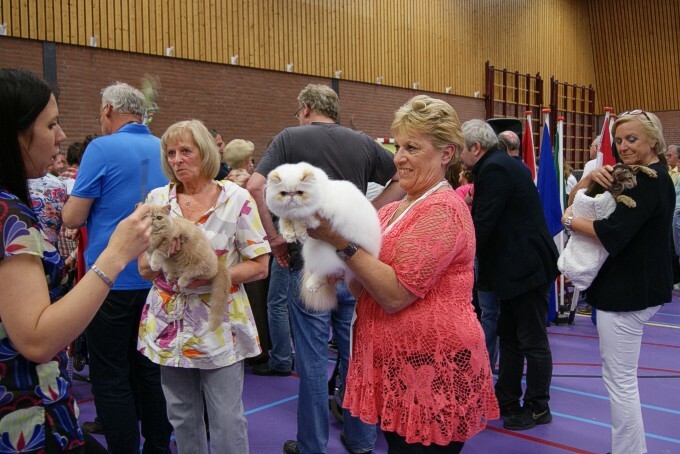 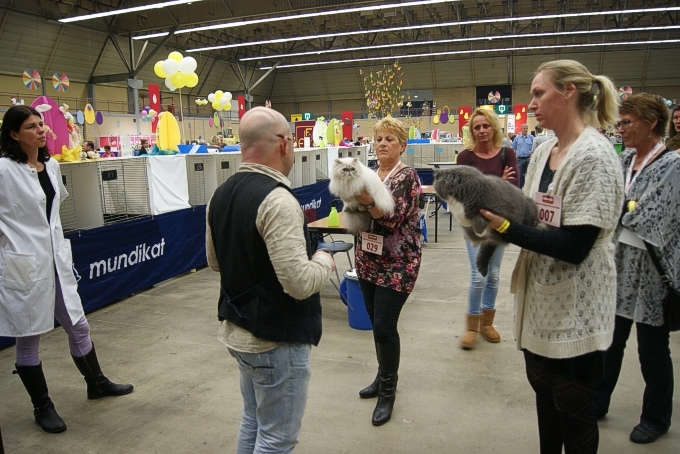 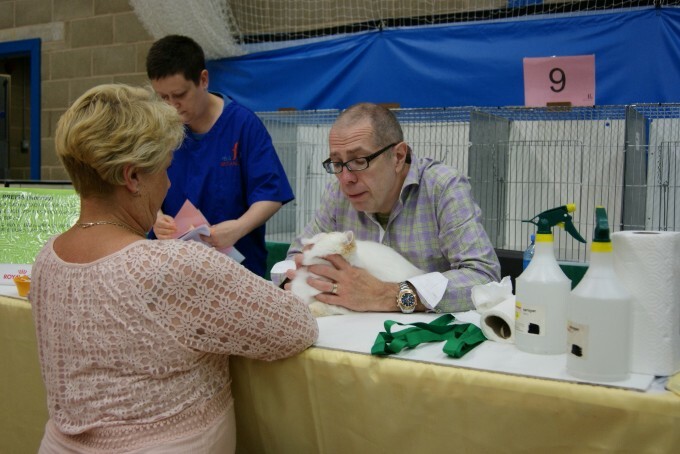 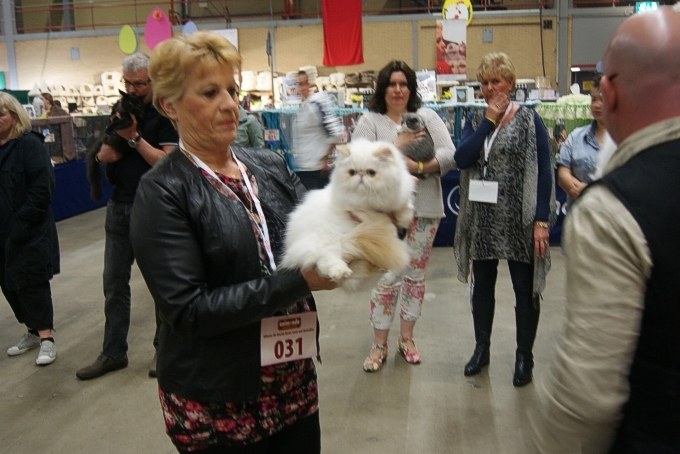 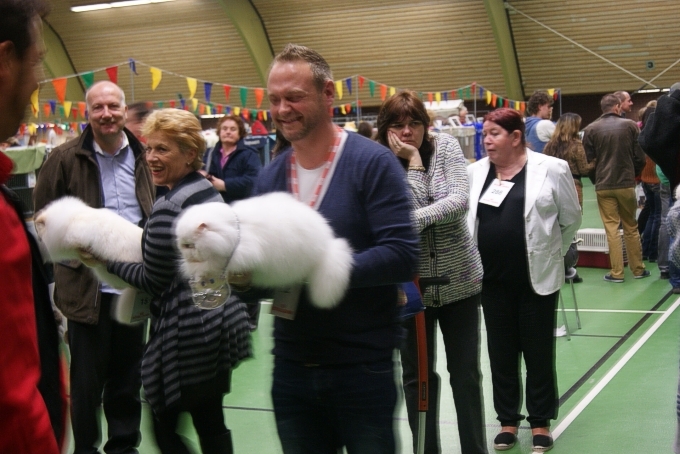 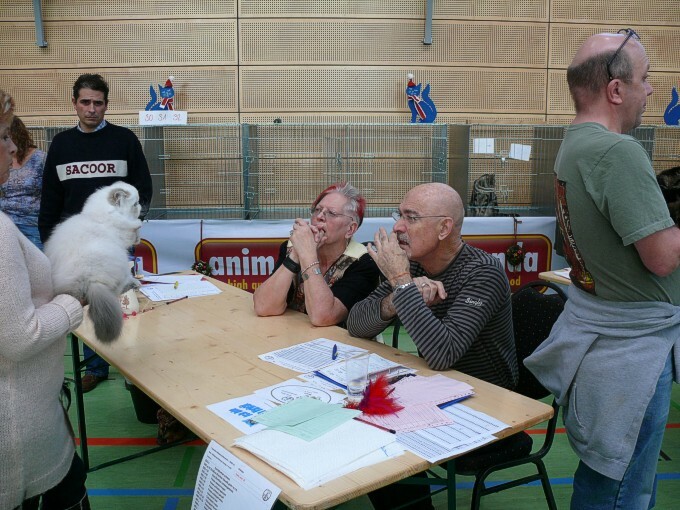 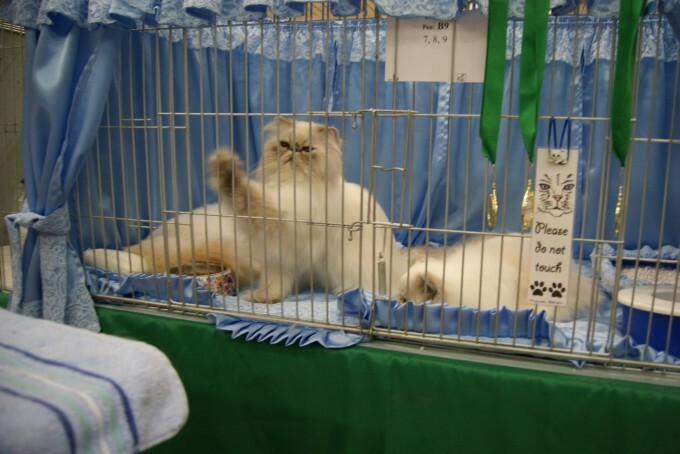 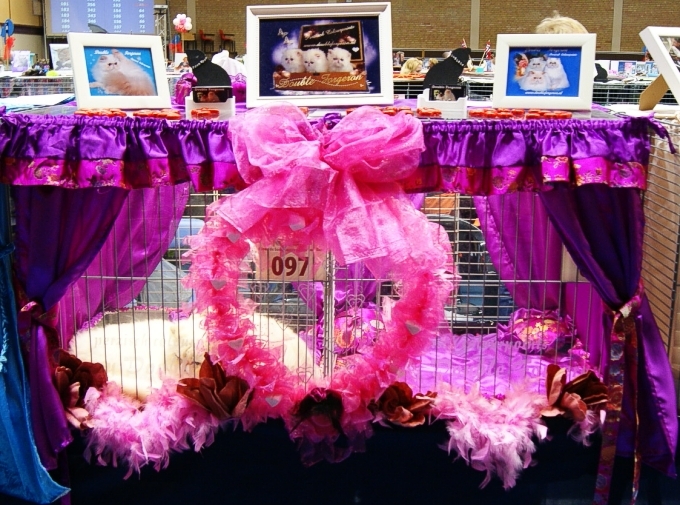 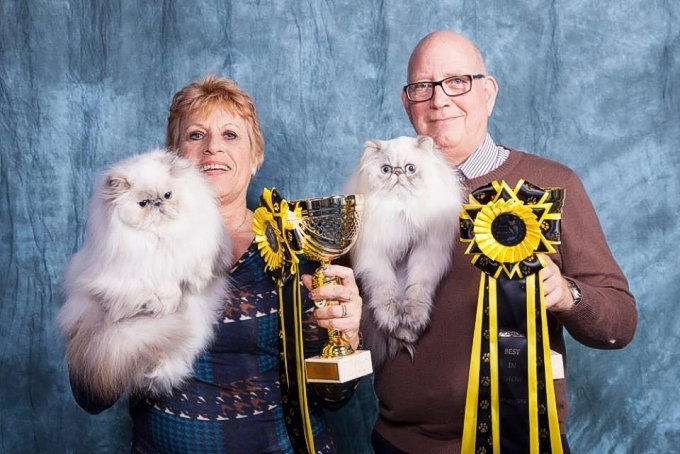 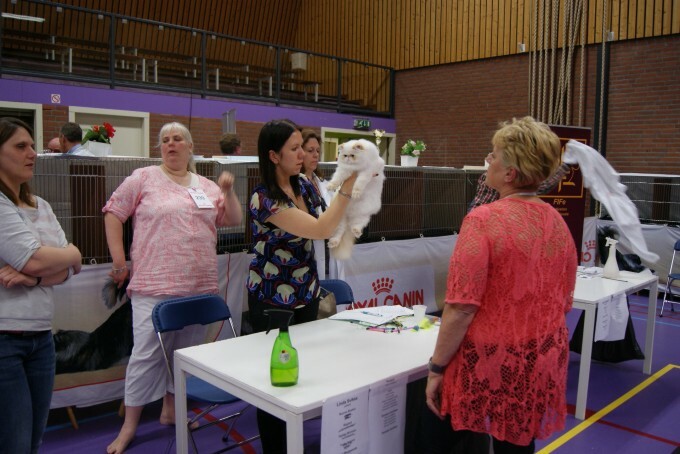 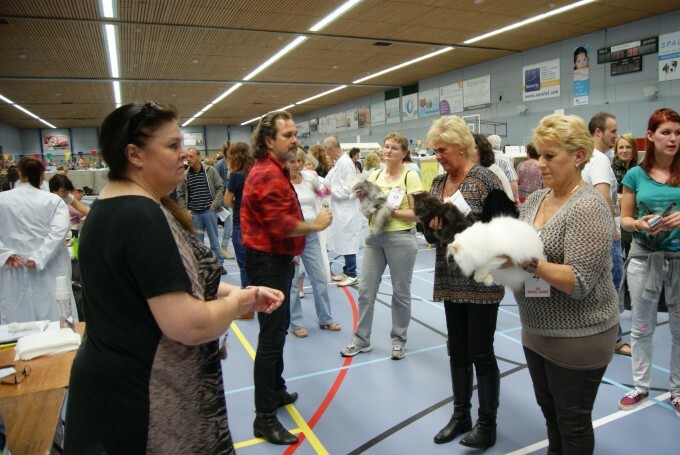 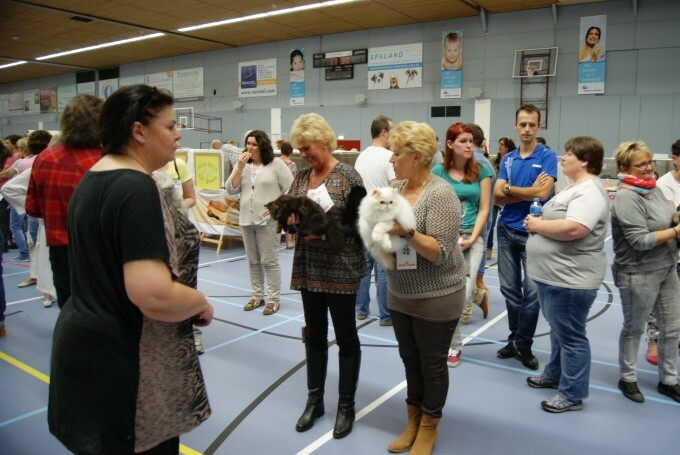 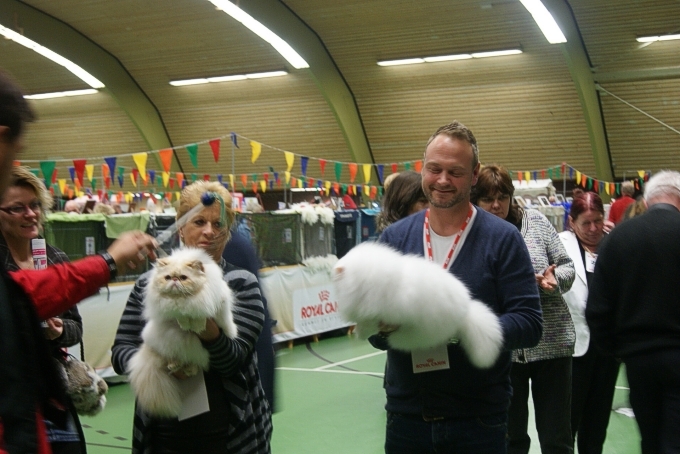 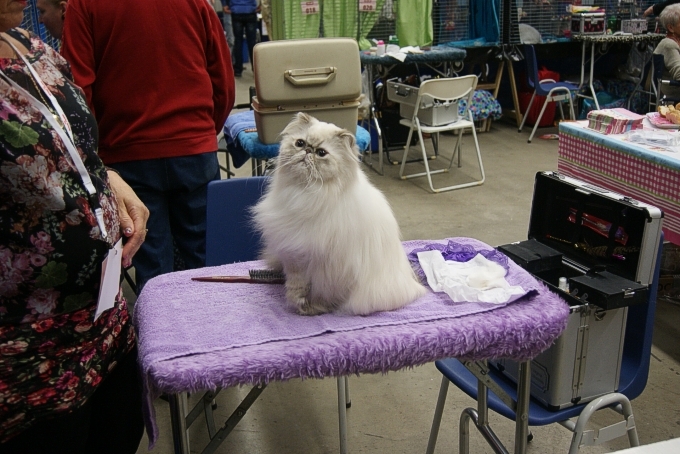 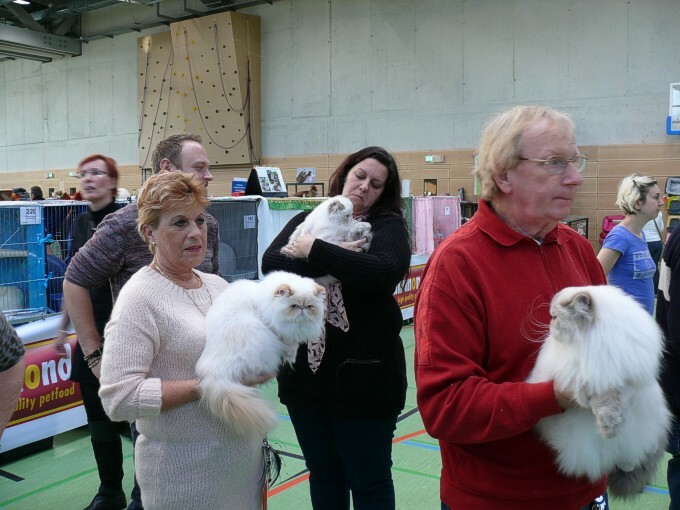 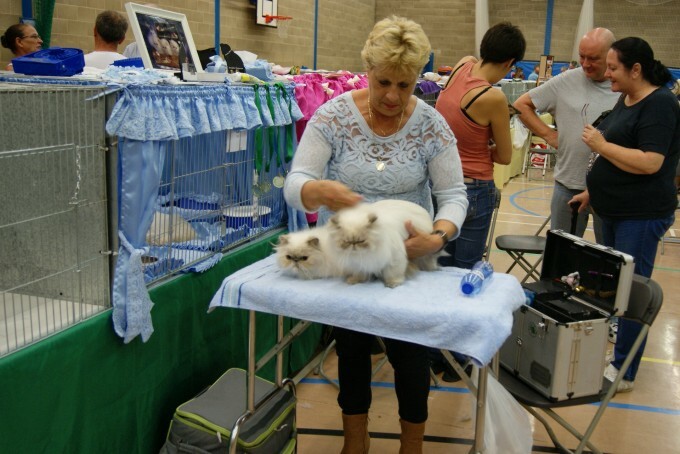 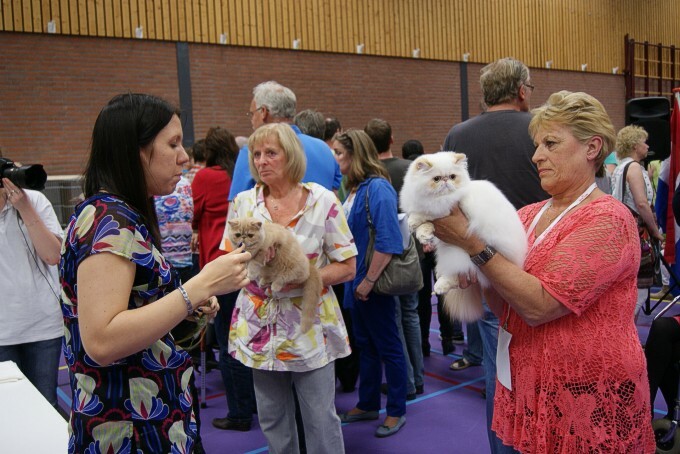 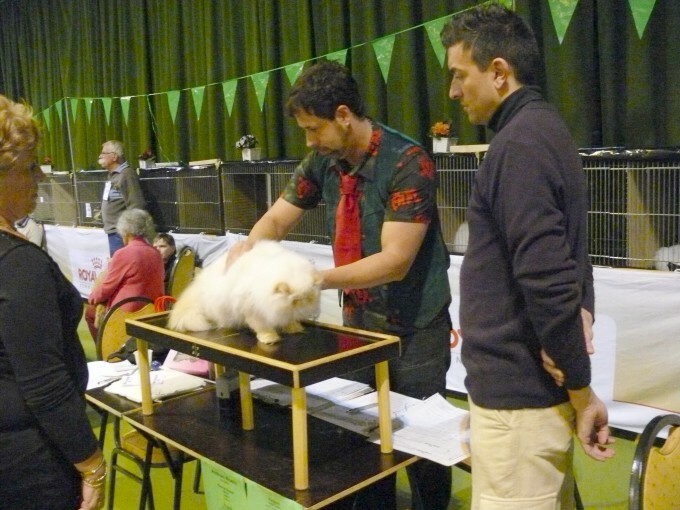 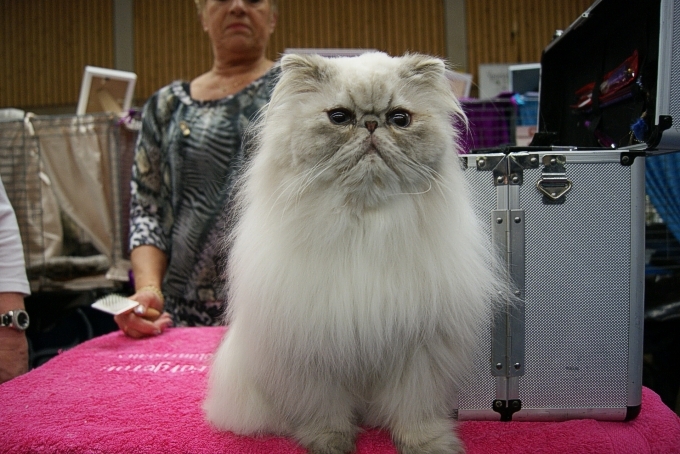 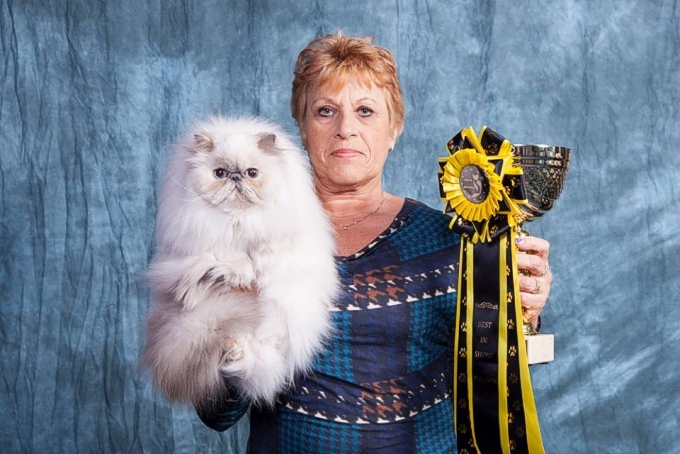 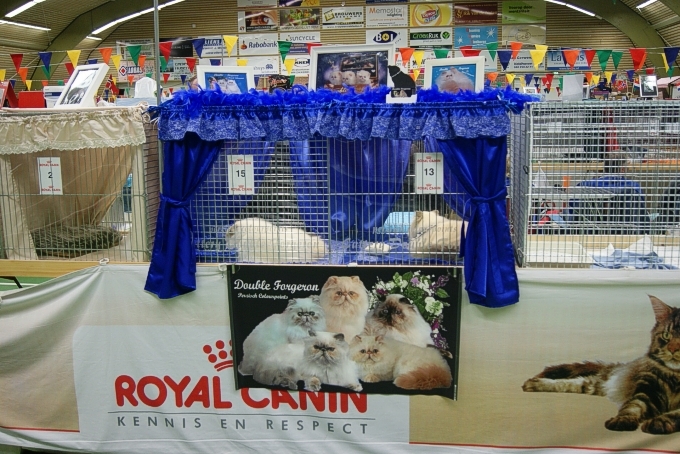 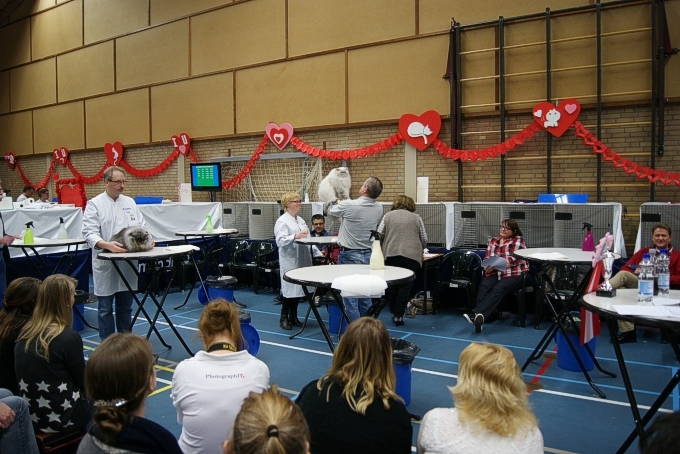 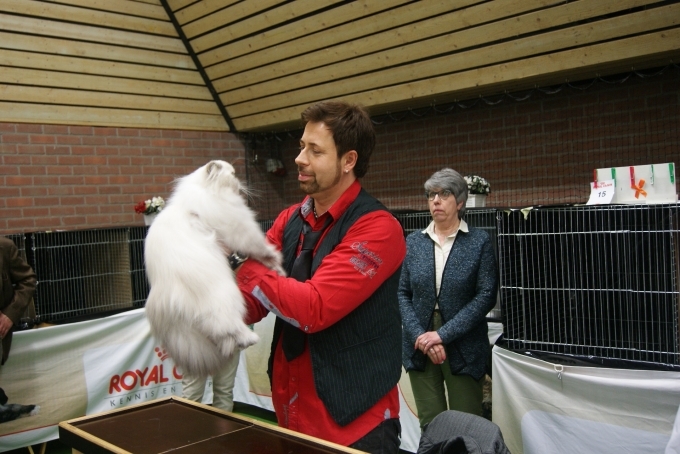 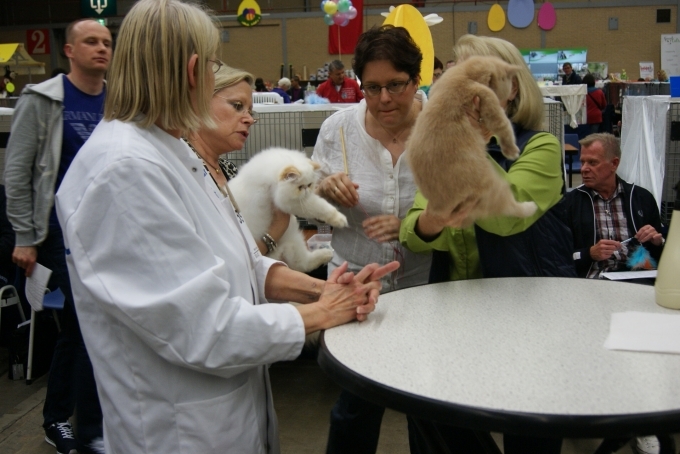 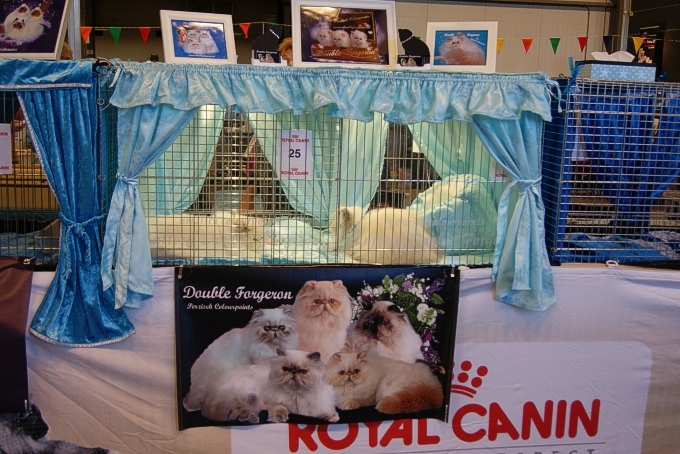 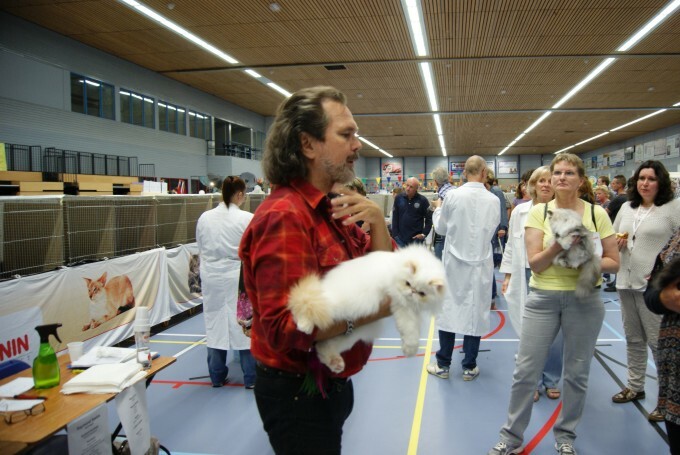 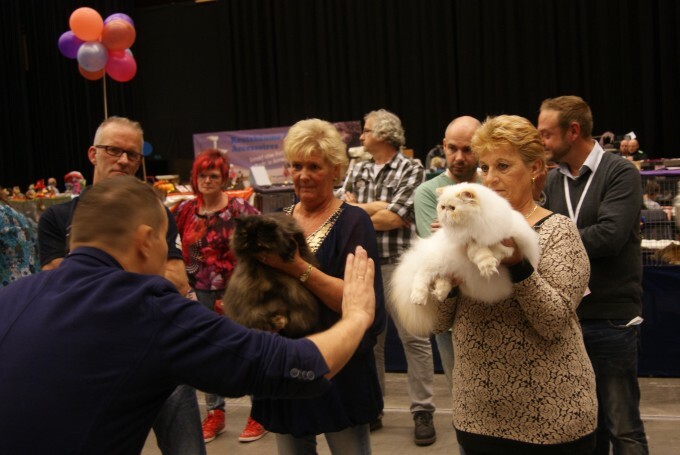 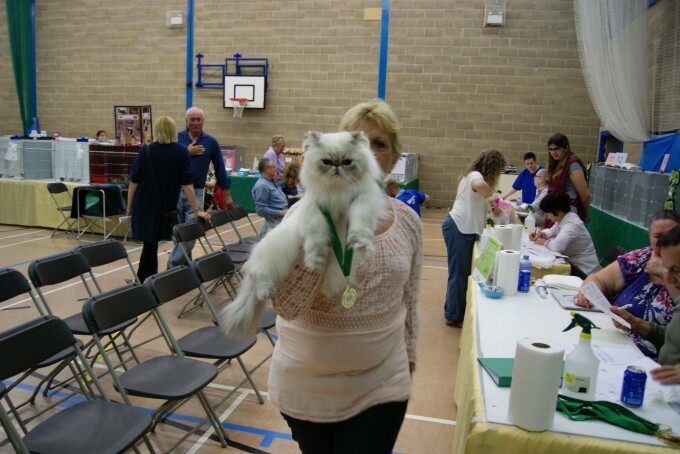 Big thanks to all the judge and the Garden or England Cat Club. 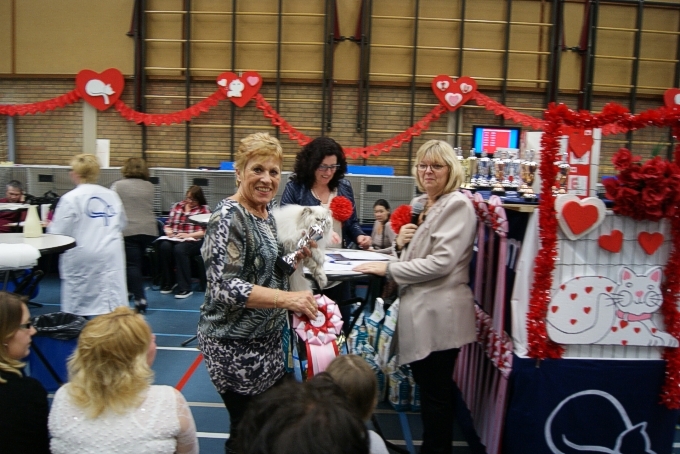 Our little girl made it Junior Winner, we are so proud! 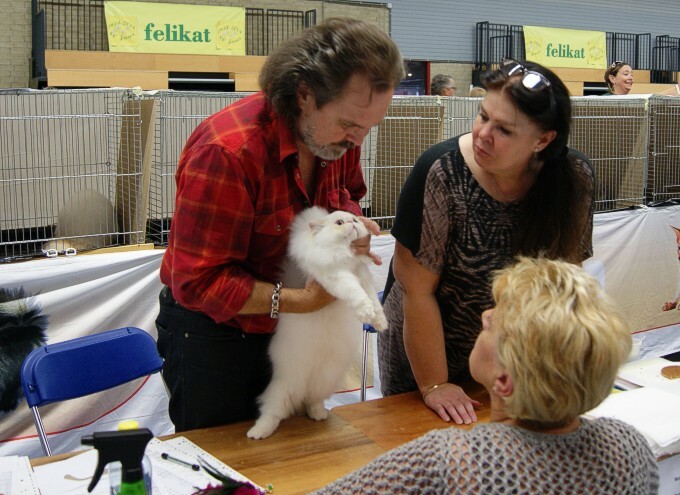 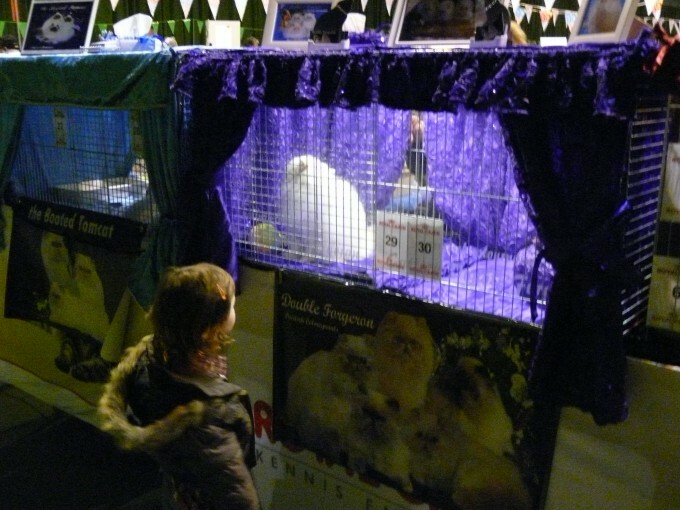 We bring only to the show our little girl. 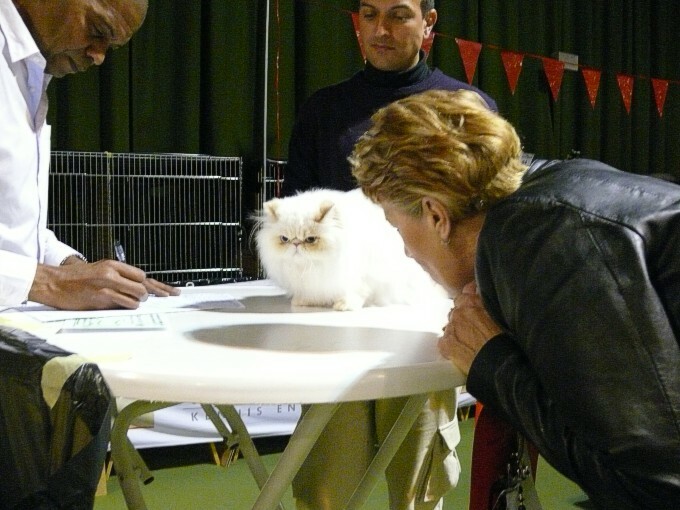 U're my Wish "BEST IN SHOW"
U're My Wish, the first time on show. 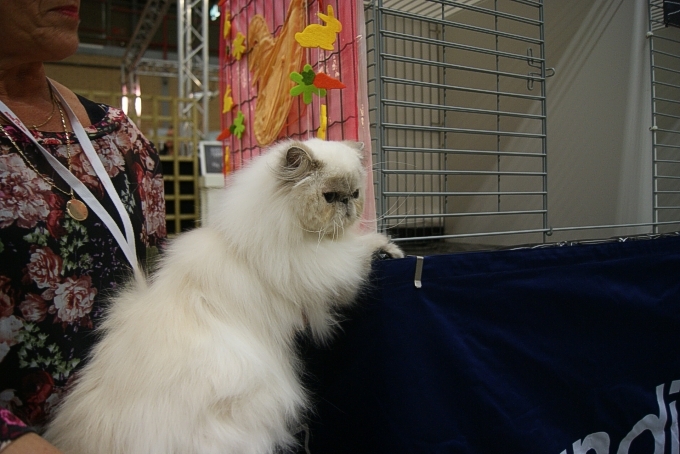 Our Ready in his summer coat. 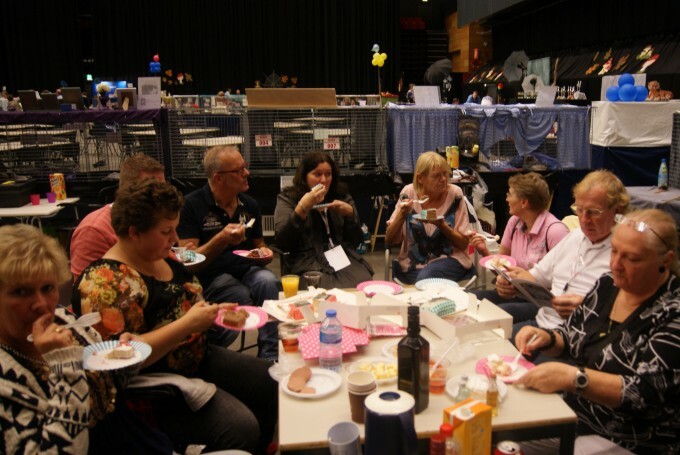 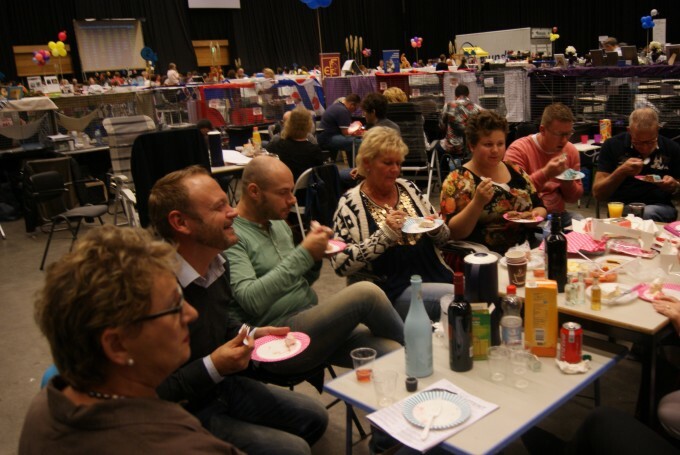 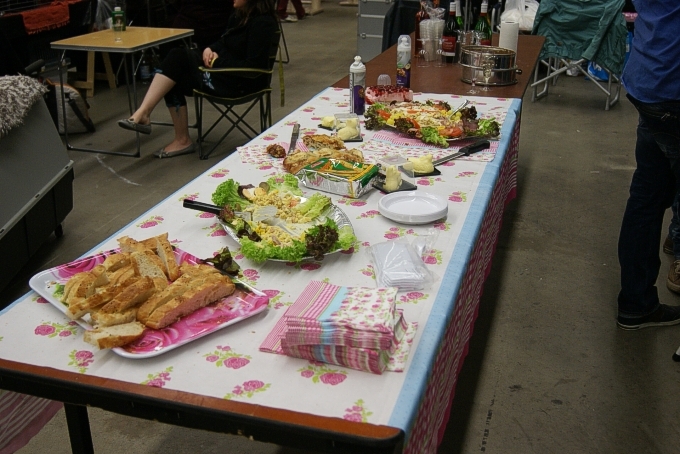 Where is the Party ? 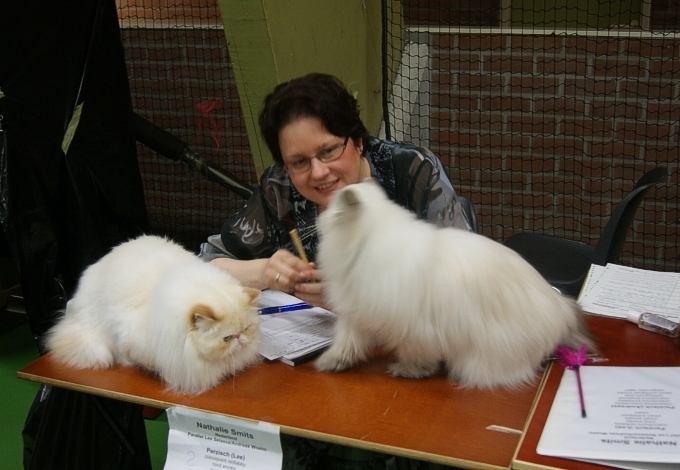 Happy Moment by Judge Norit Pahl. 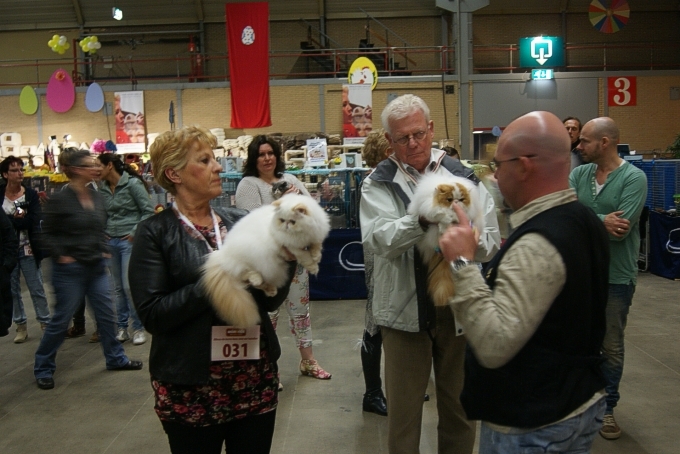 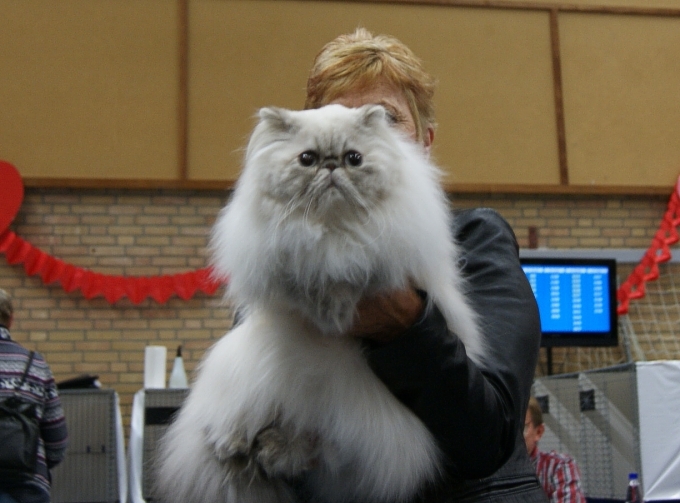 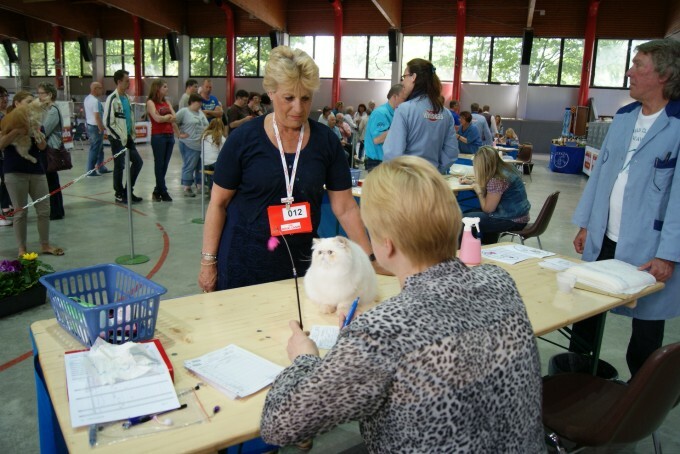 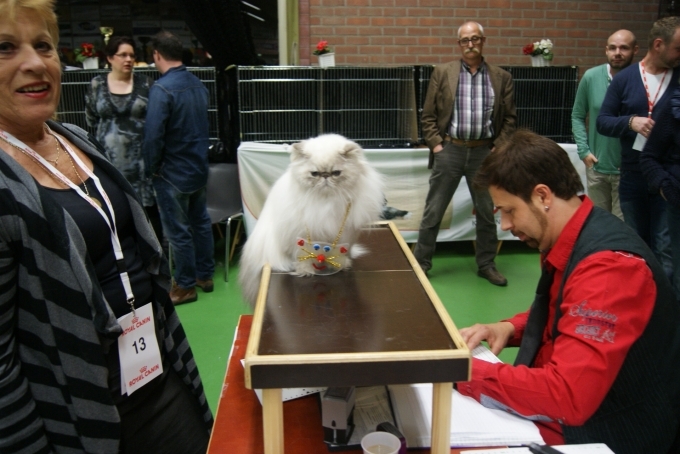 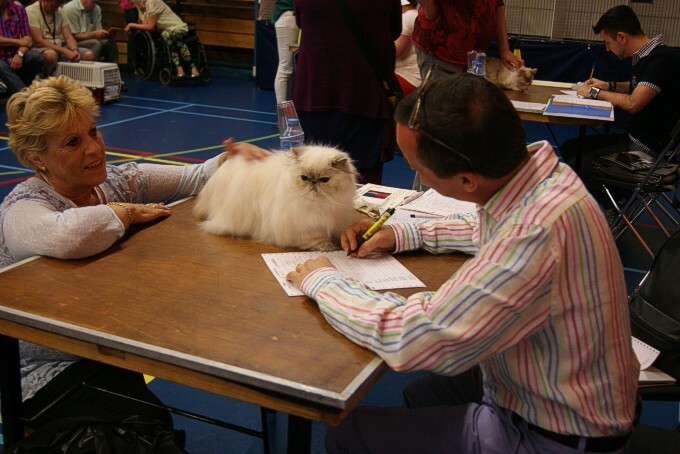 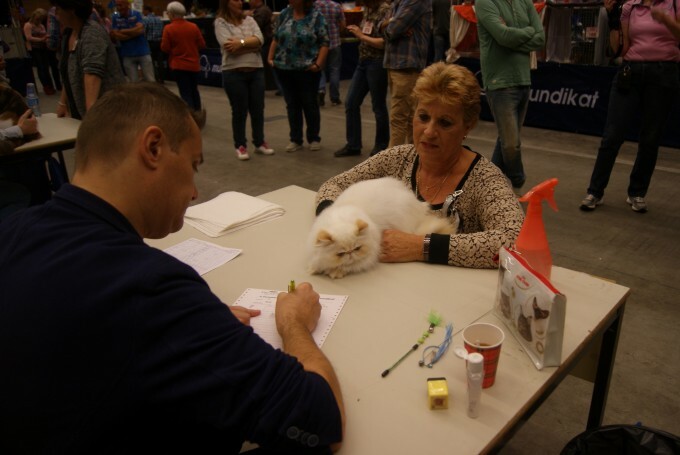 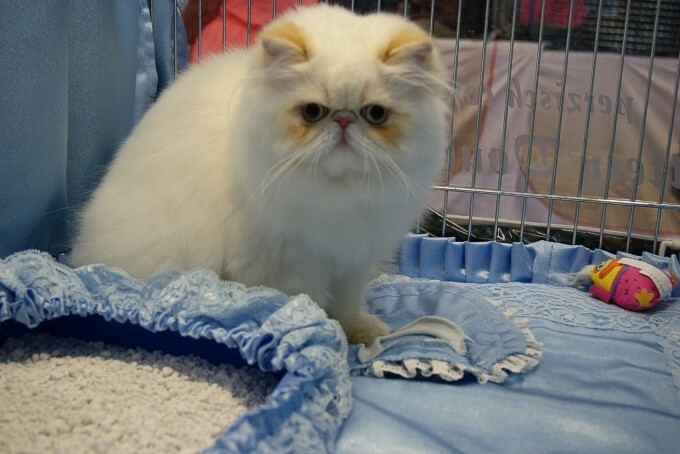 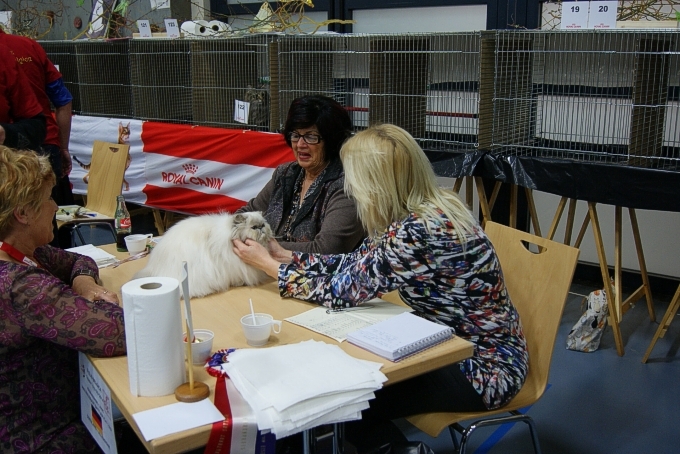 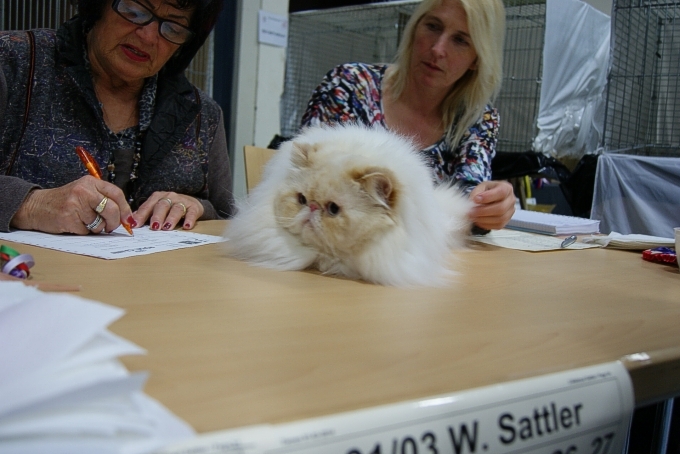 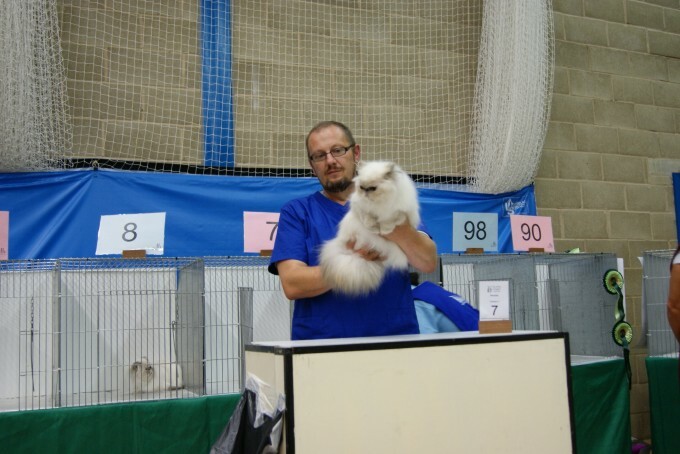 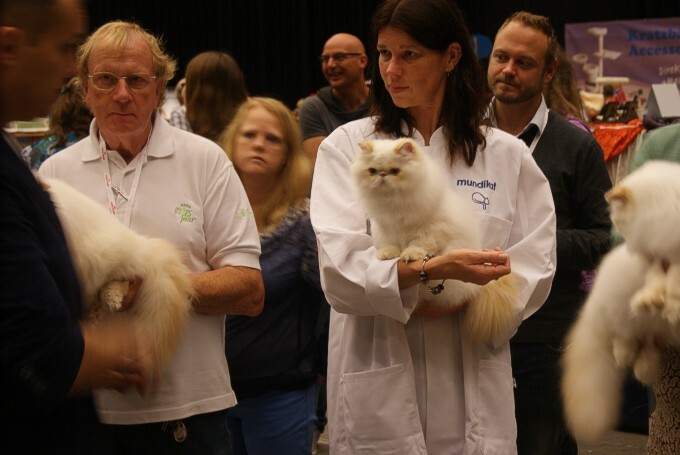 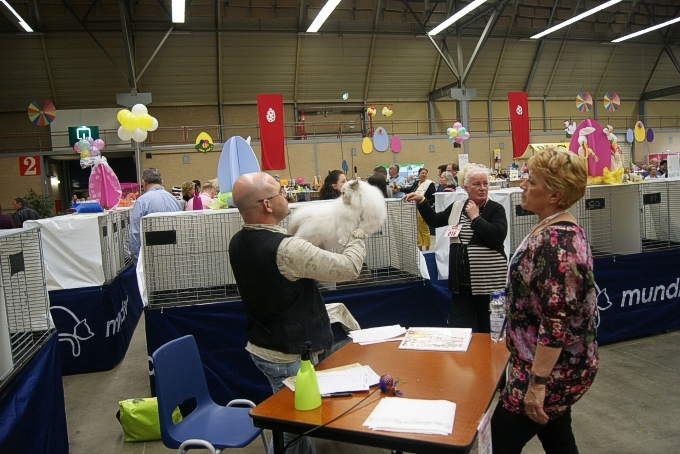 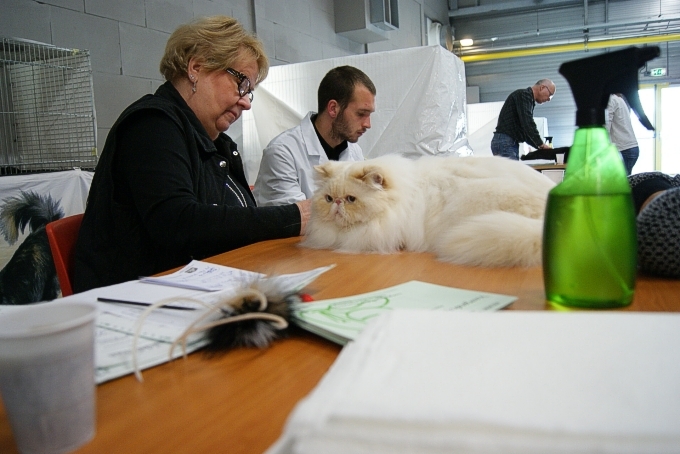 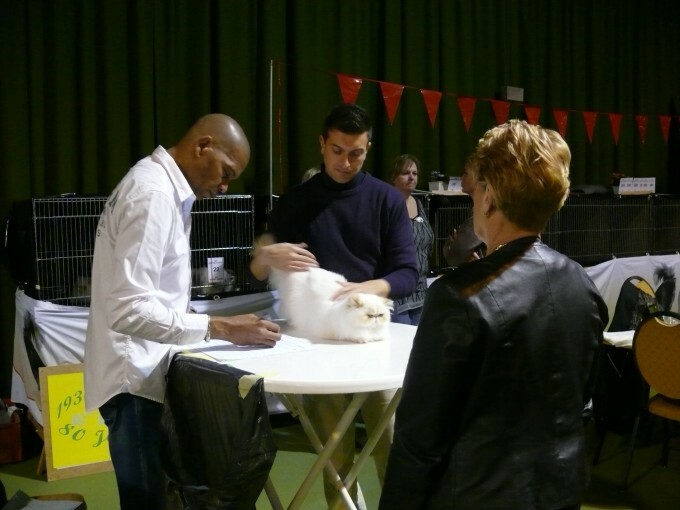 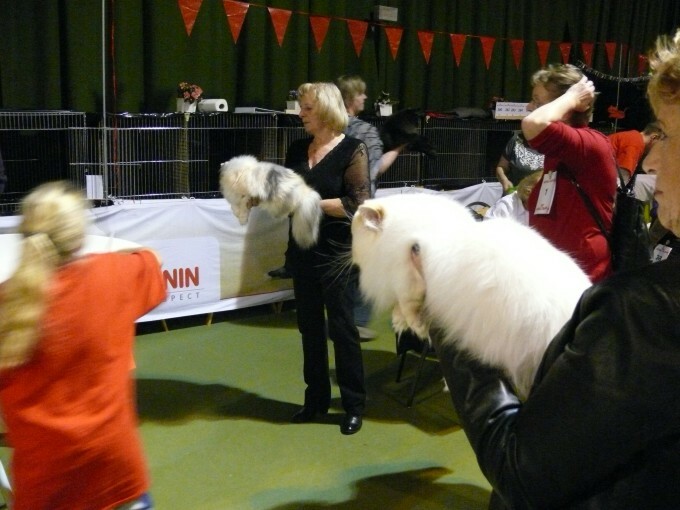 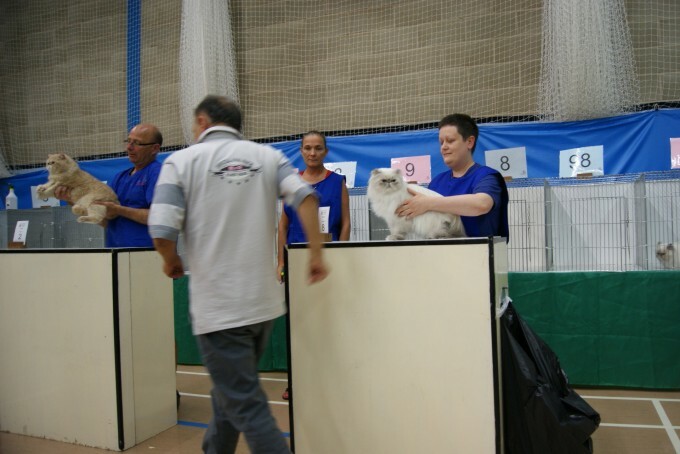 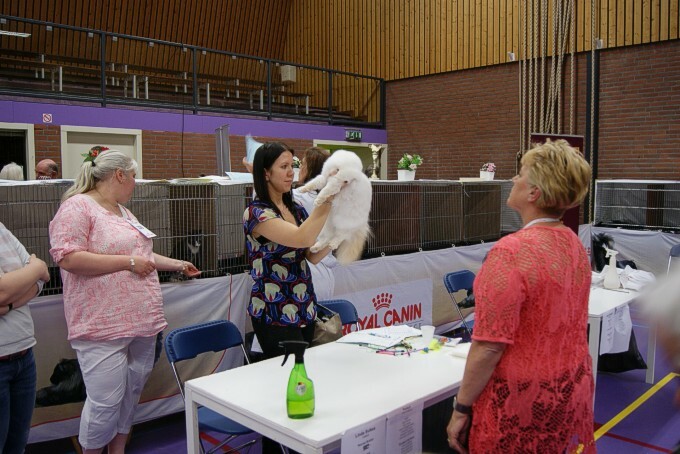 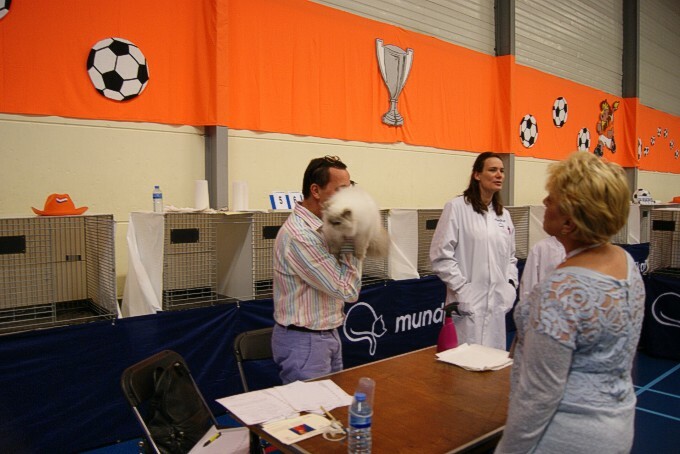 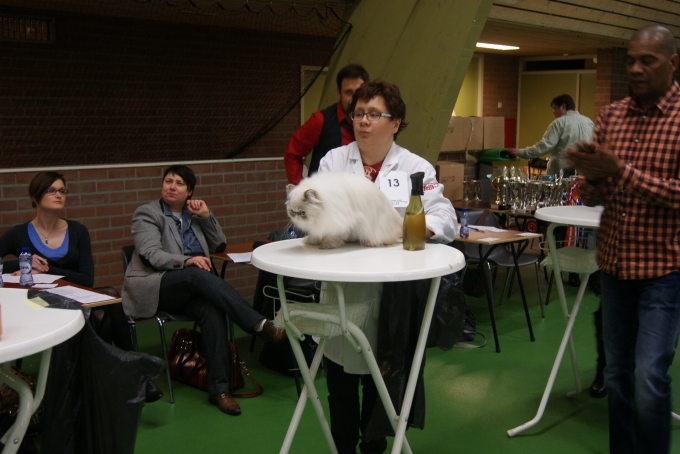 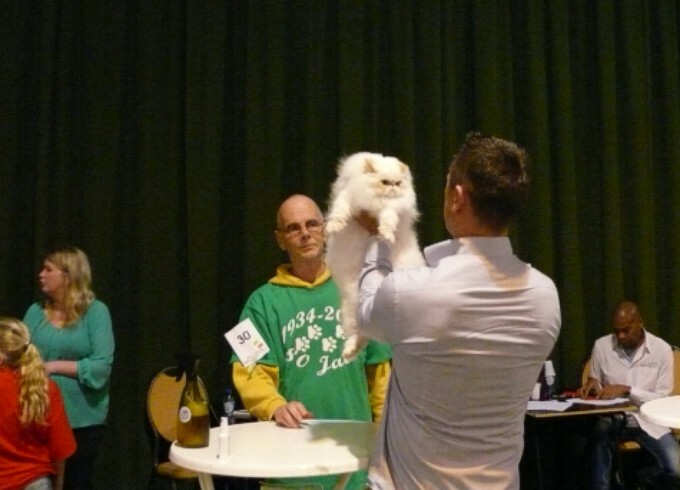 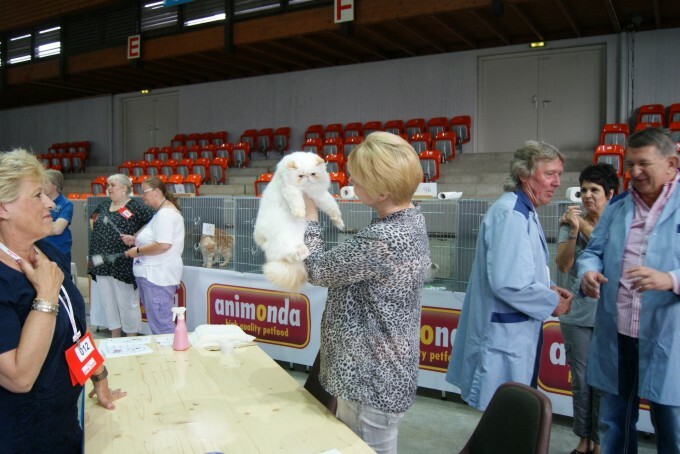 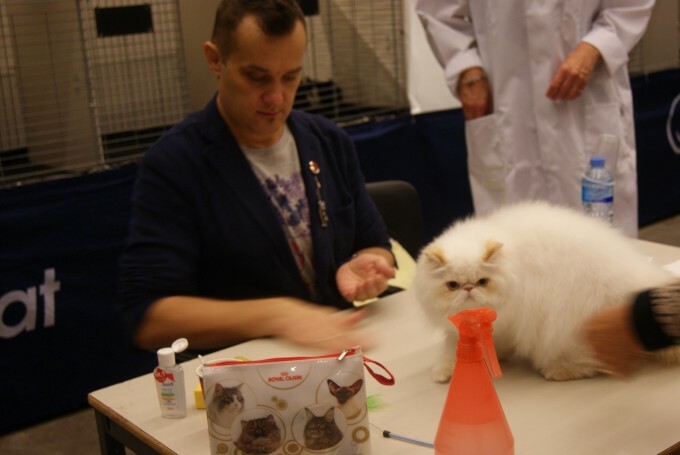 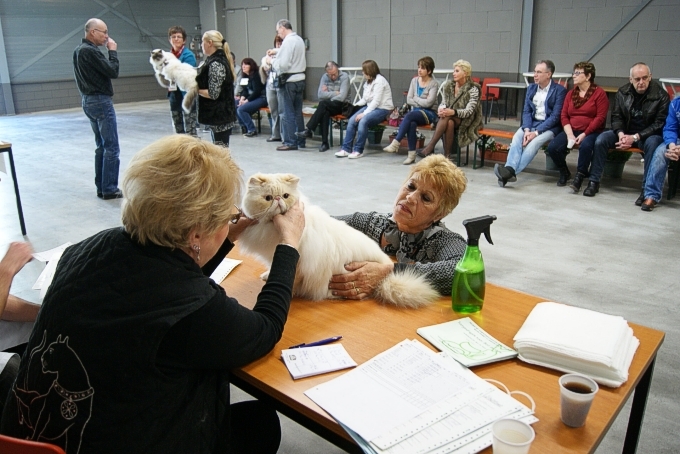 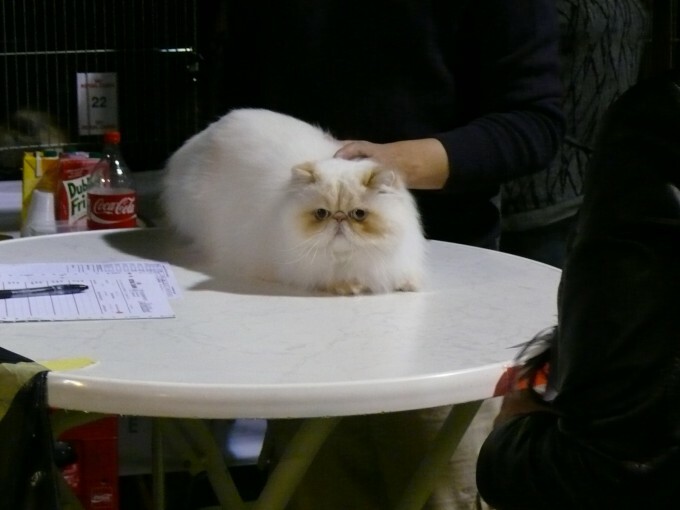 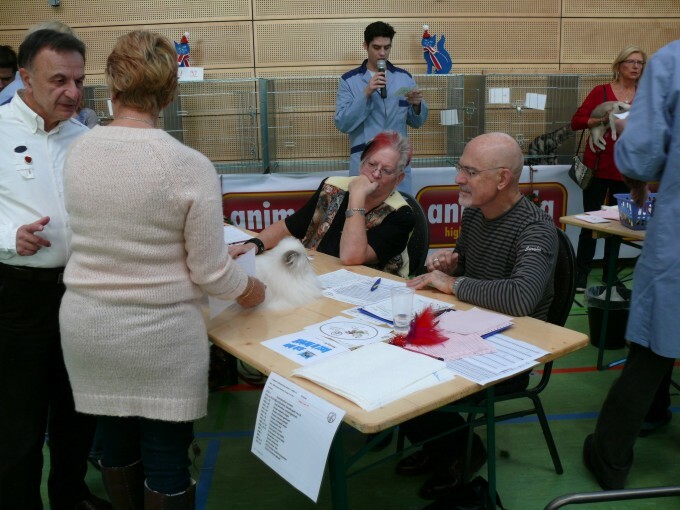 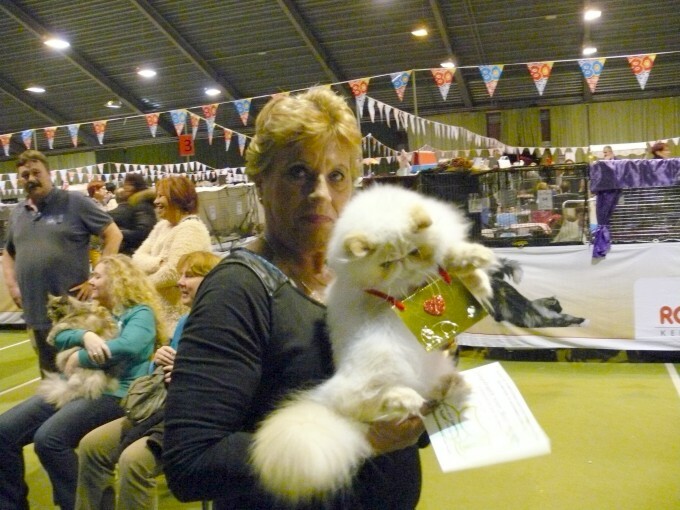 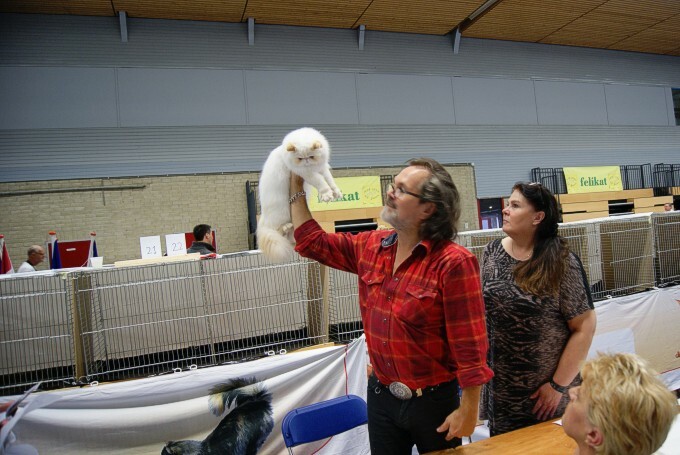 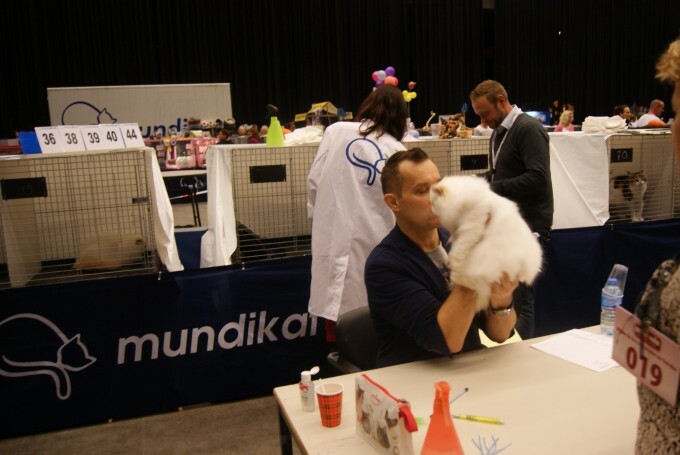 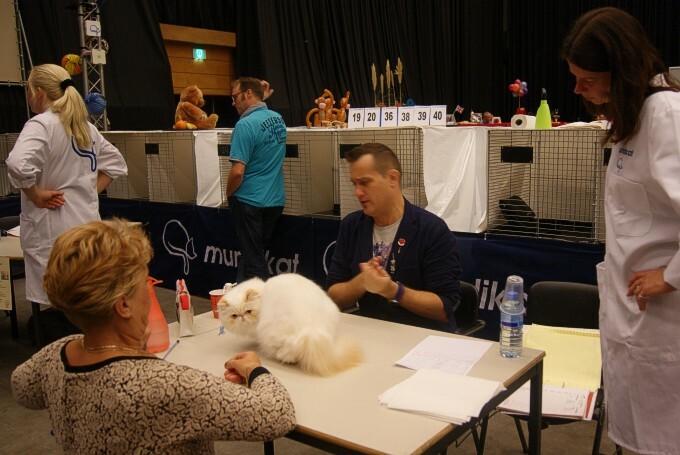 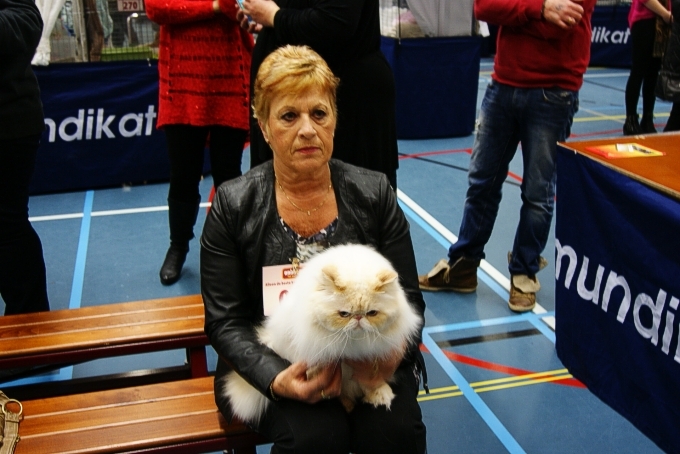 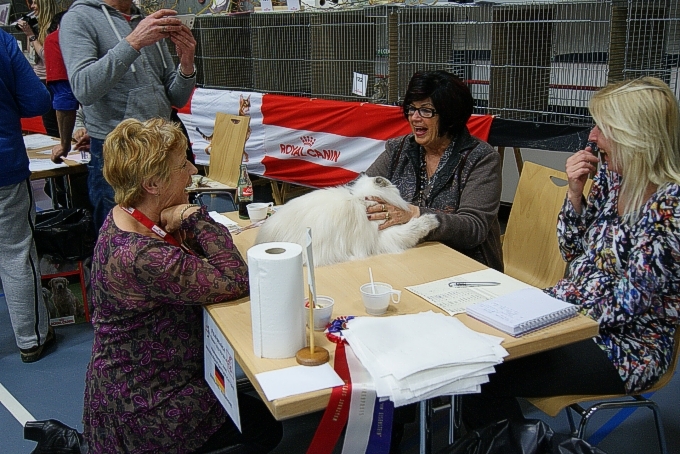 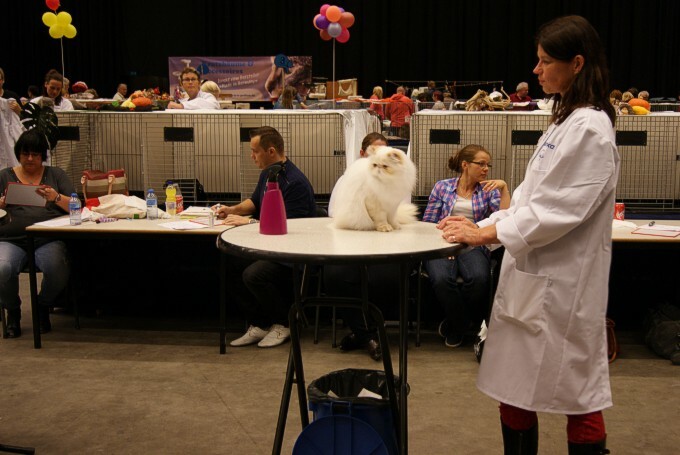 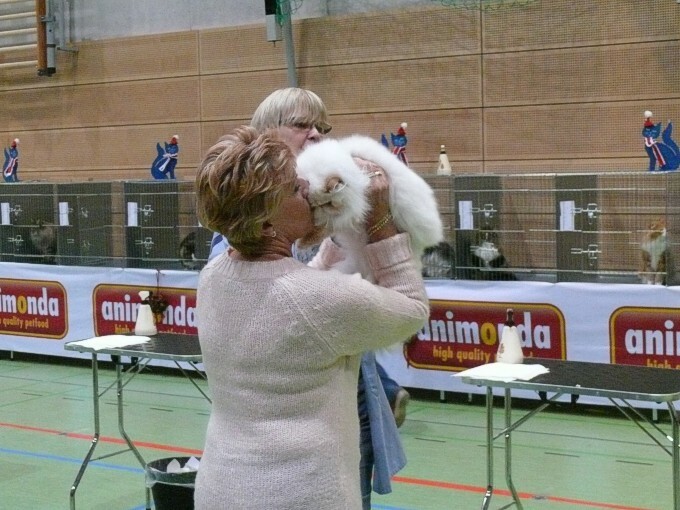 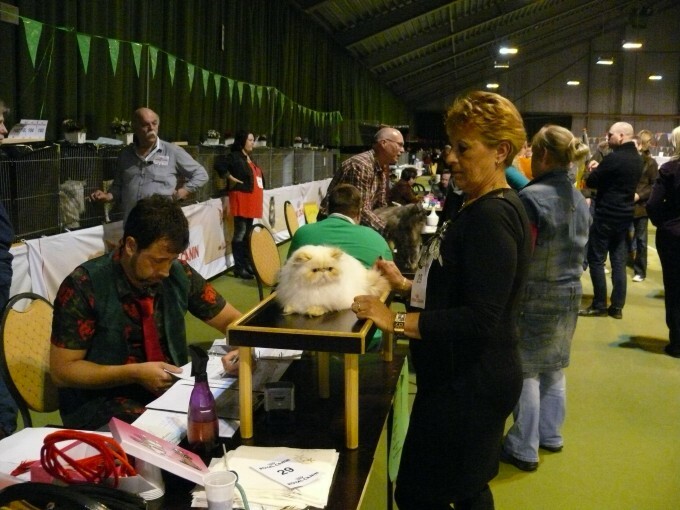 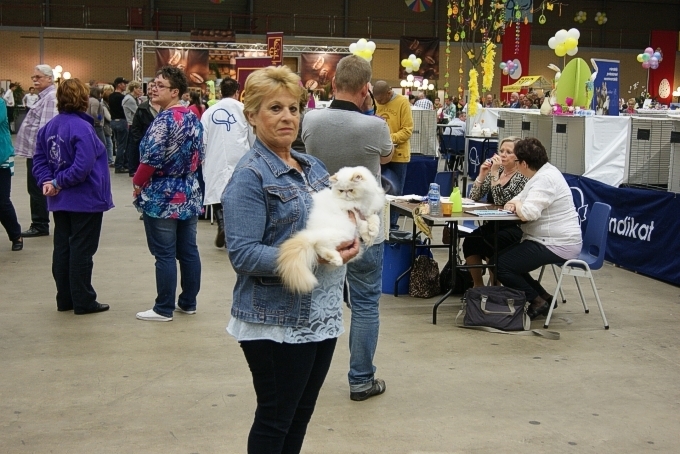 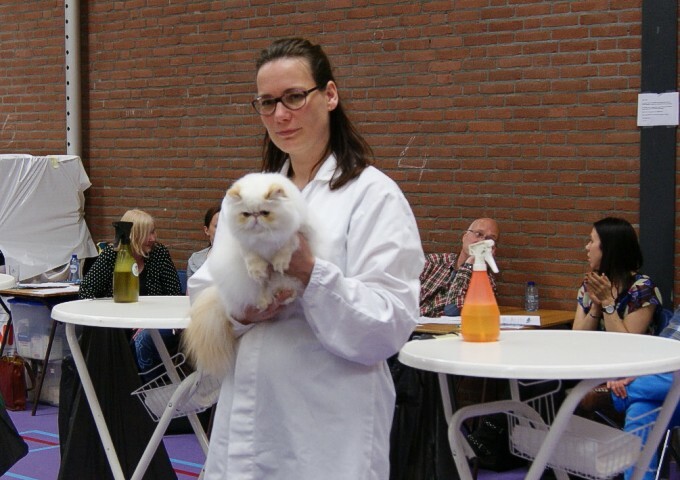 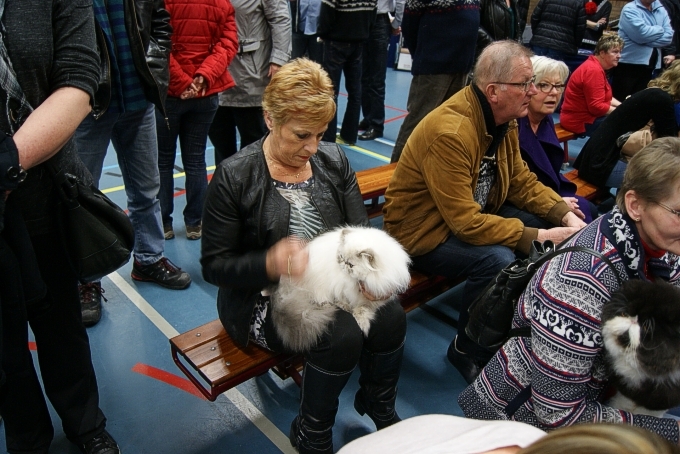 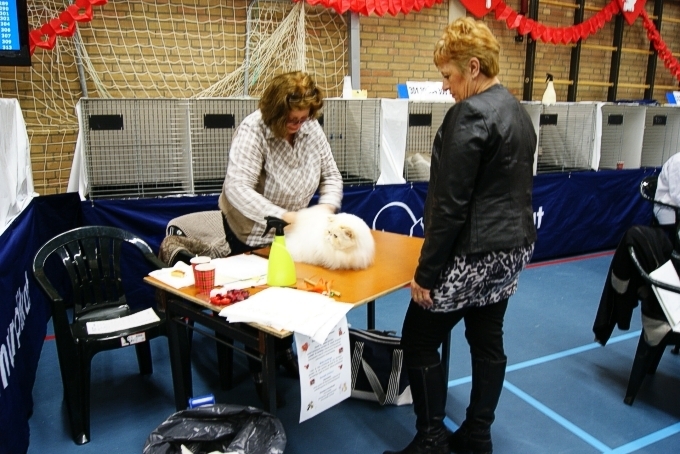 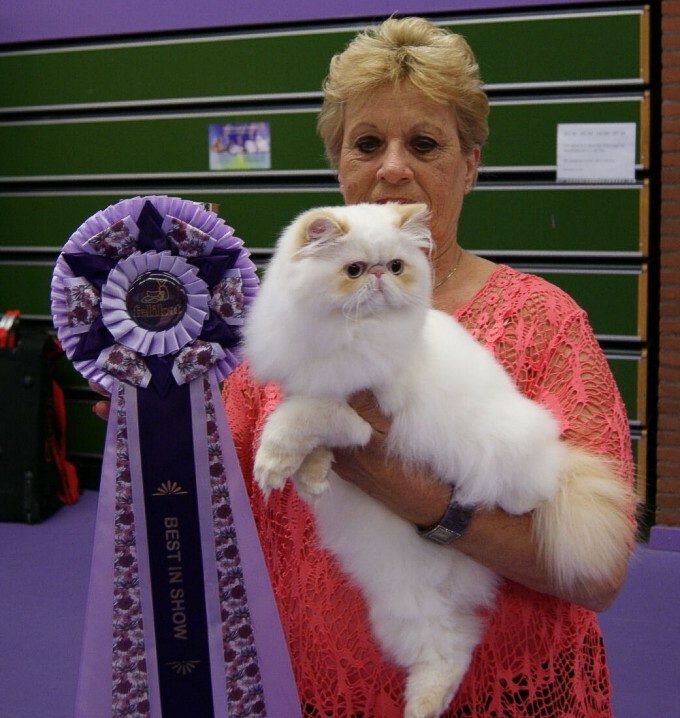 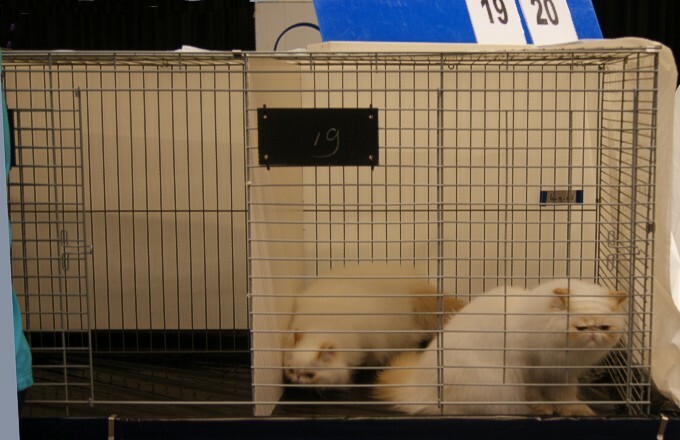 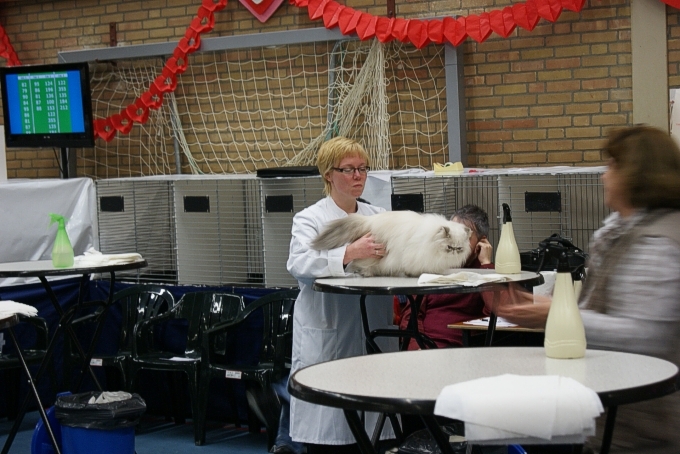 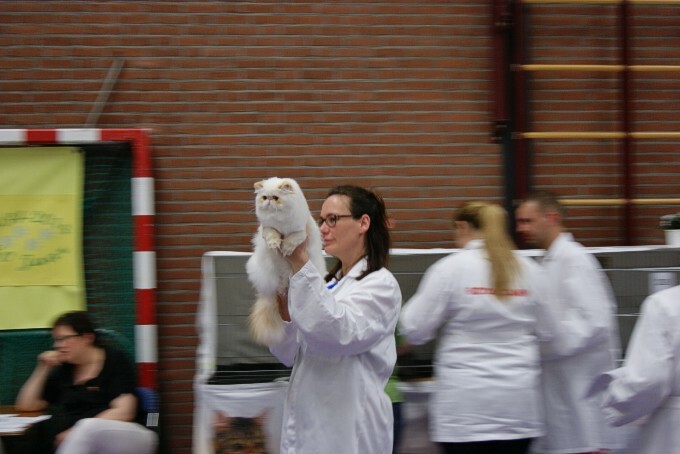 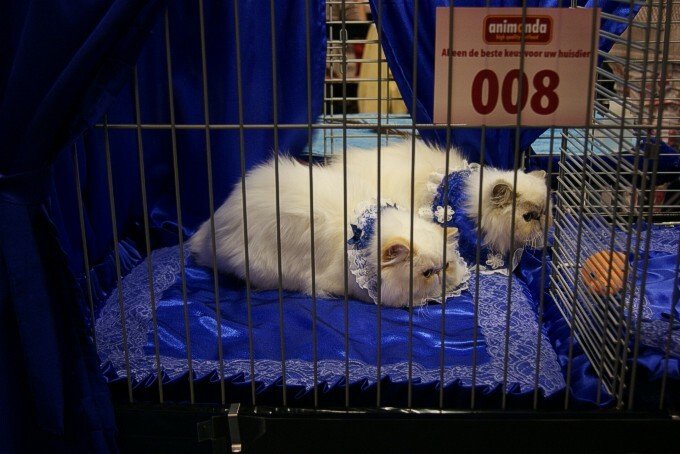 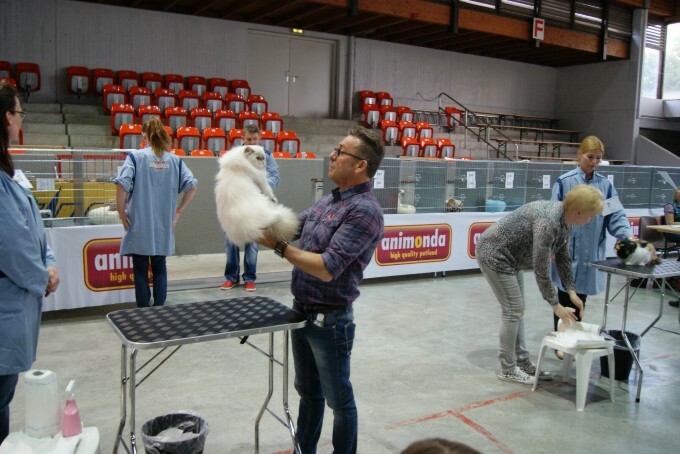 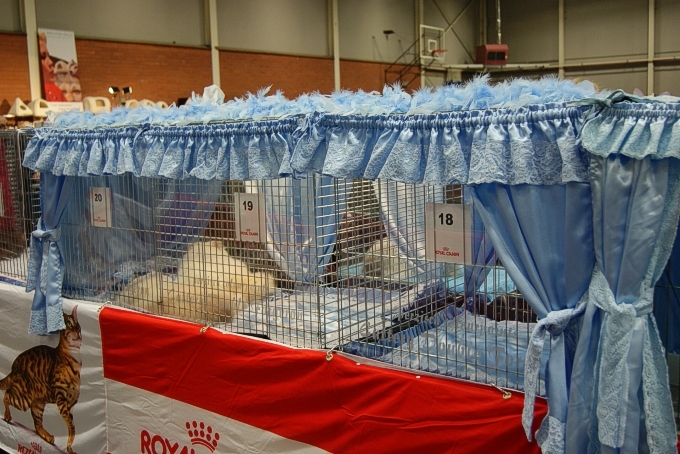 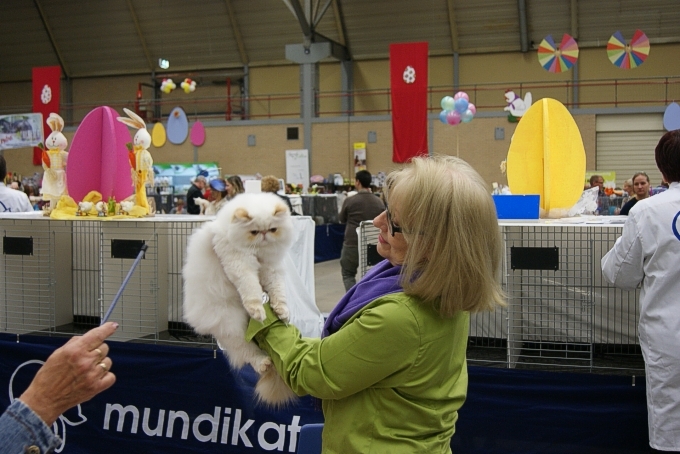 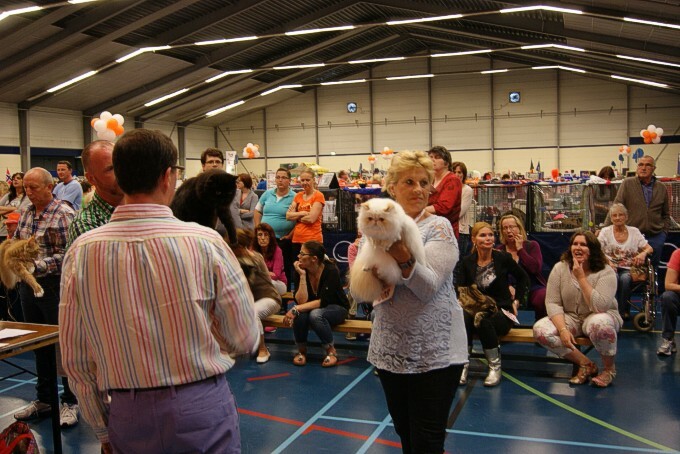 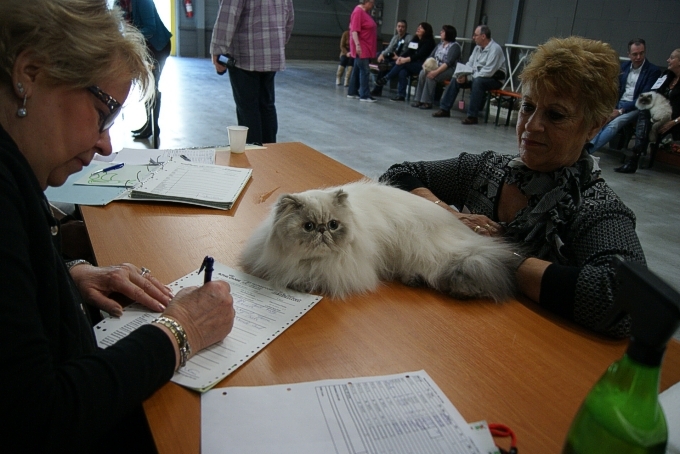 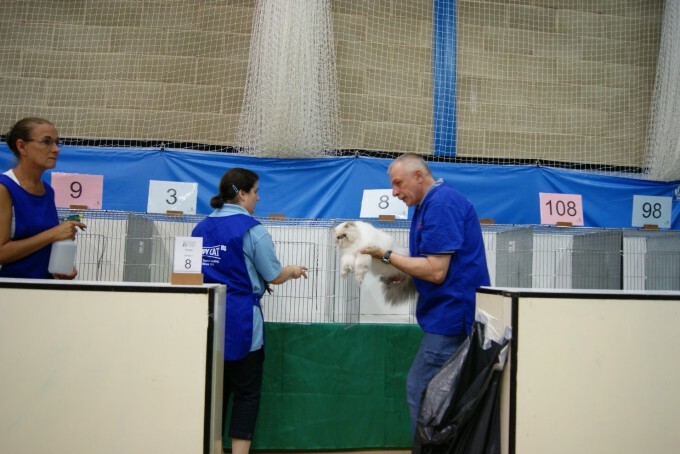 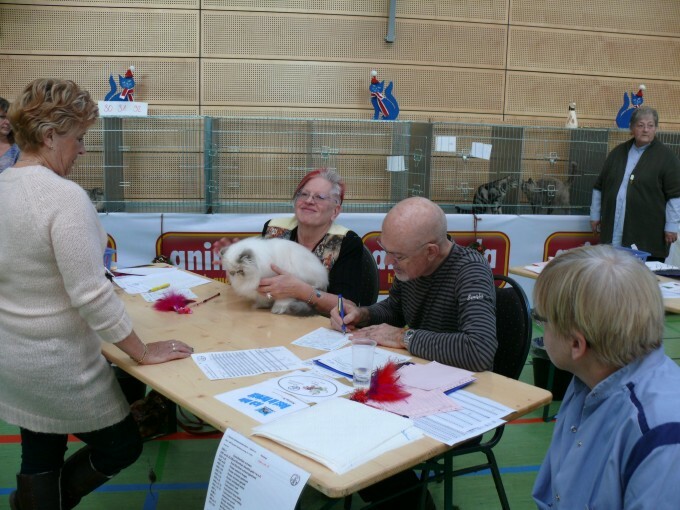 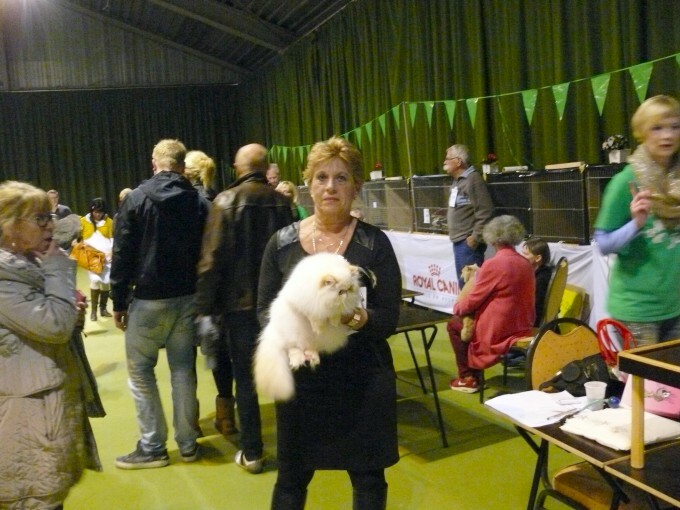 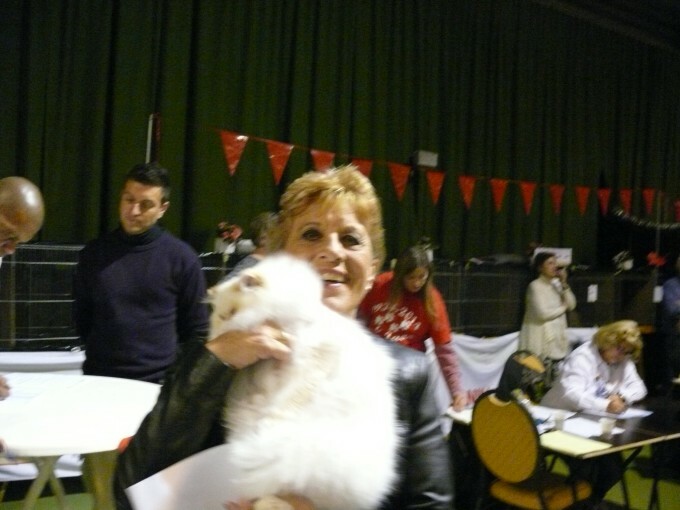 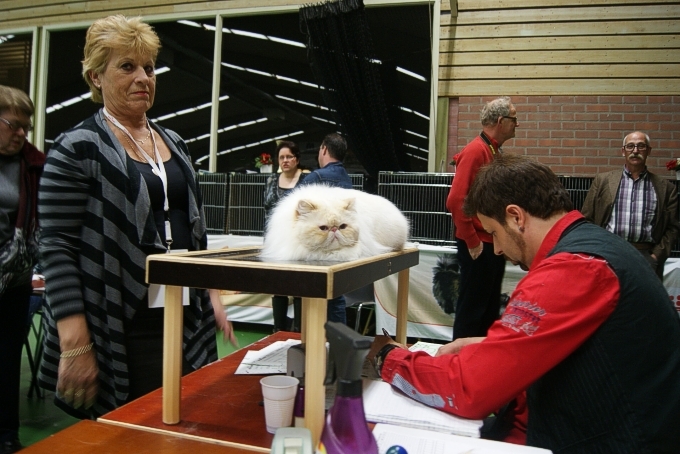 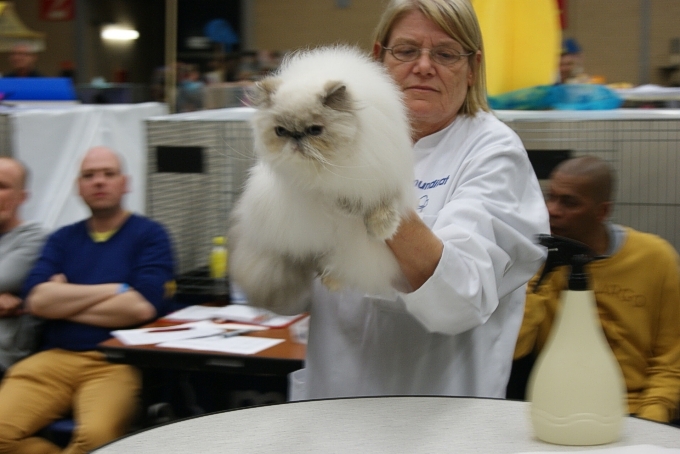 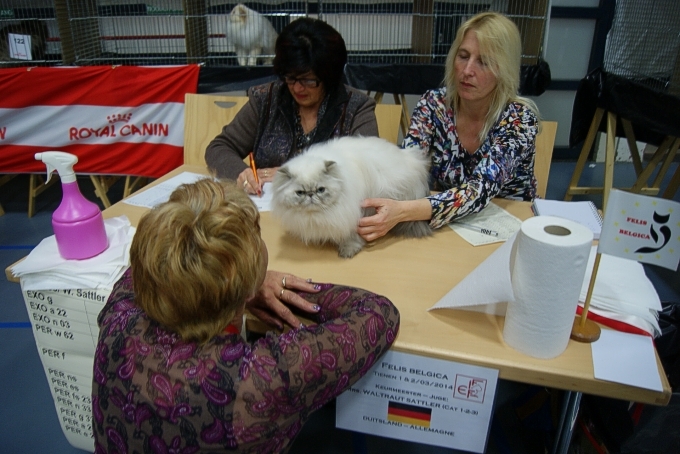 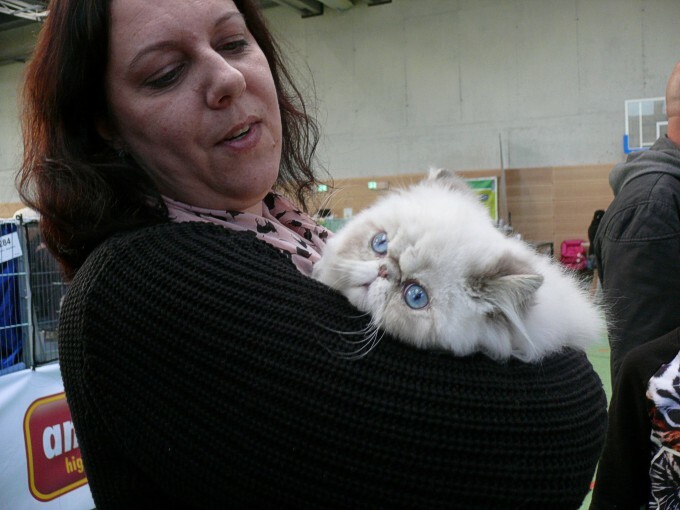 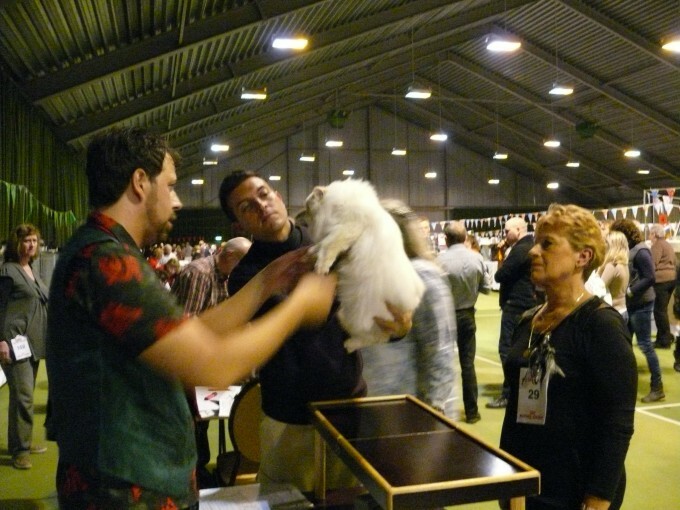 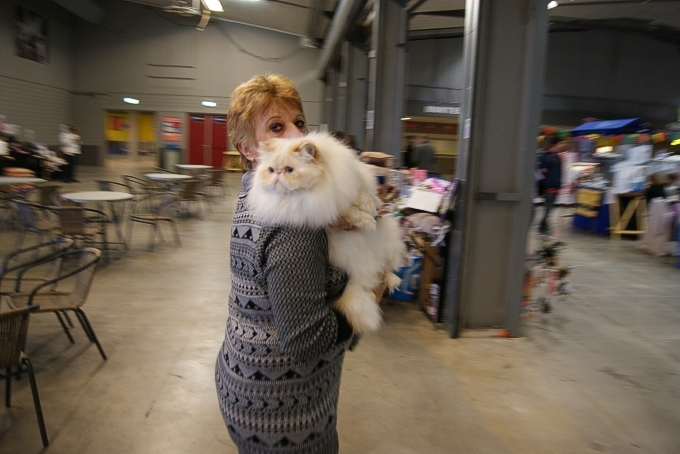 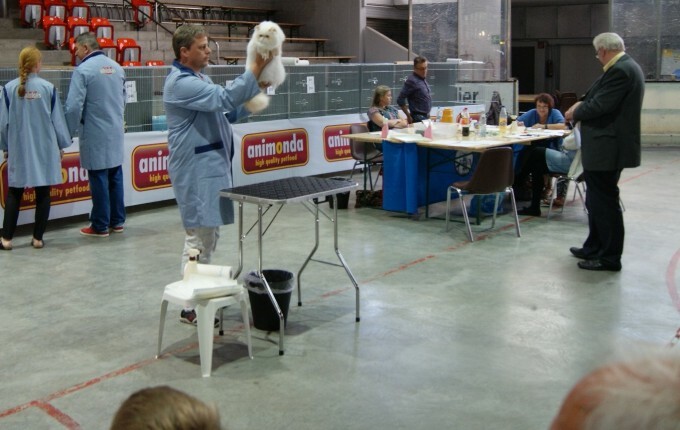 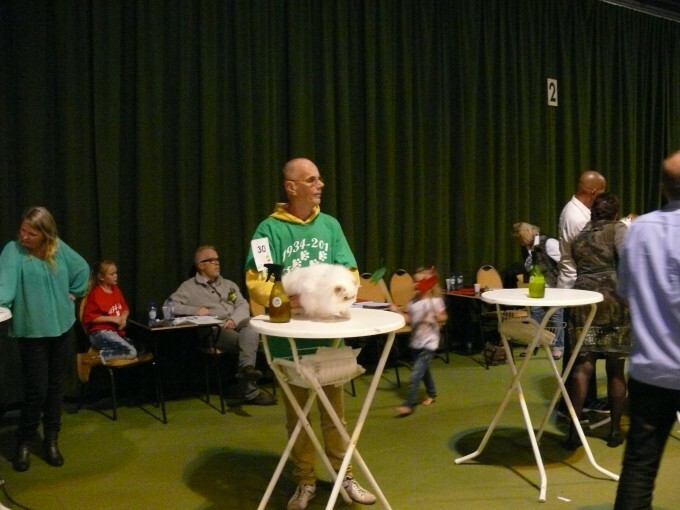 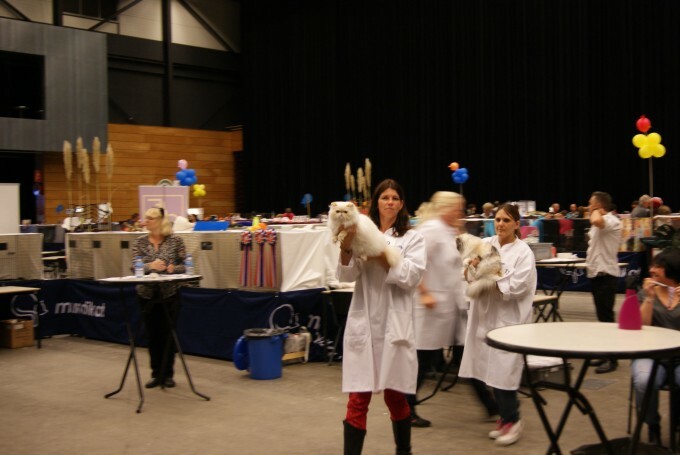 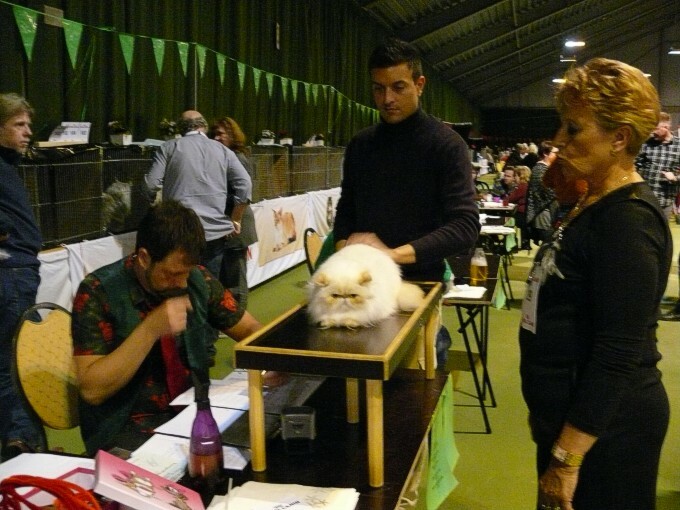 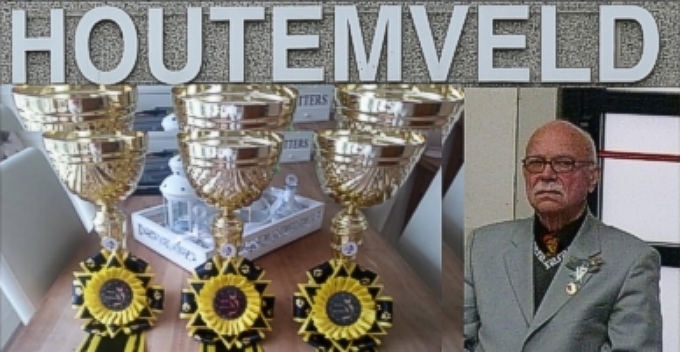 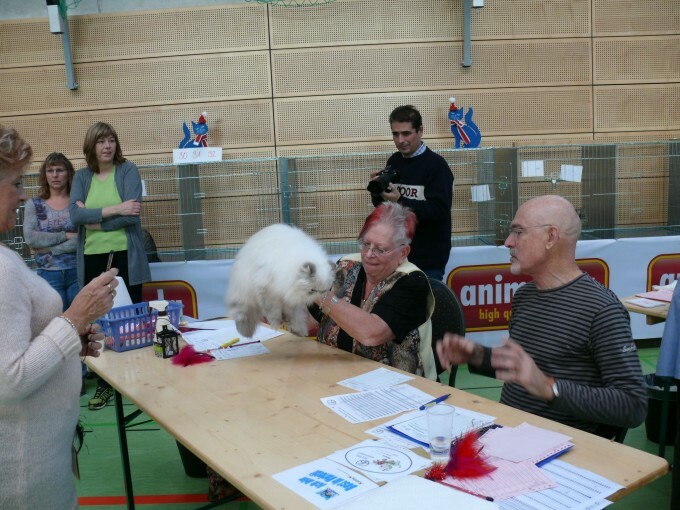 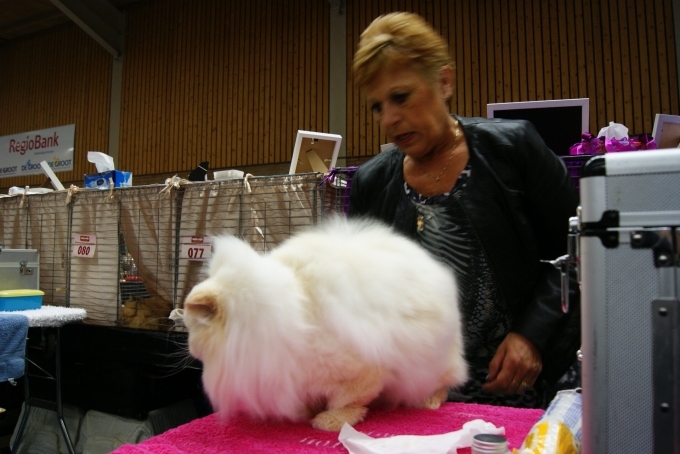 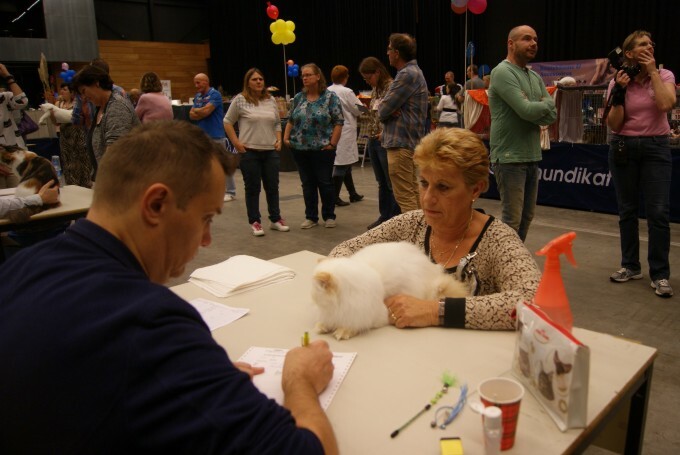 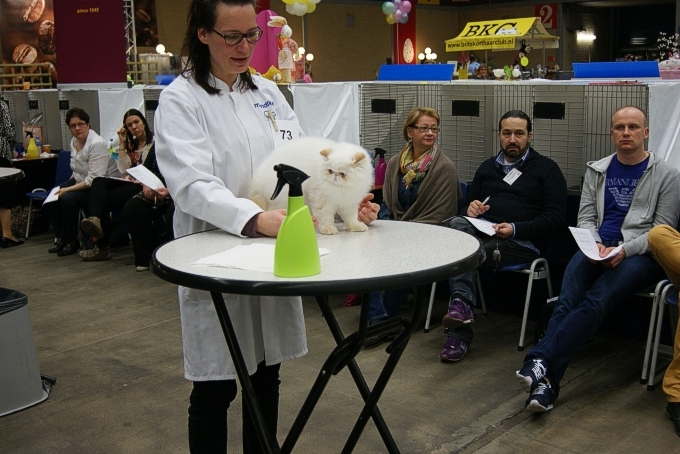 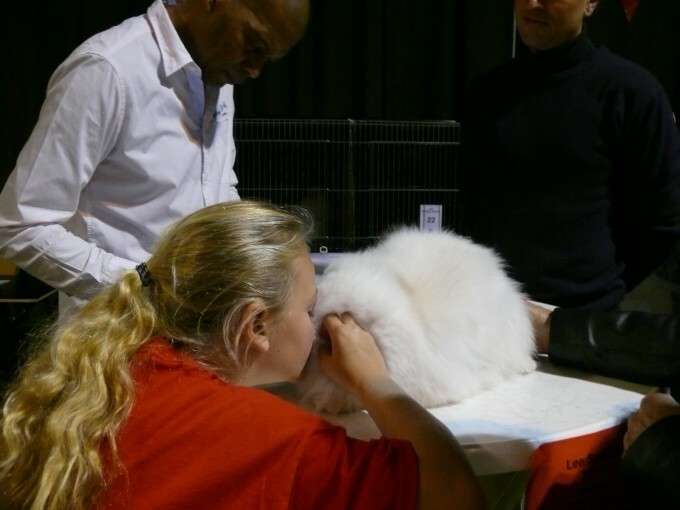 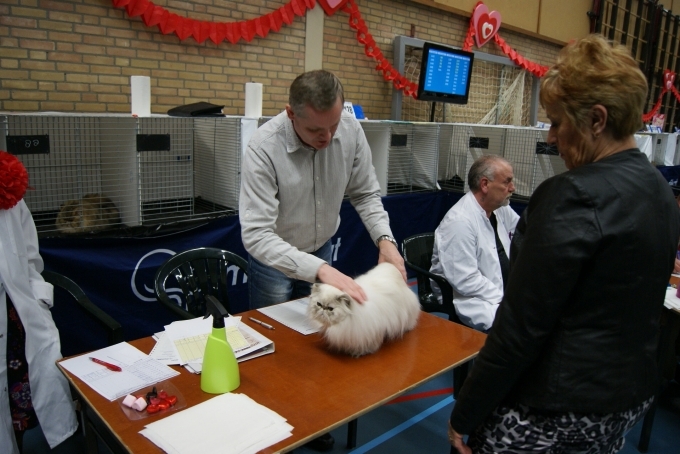 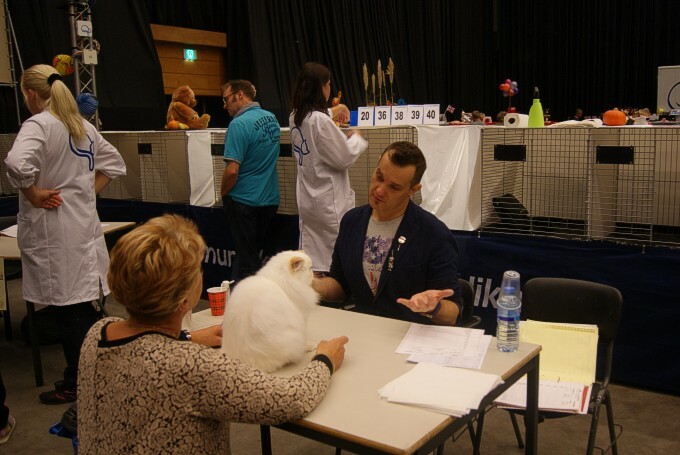 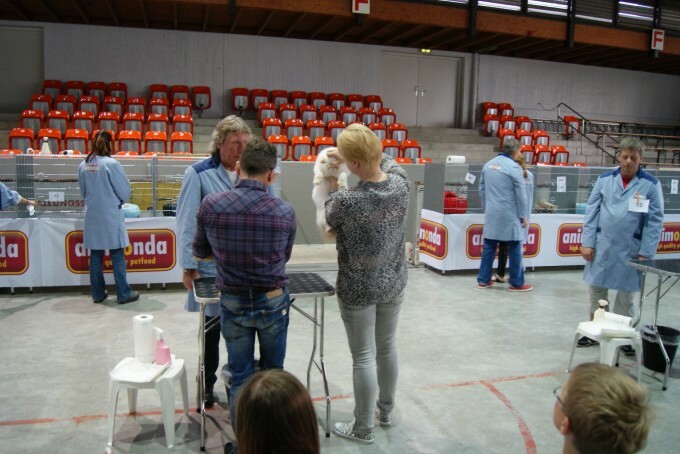 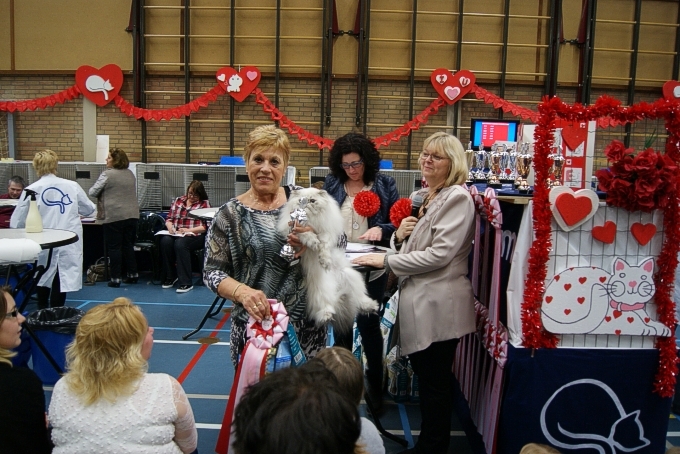 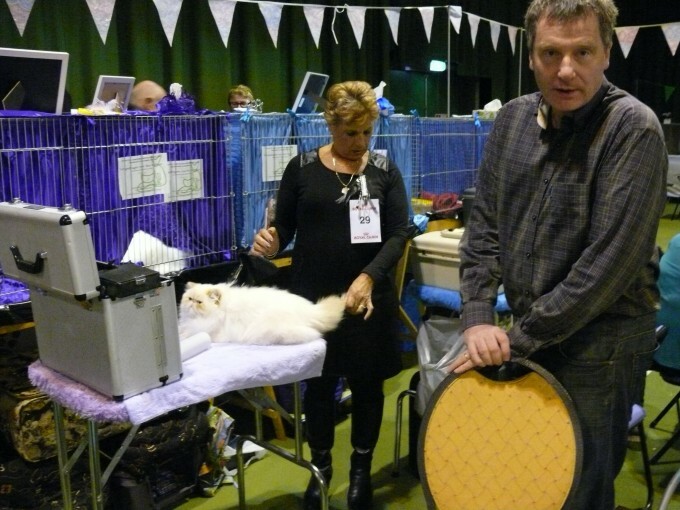 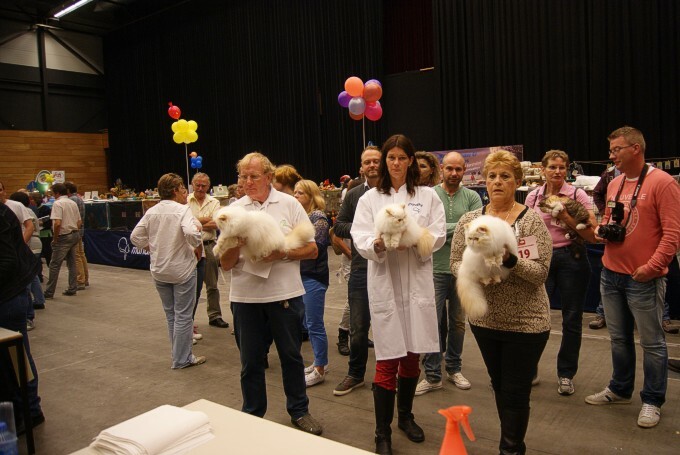 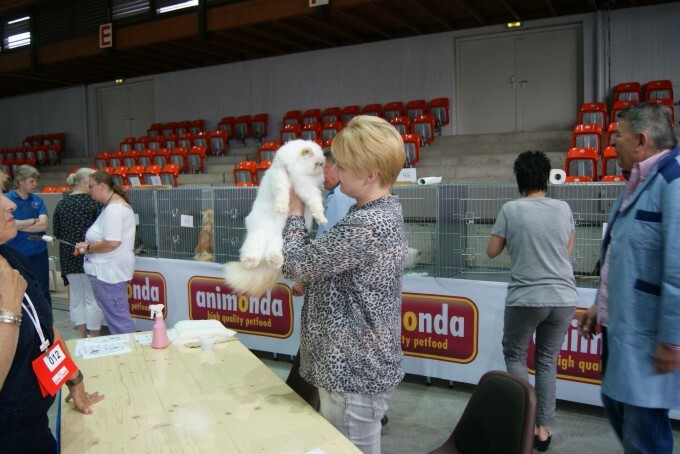 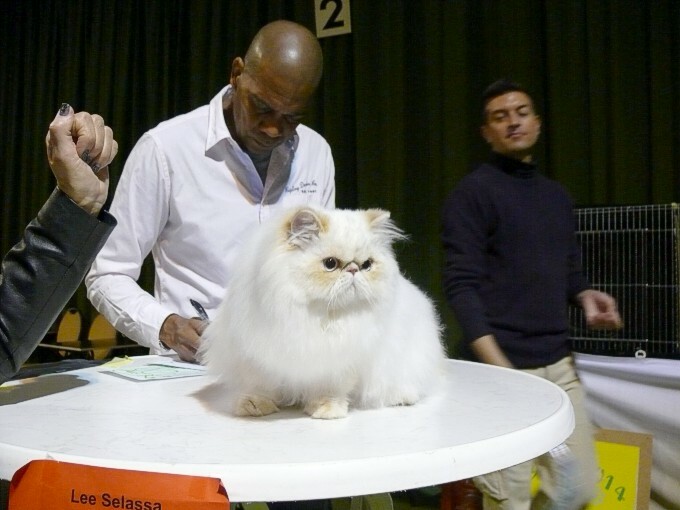 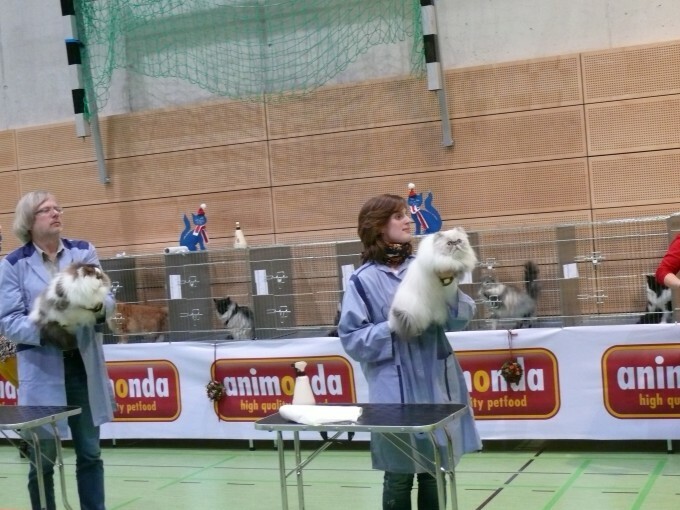 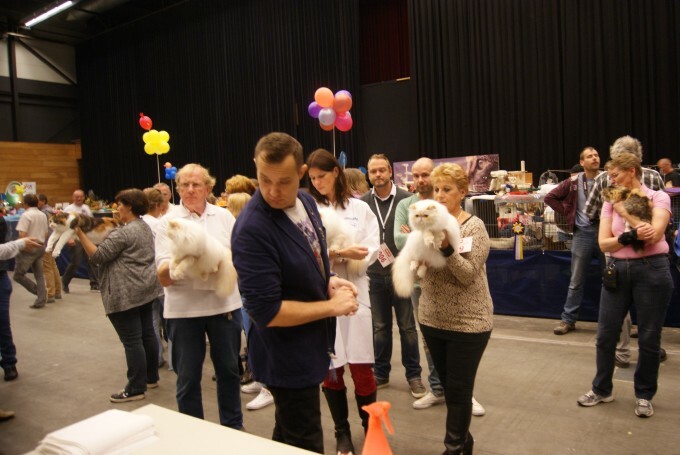 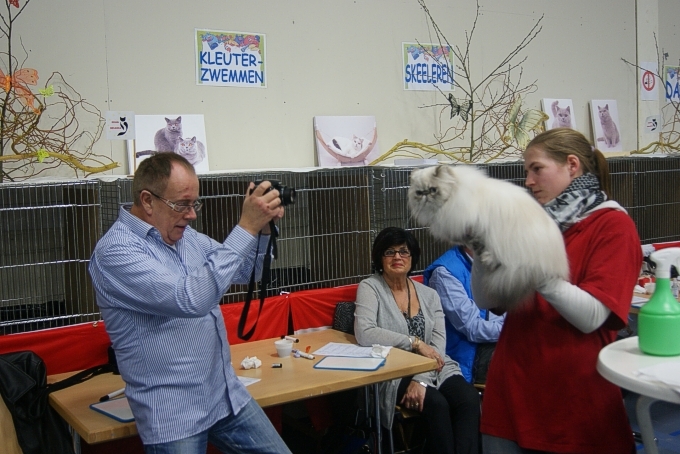 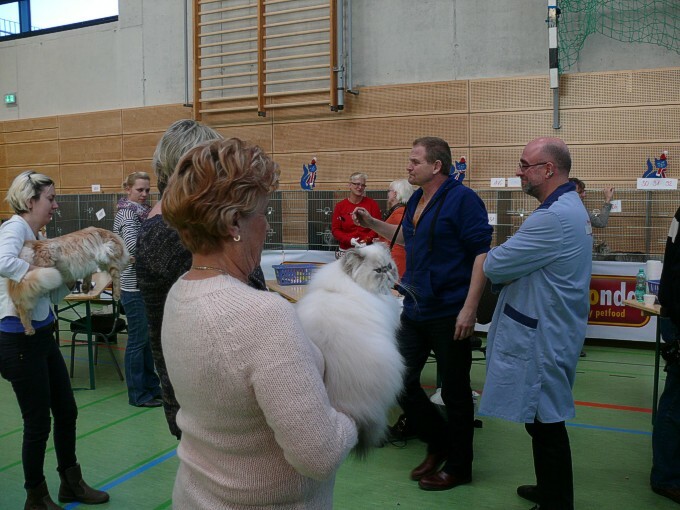 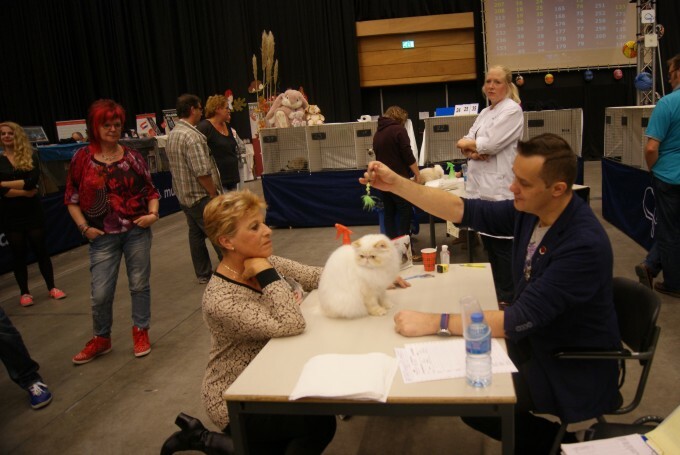 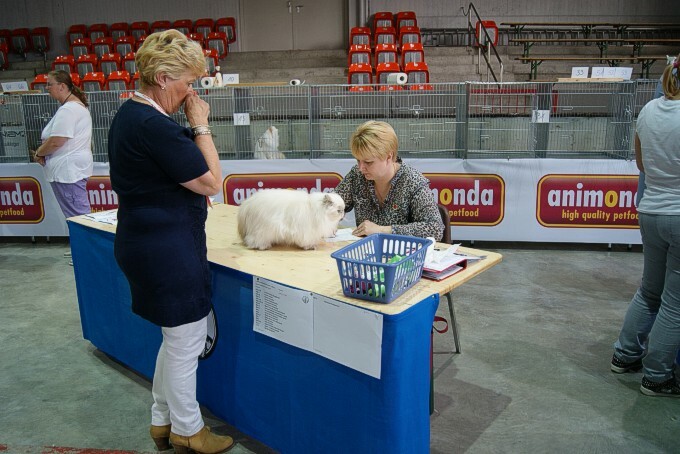 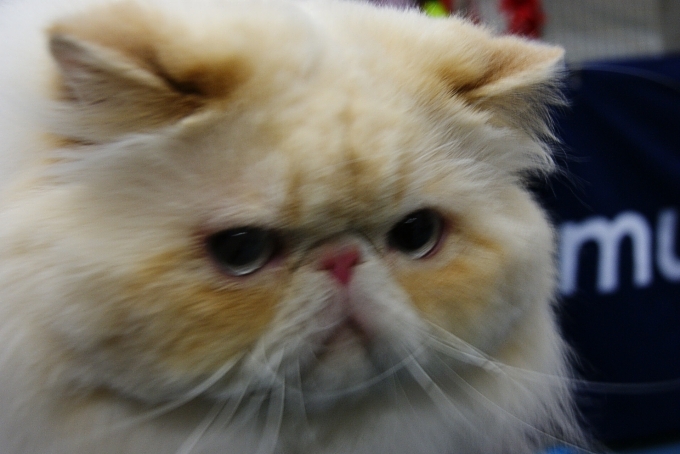 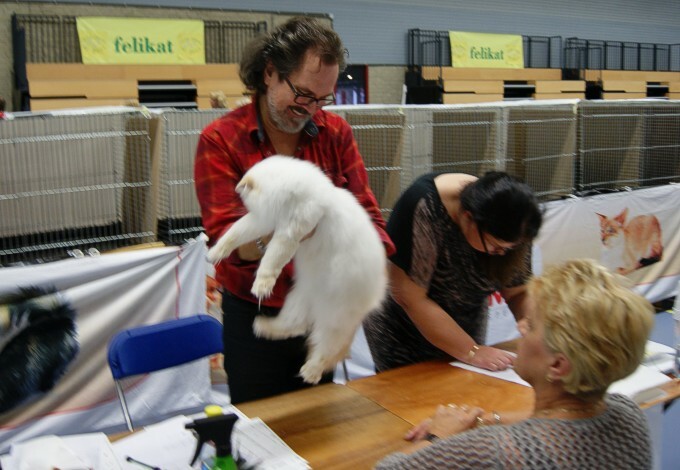 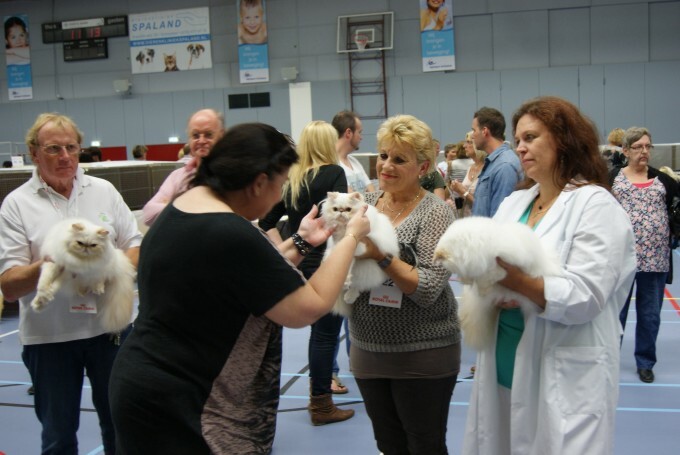 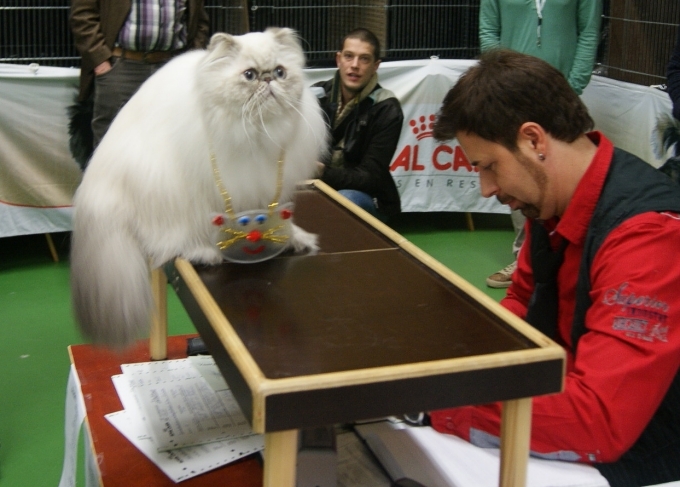 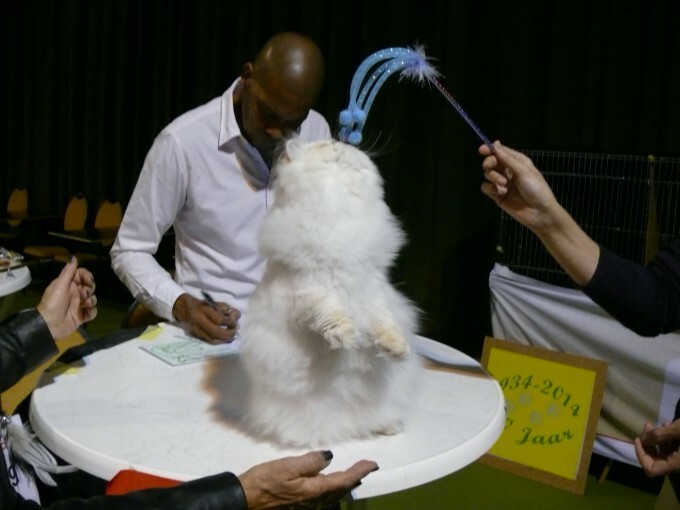 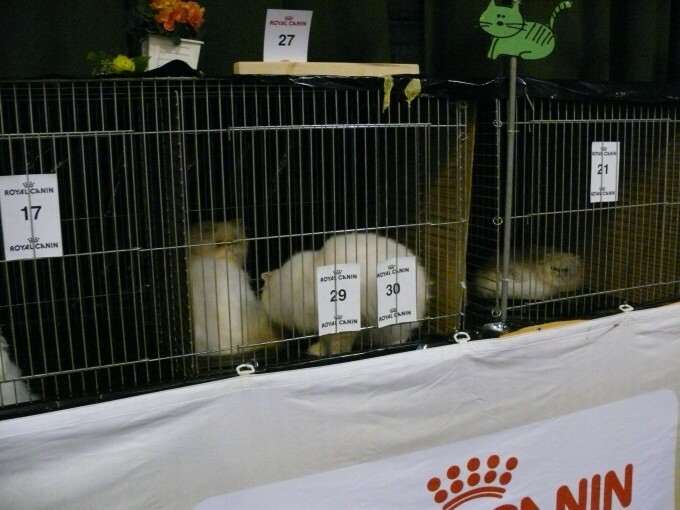 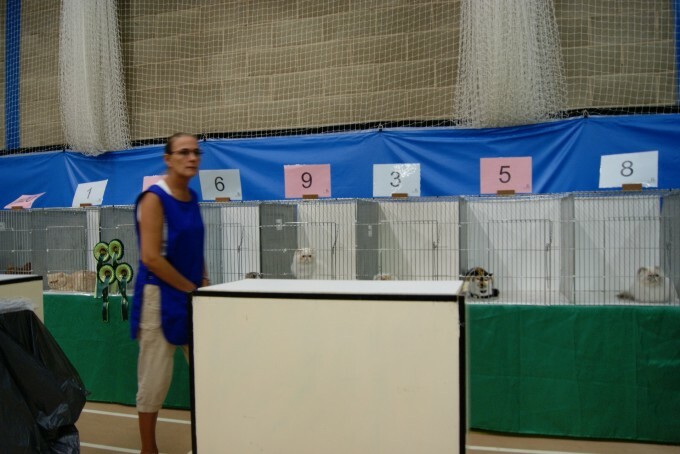 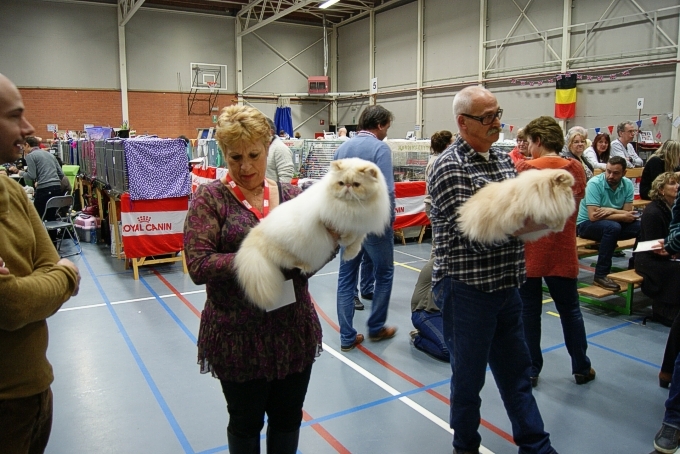 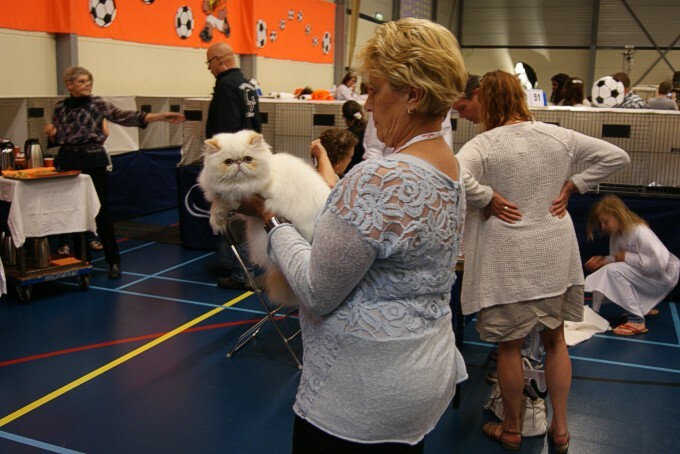 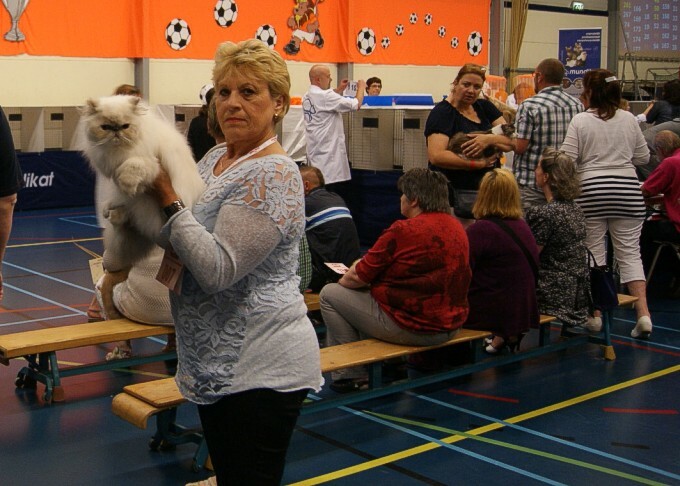 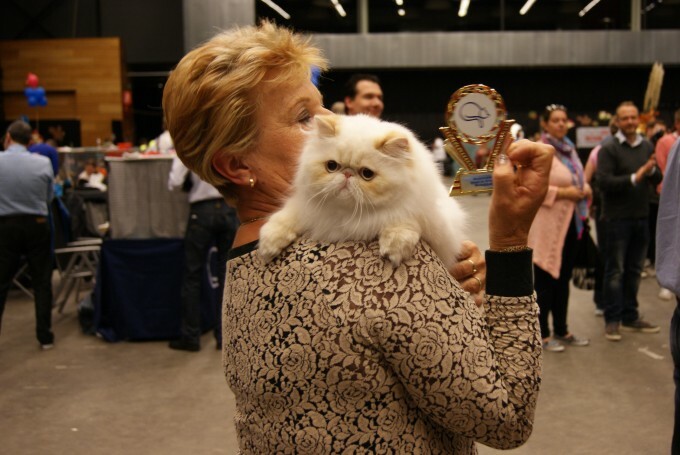 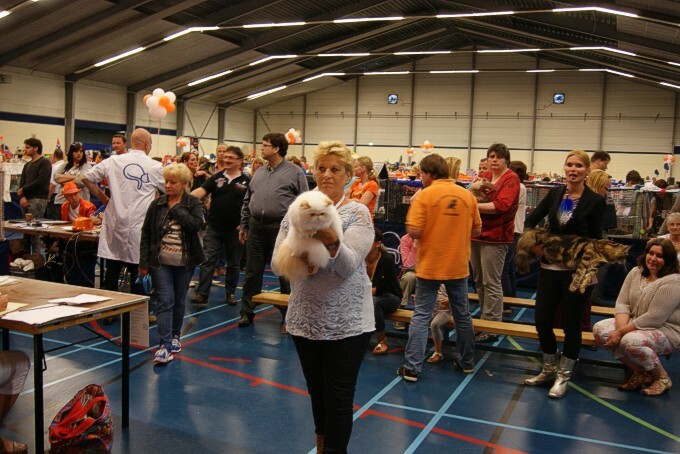 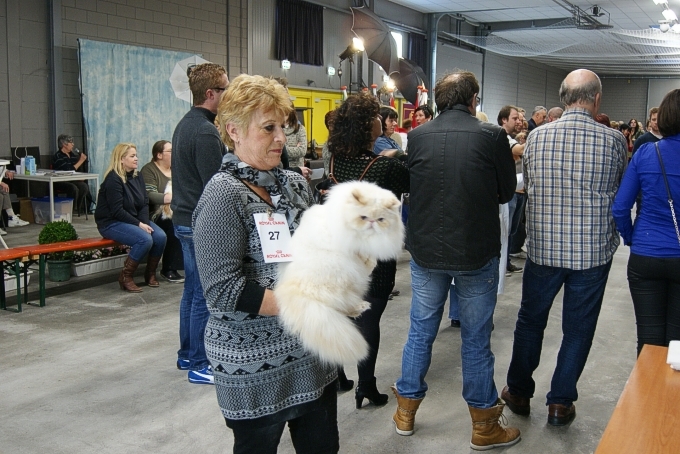 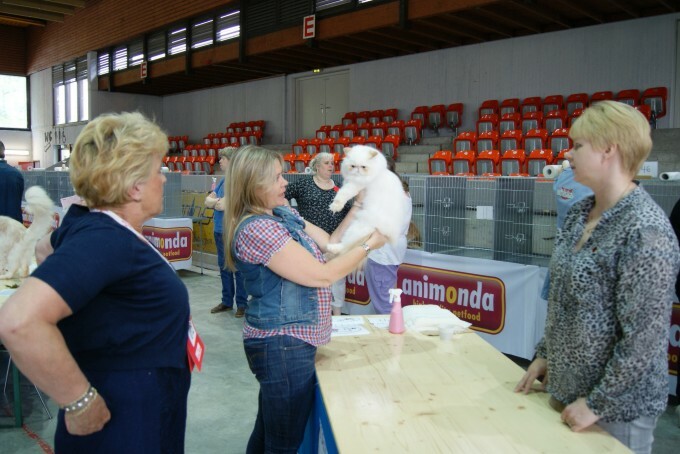 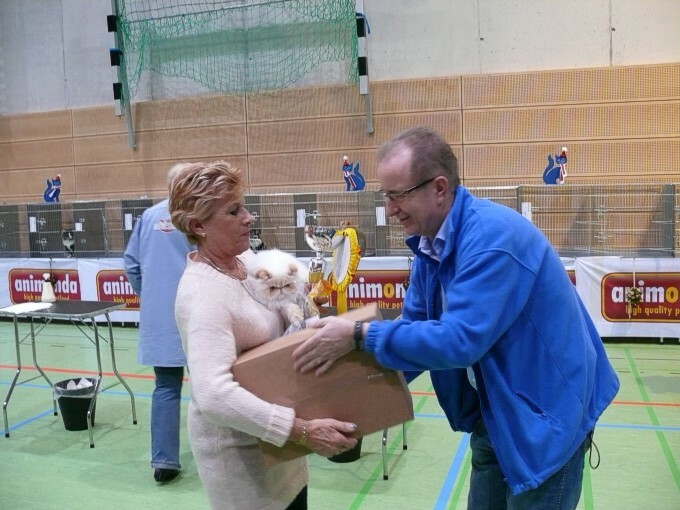 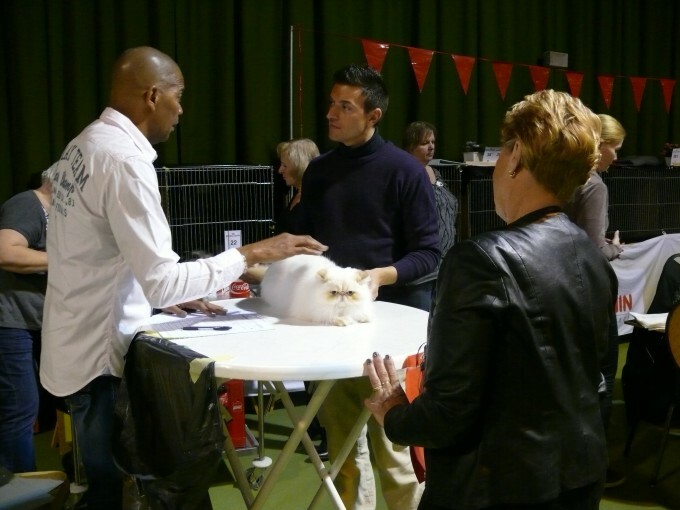 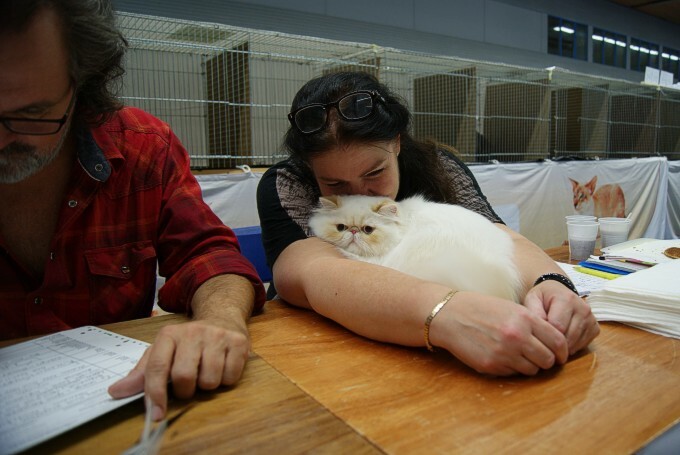 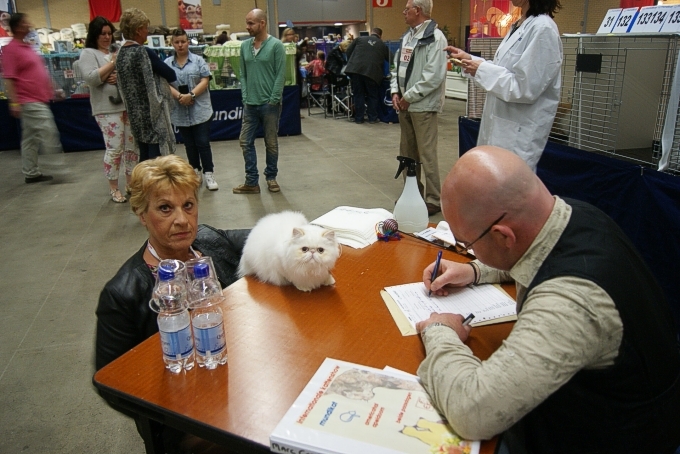 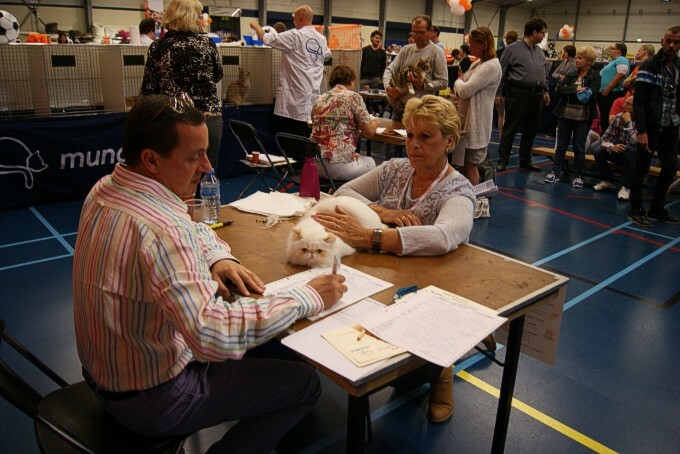 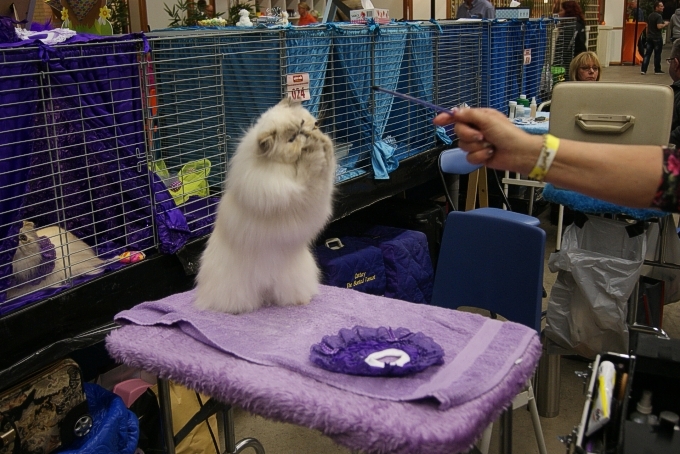 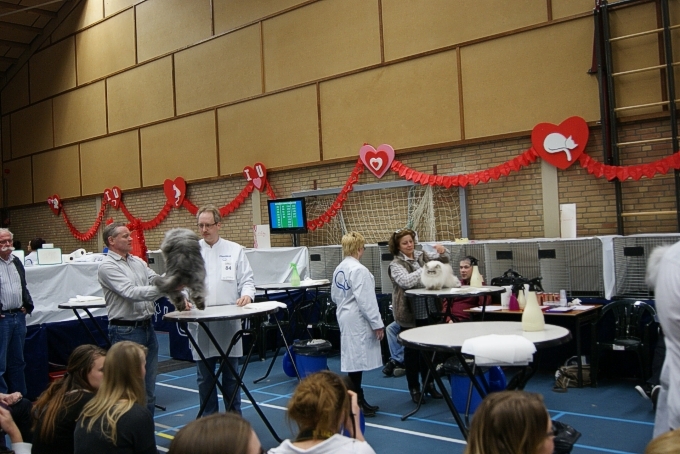 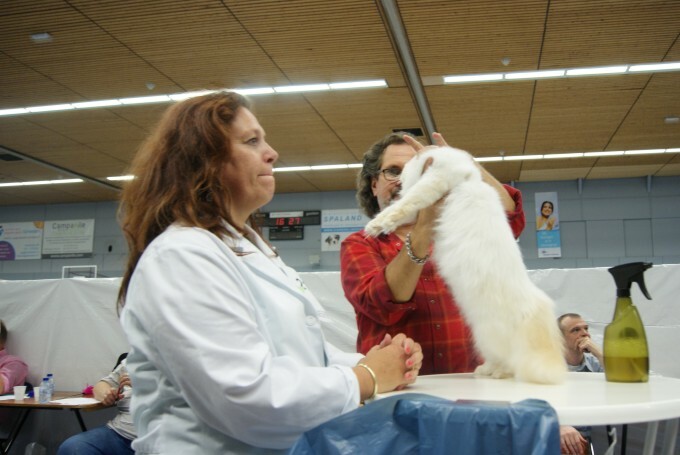 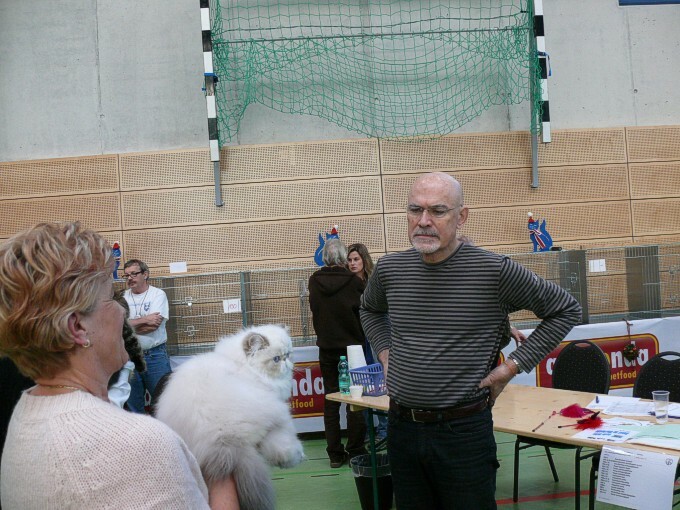 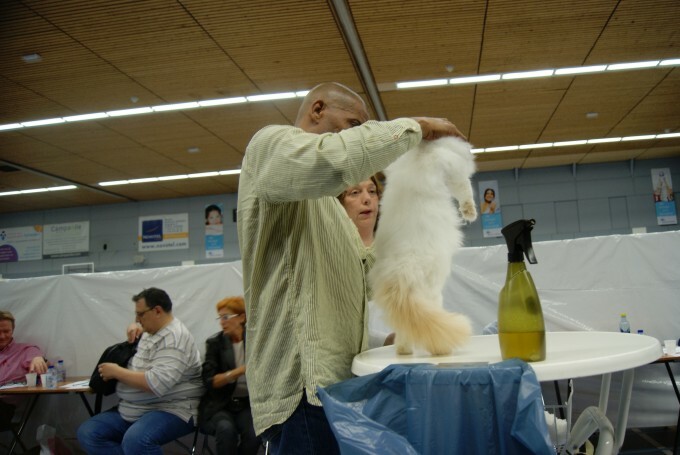 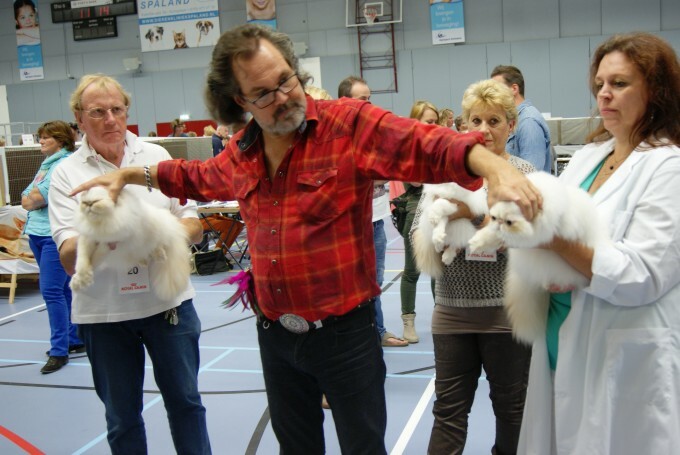 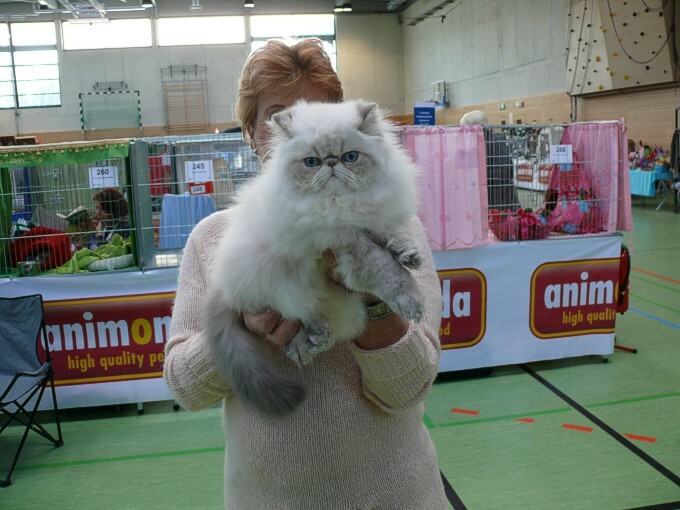 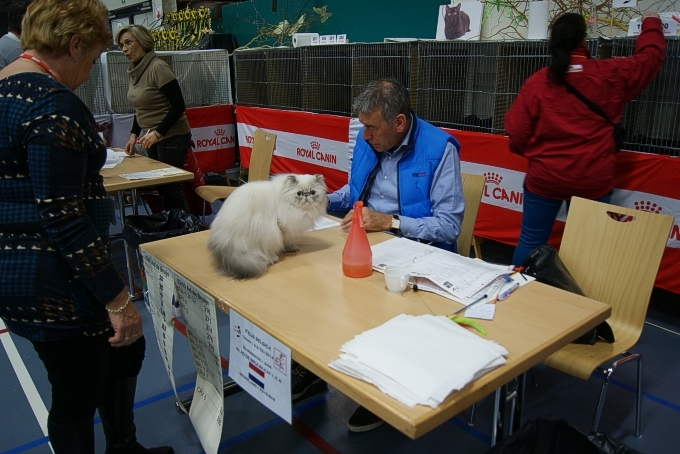 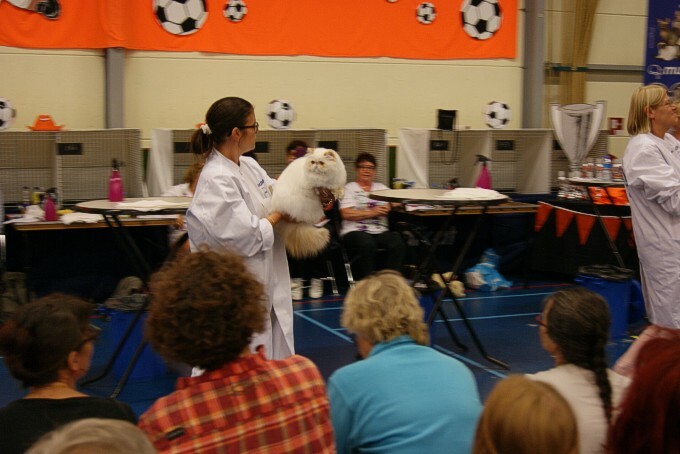 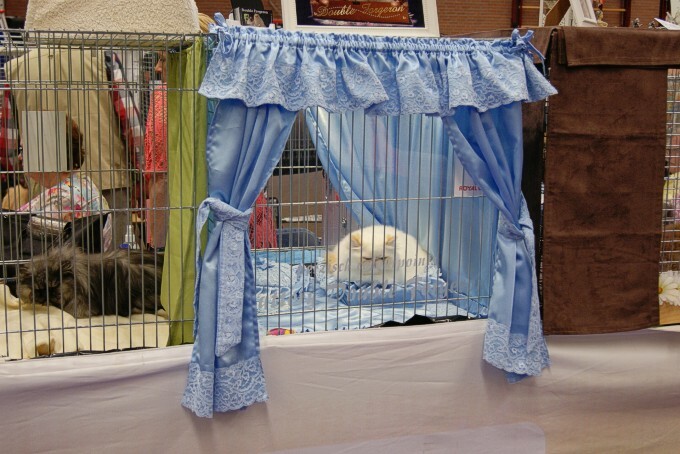 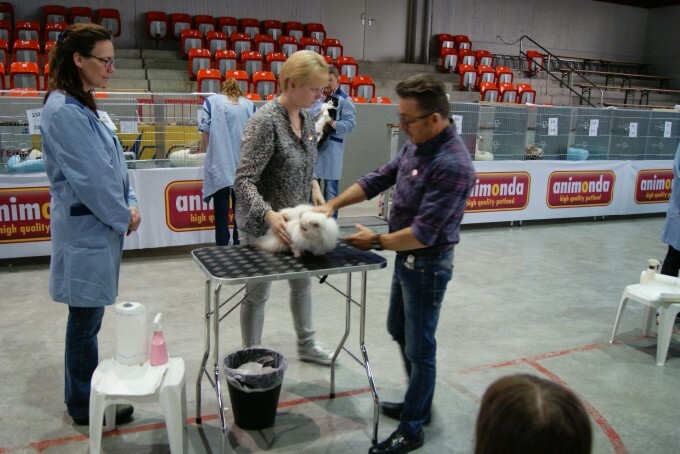 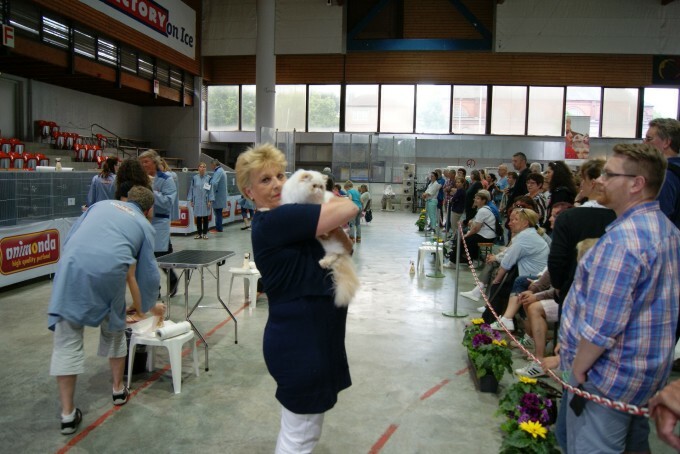 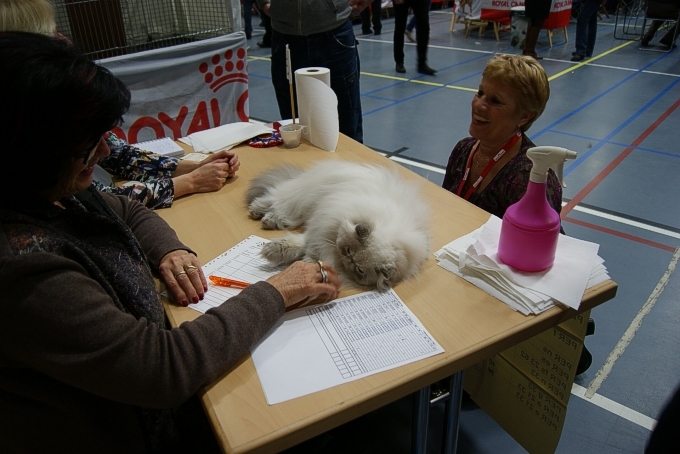 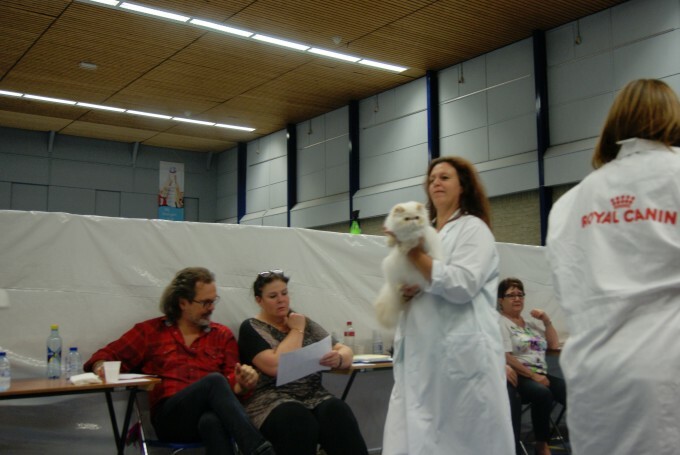 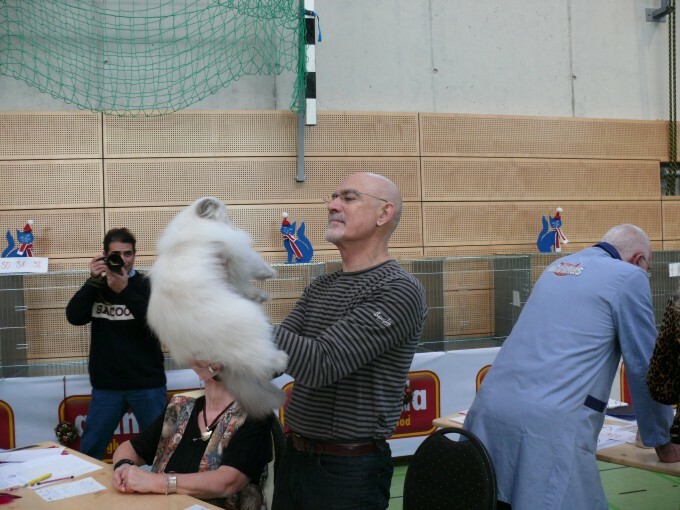 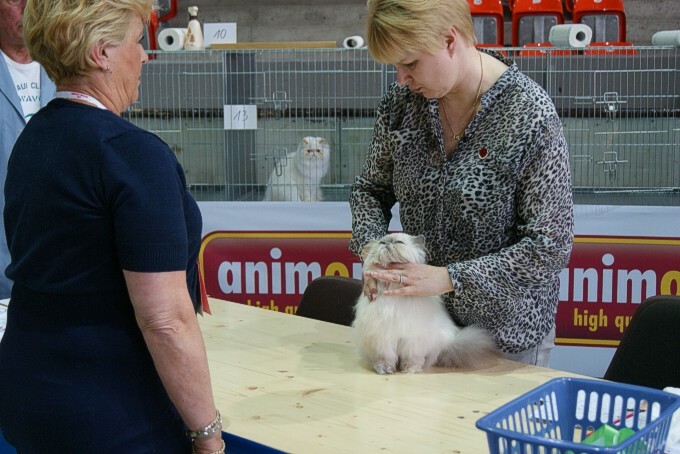 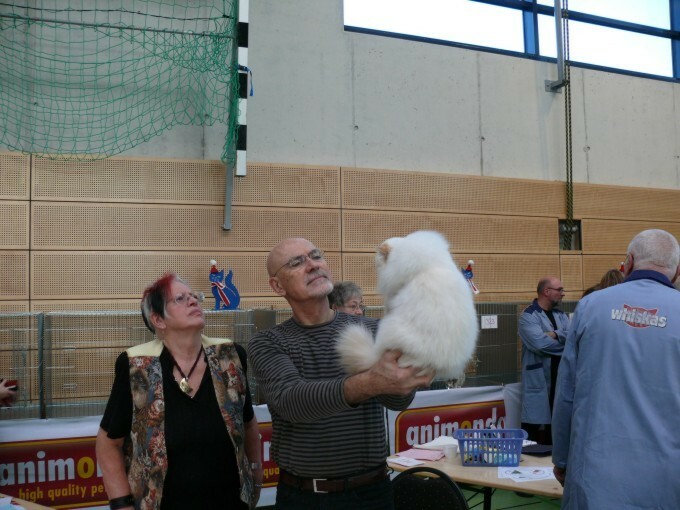 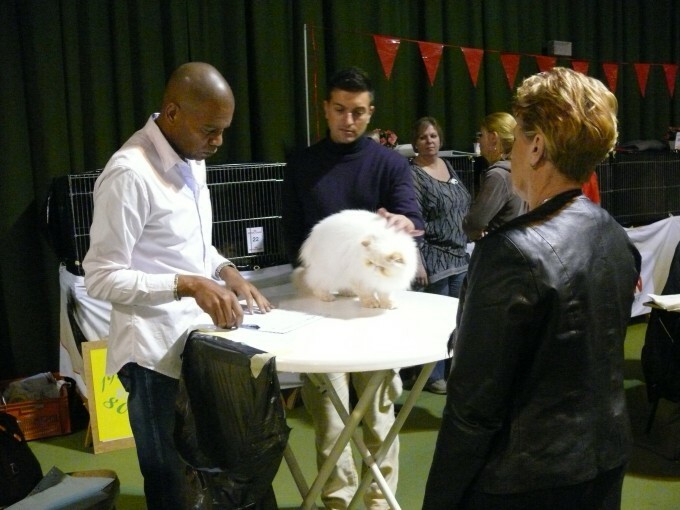 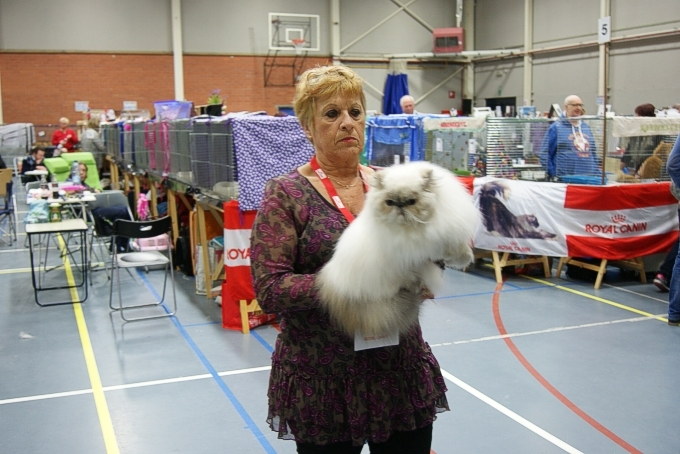 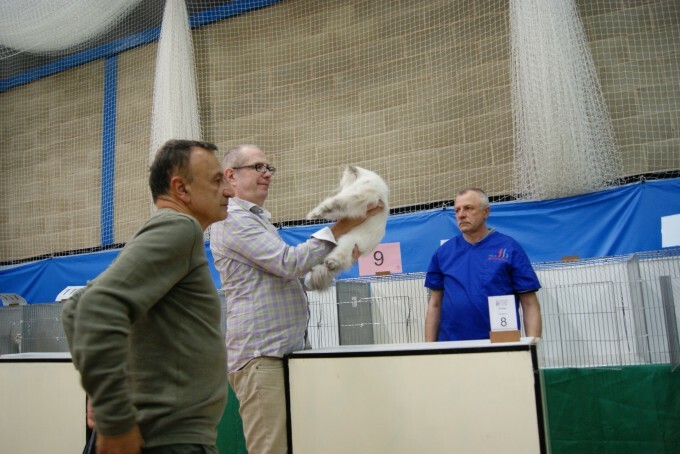 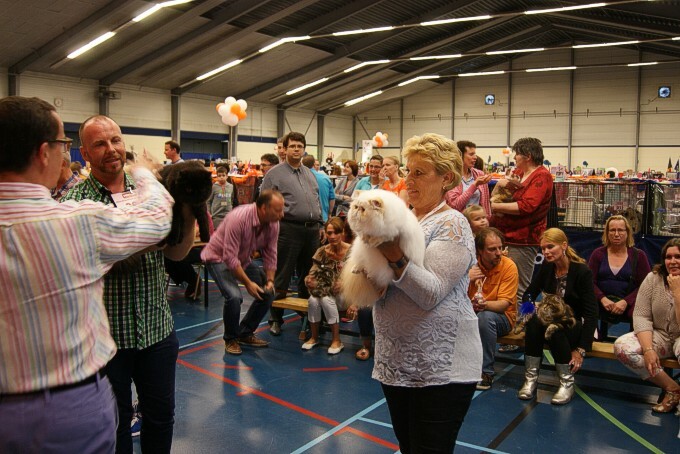 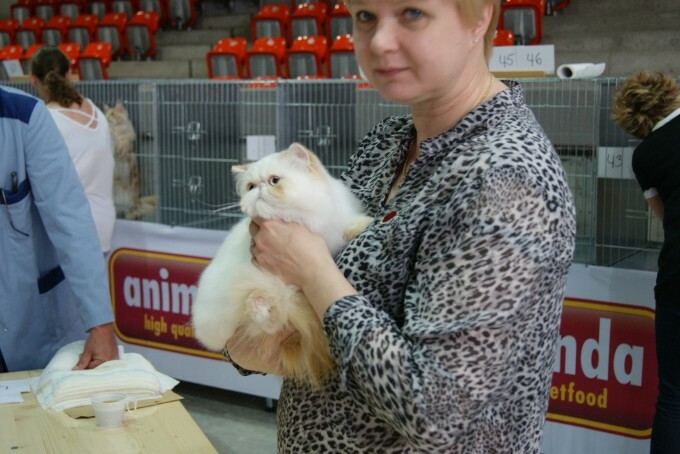 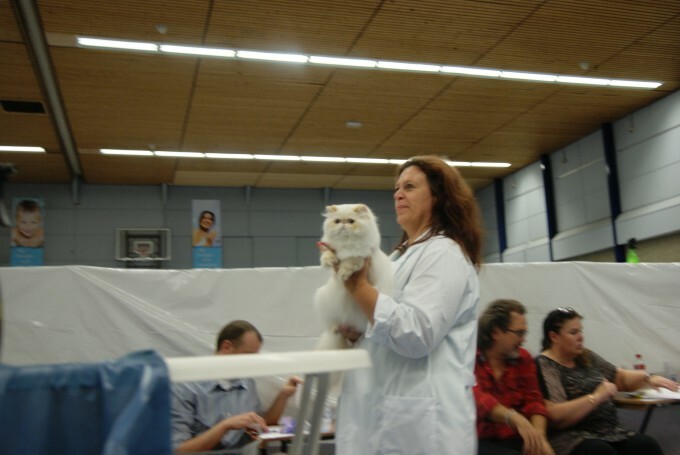 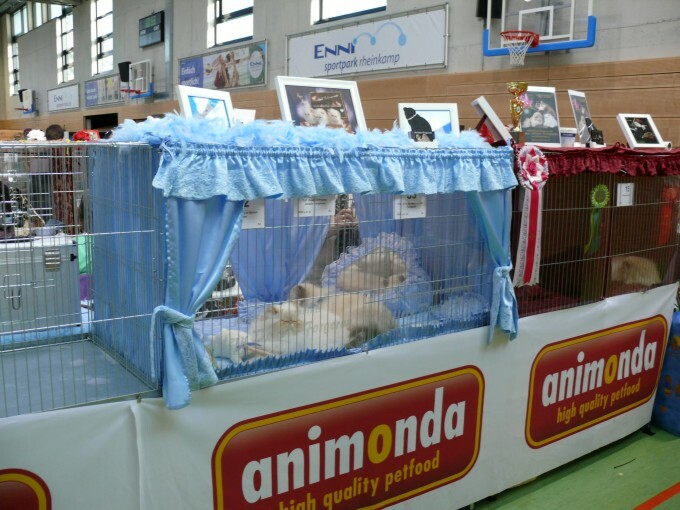 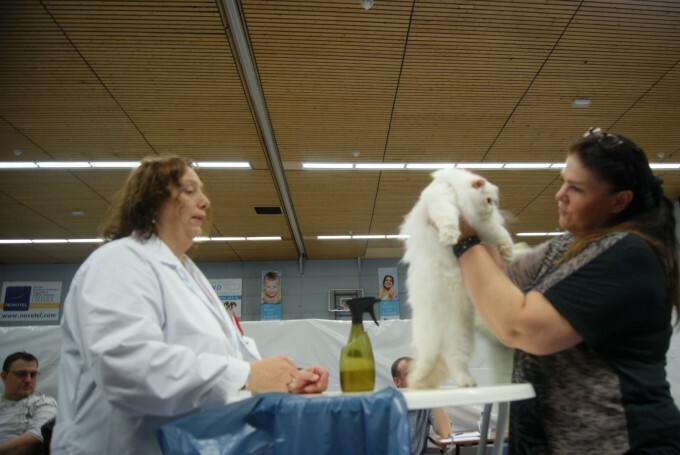 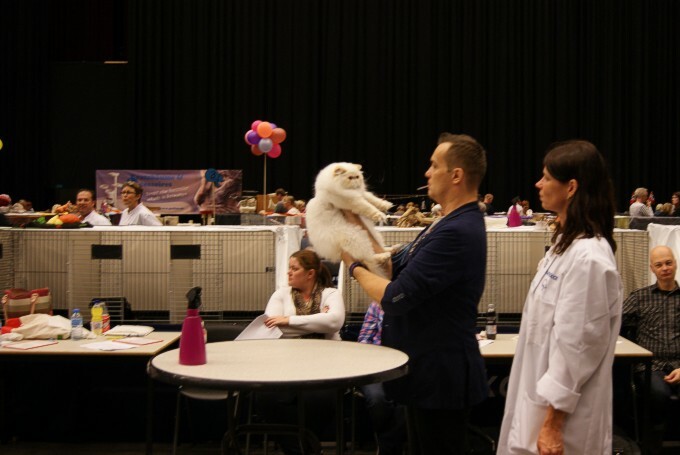 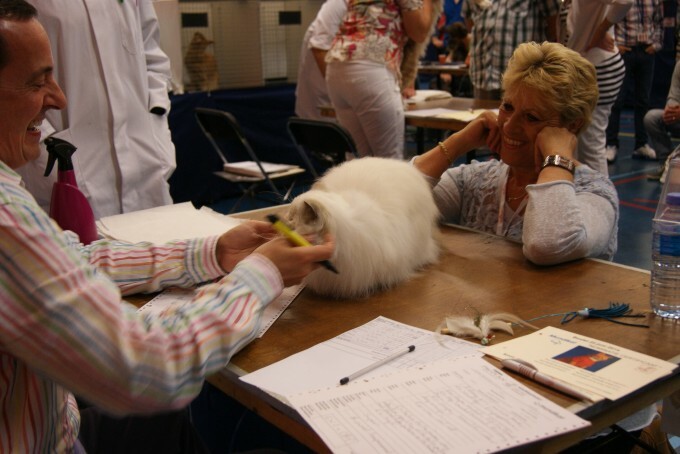 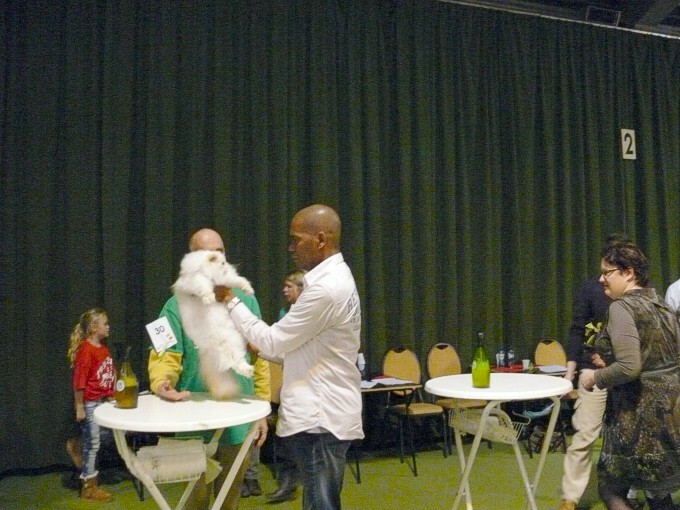 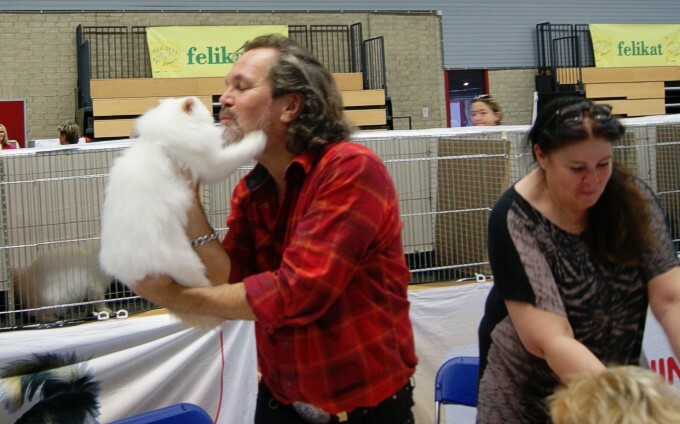 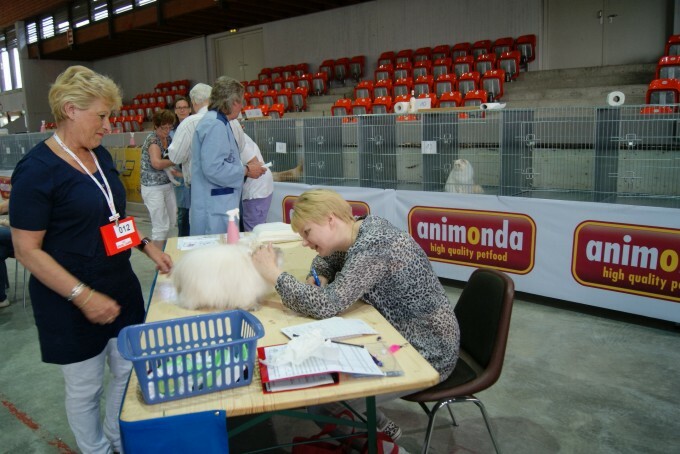 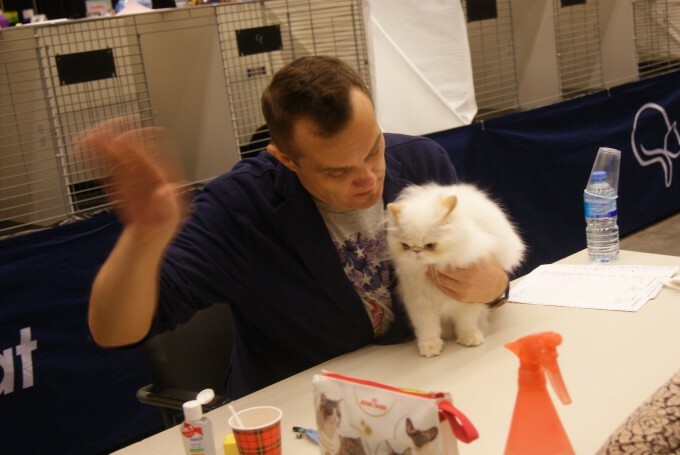 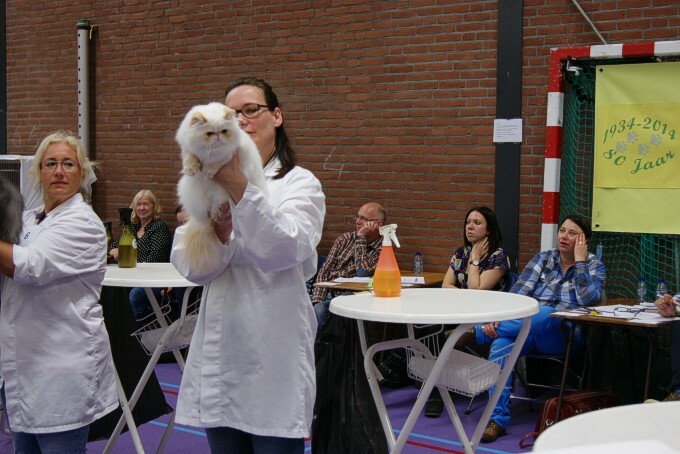 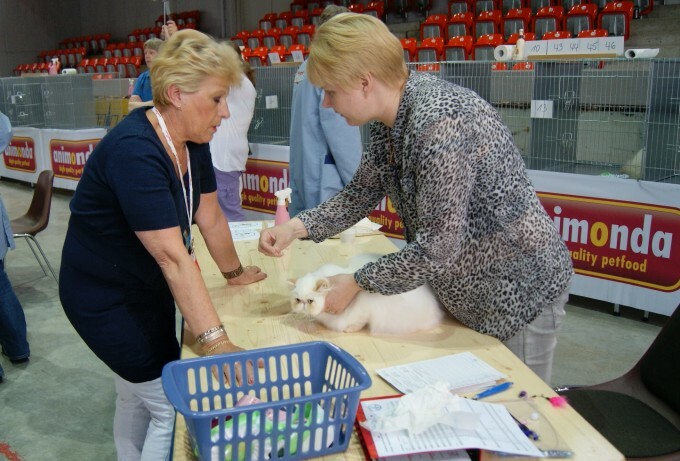 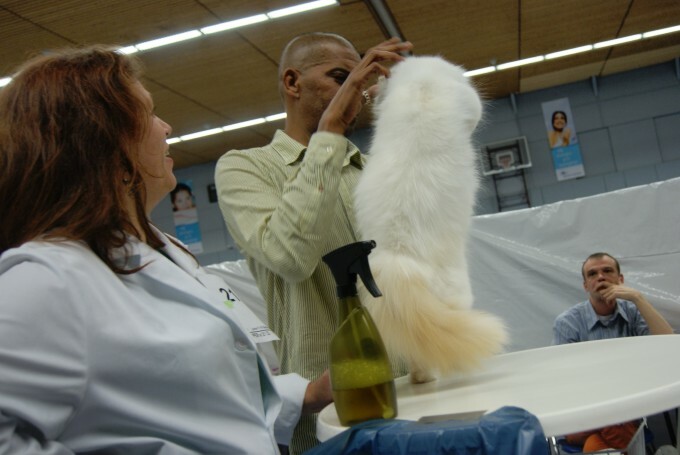 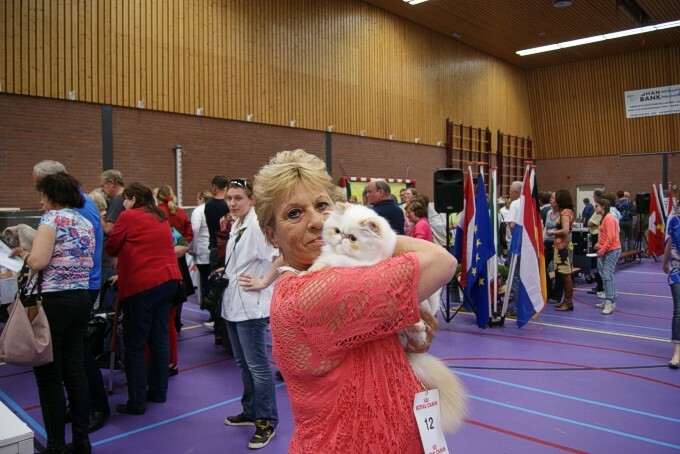 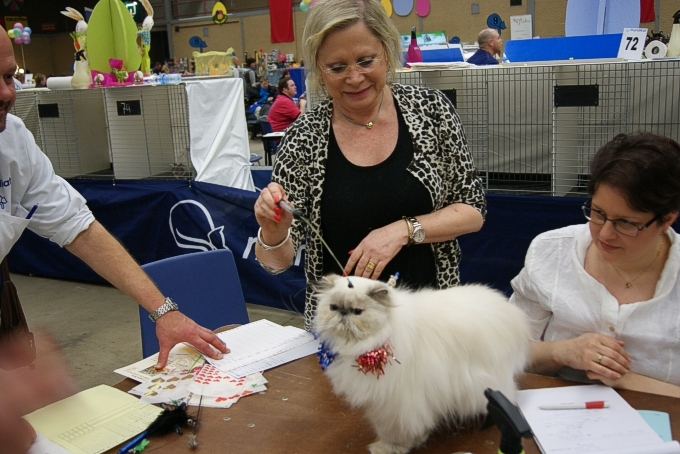 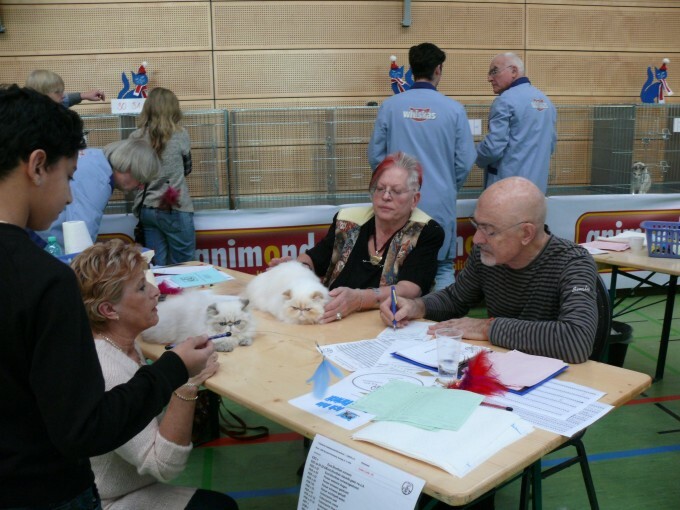 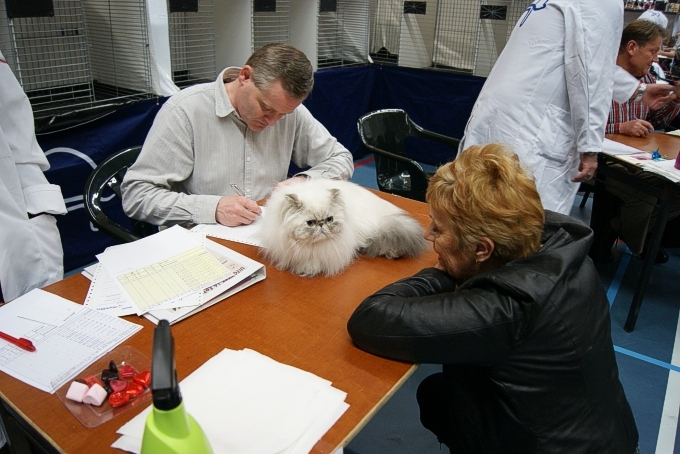 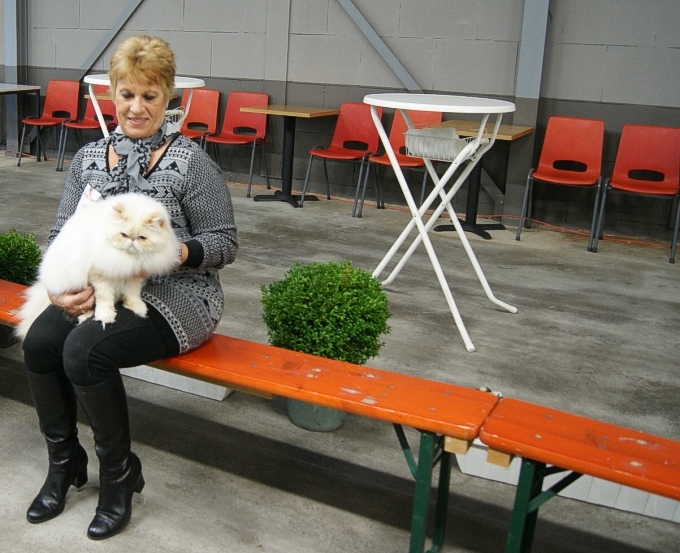 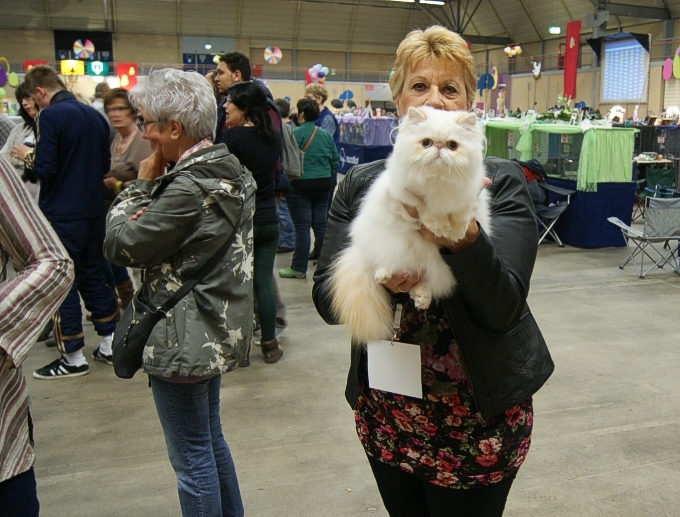 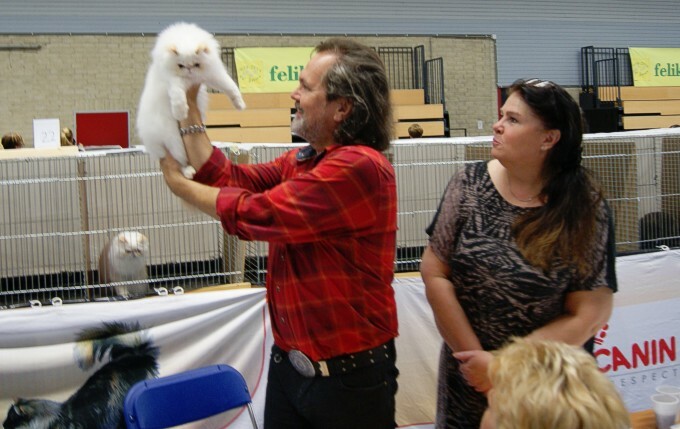 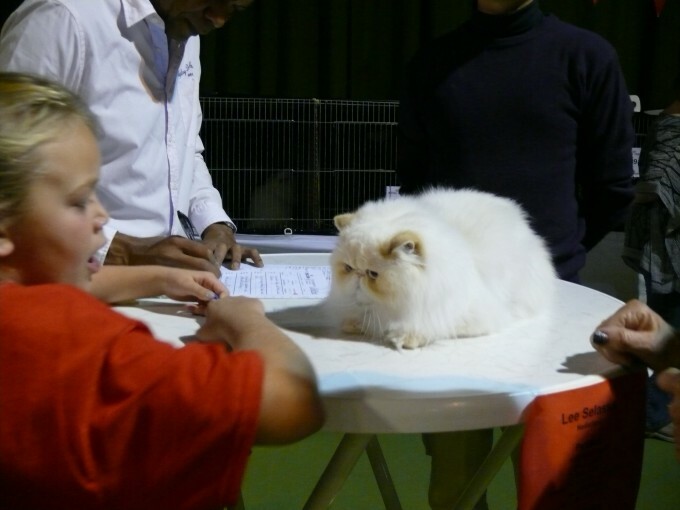 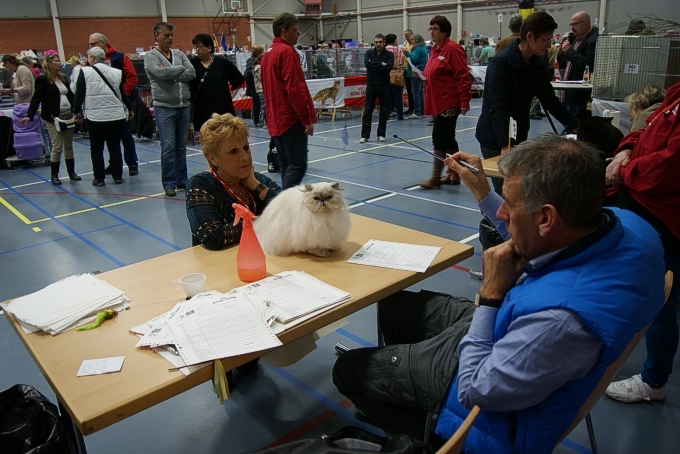 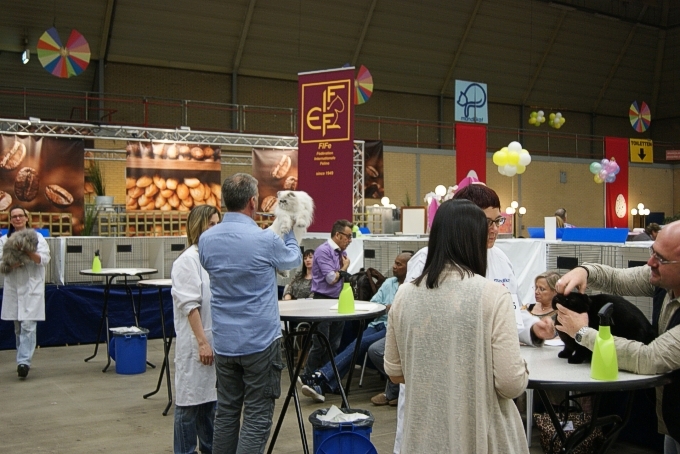 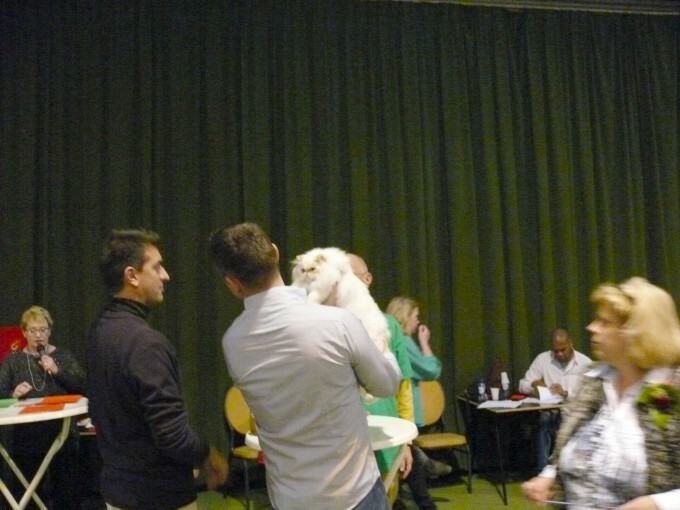 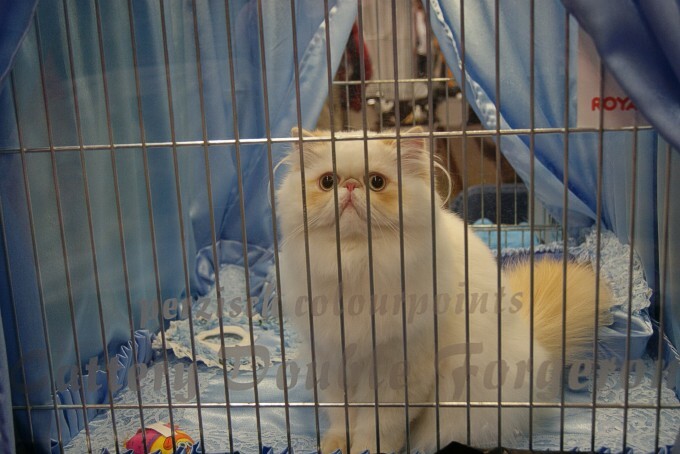 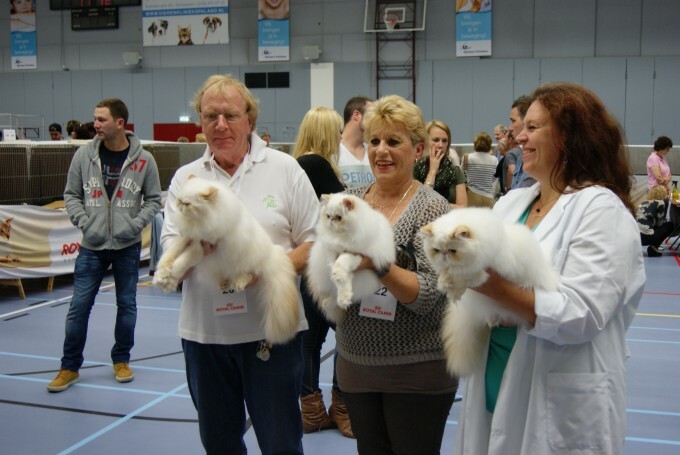 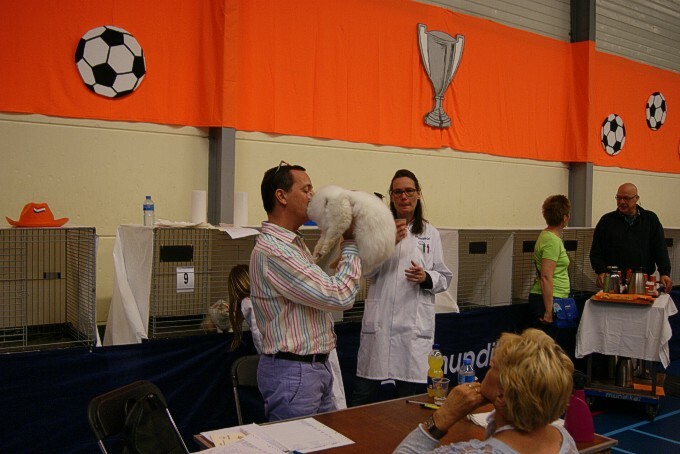 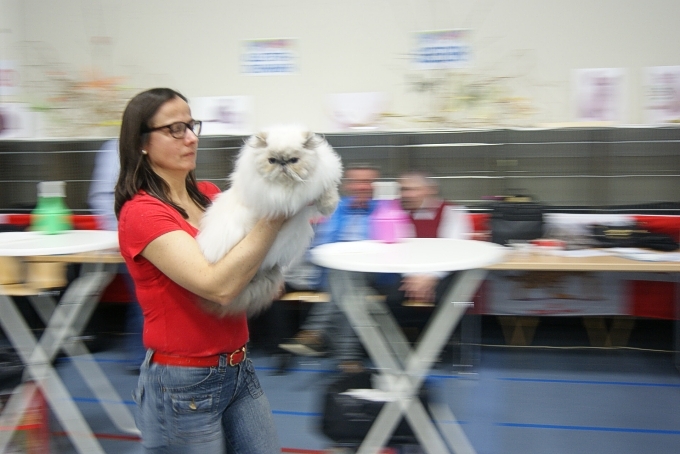 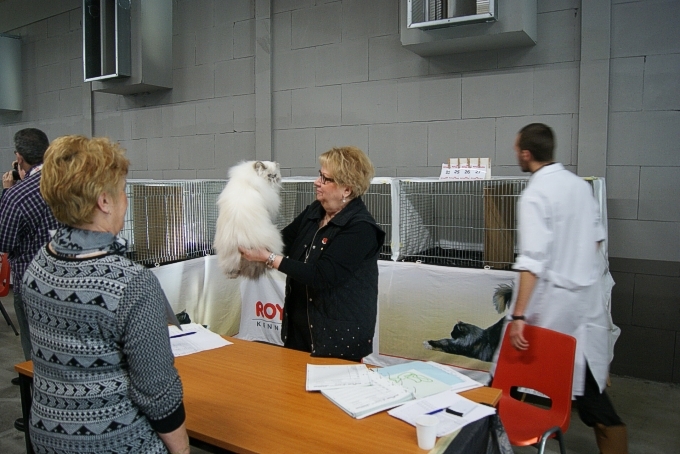 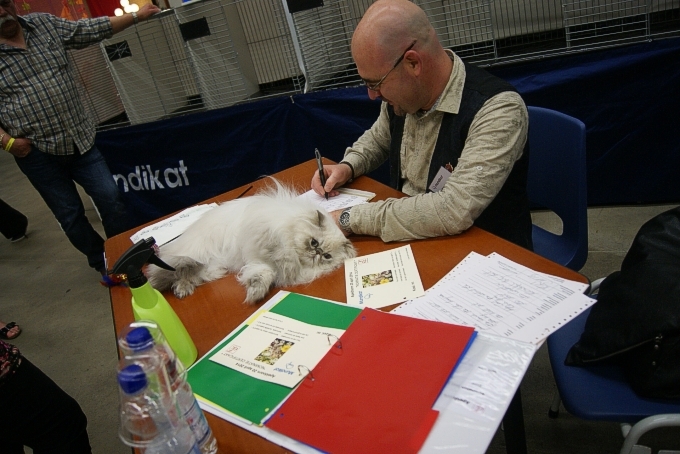 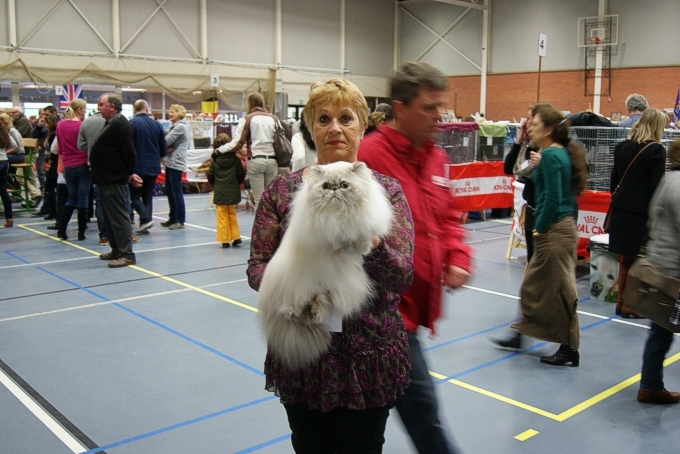 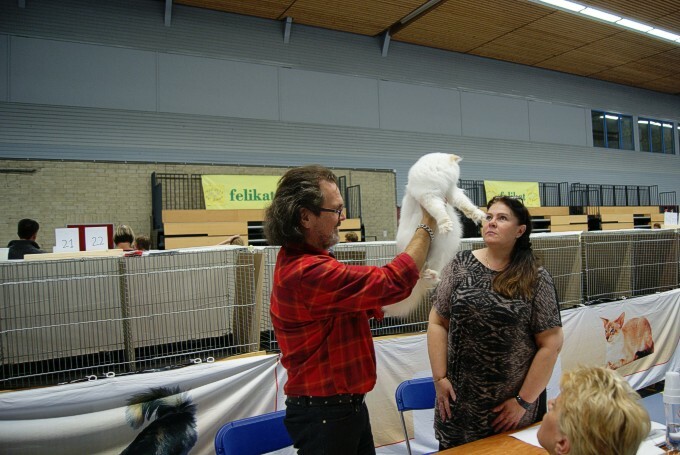 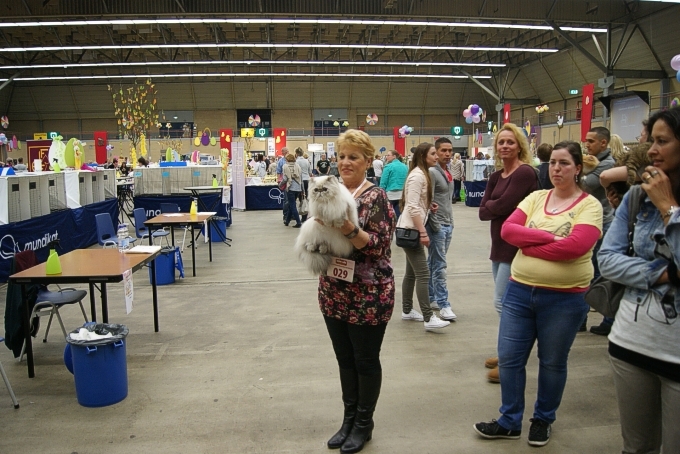 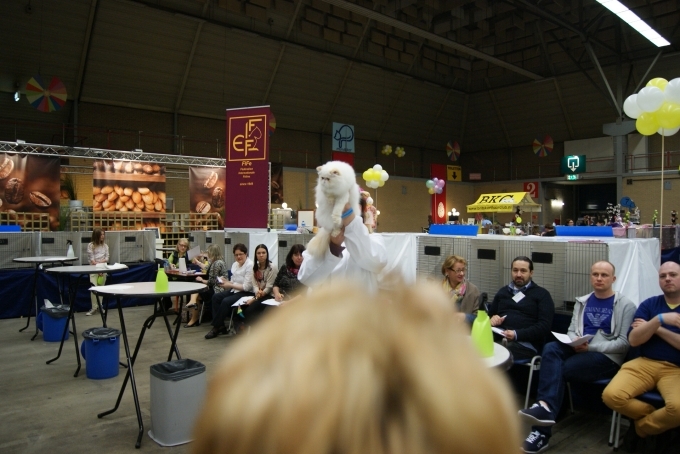 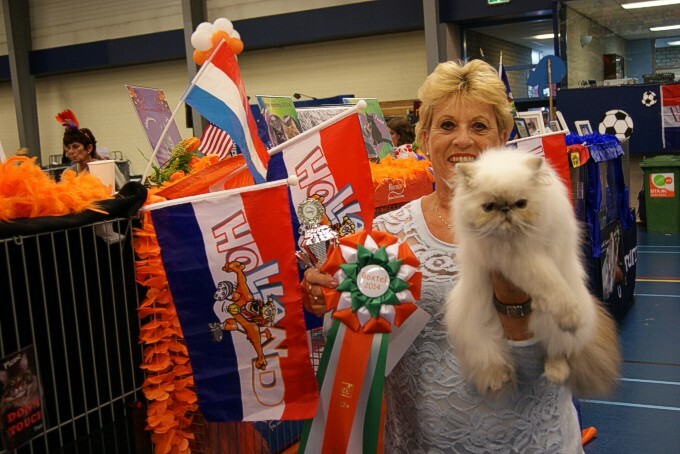 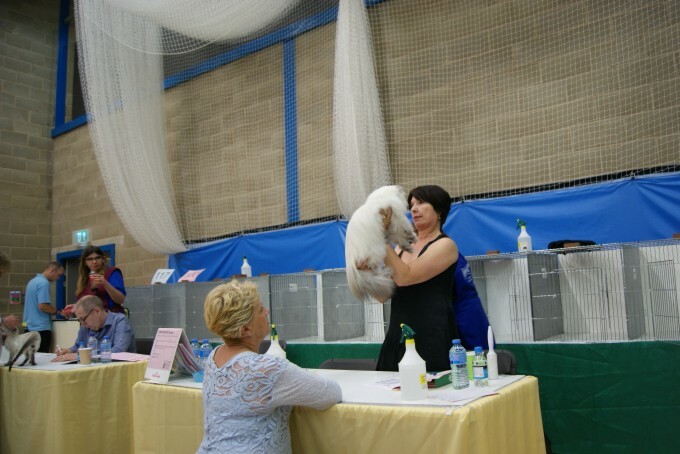 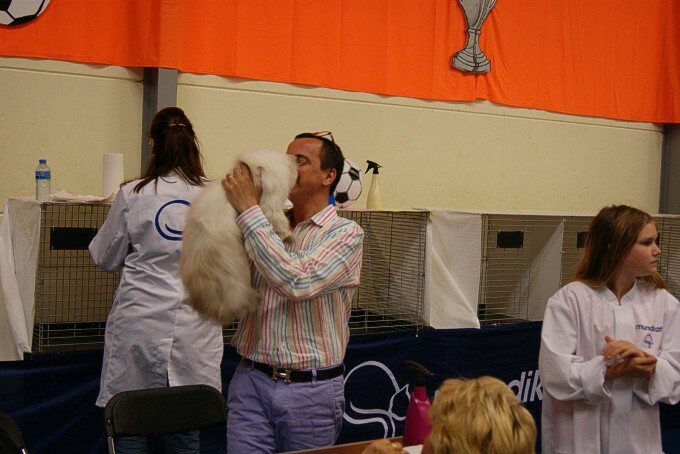 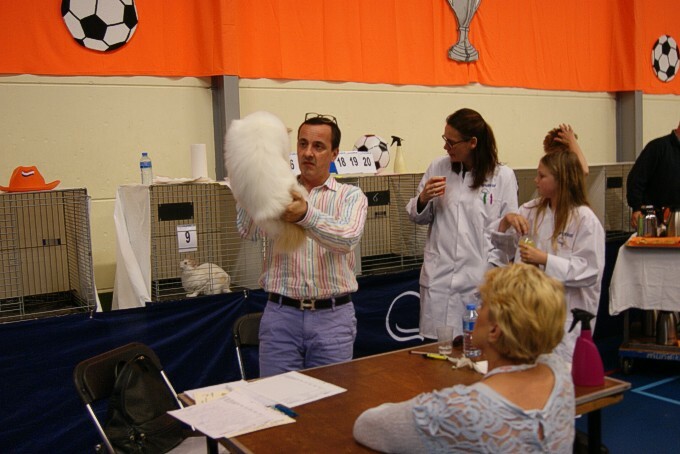 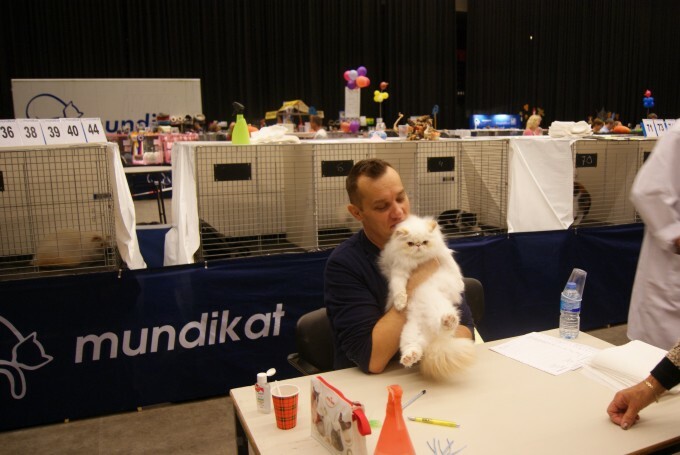 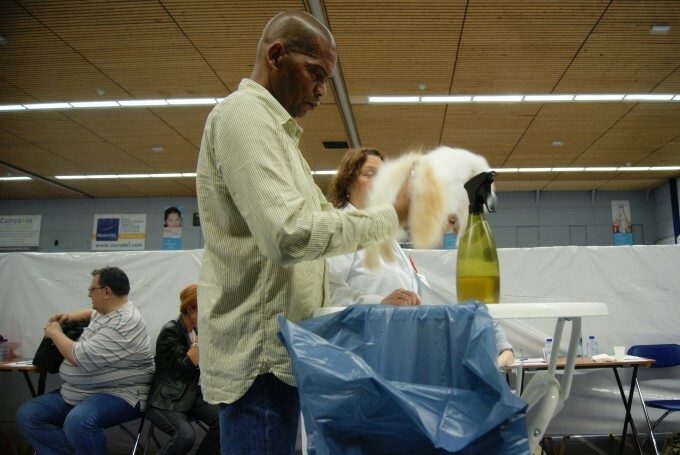 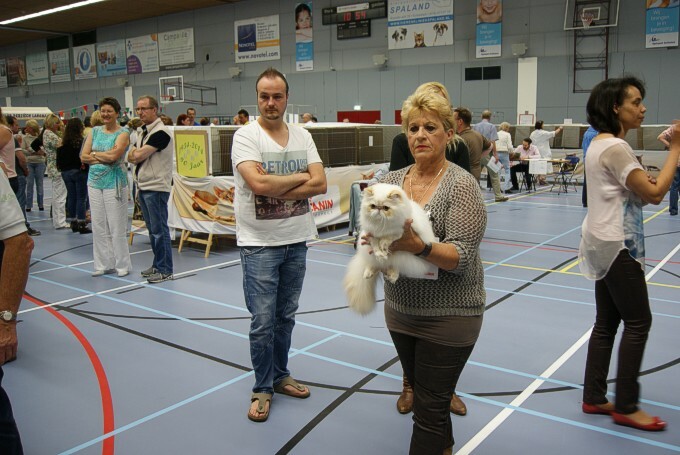 Also Snowy has the same Judge, he got his fifth point for the Euro titel.